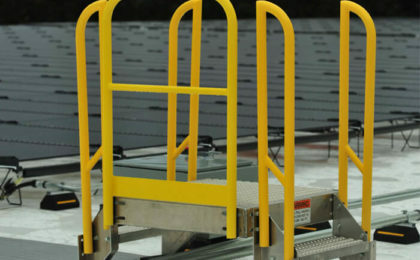 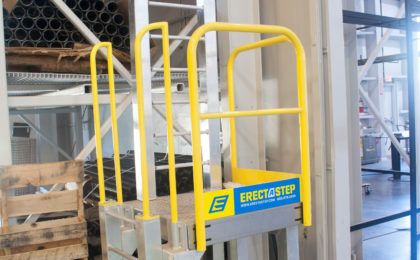 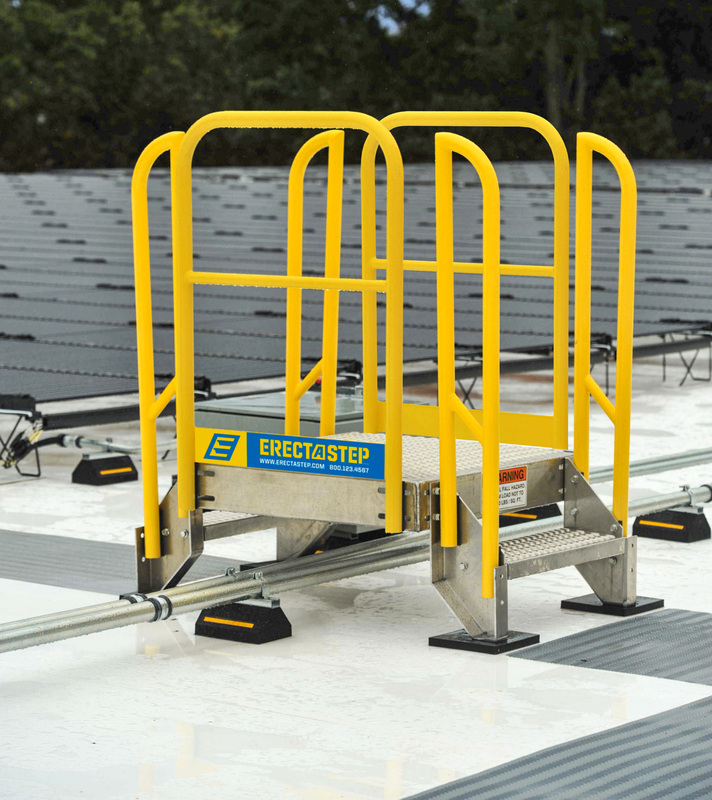 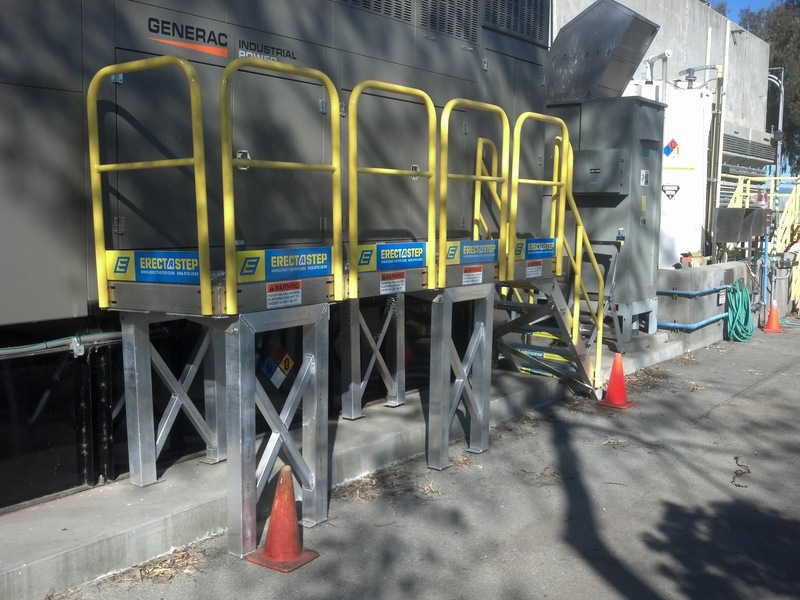 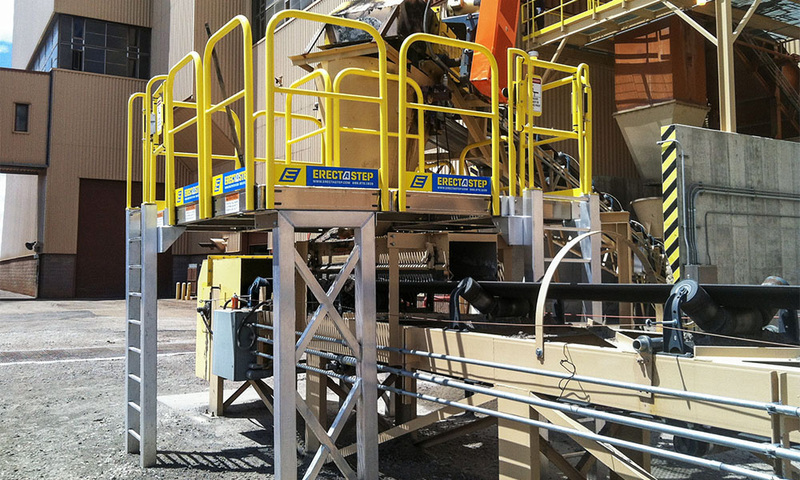 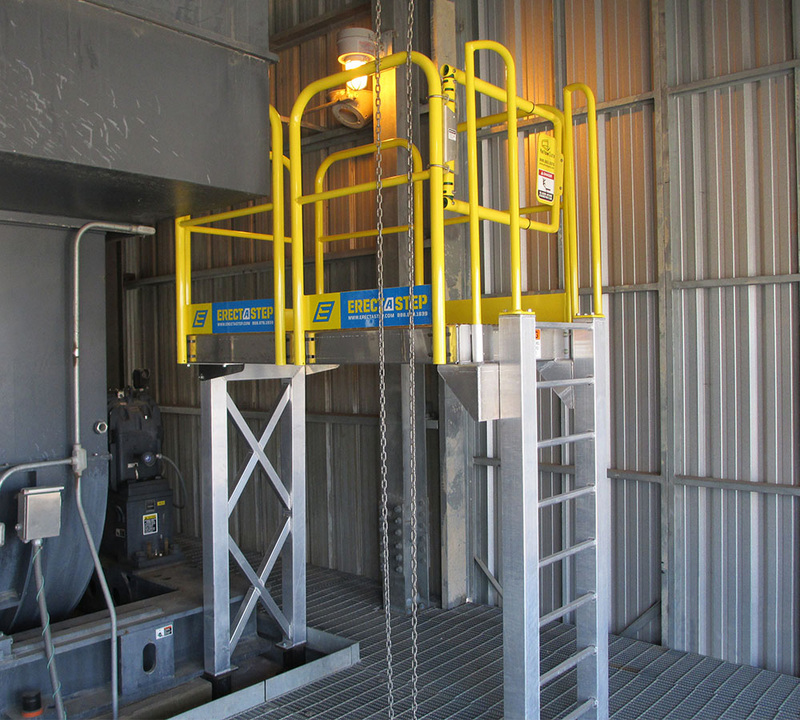 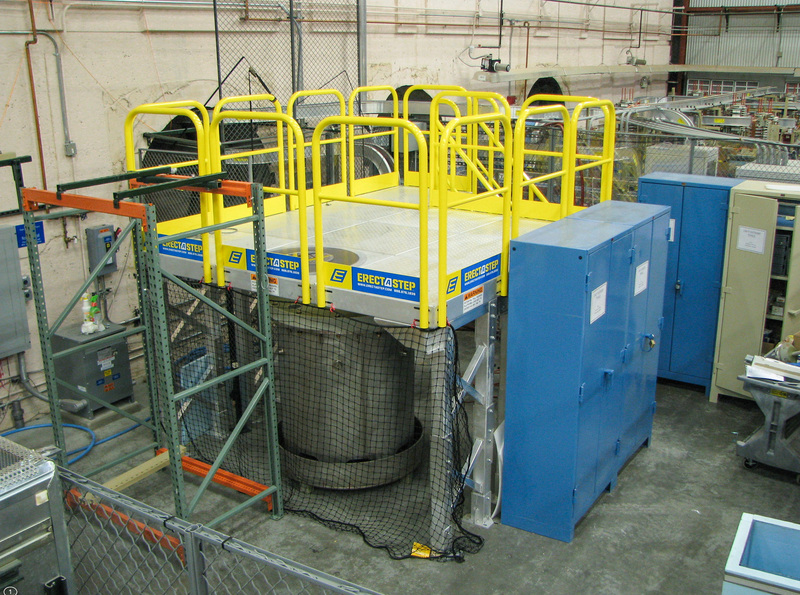 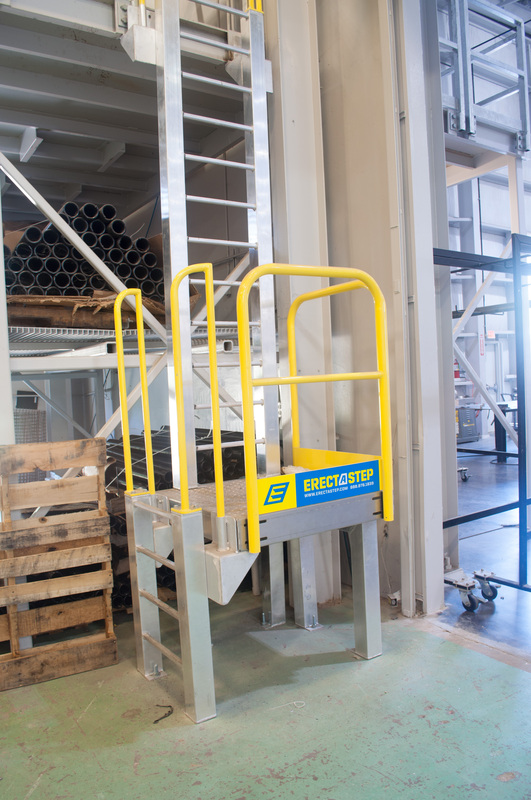 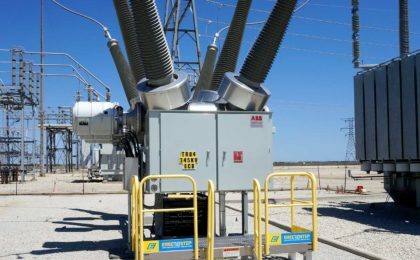 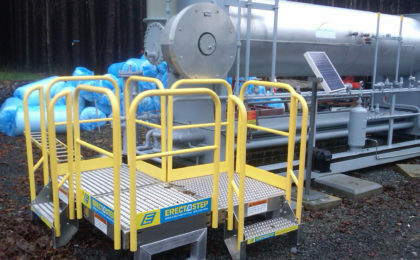 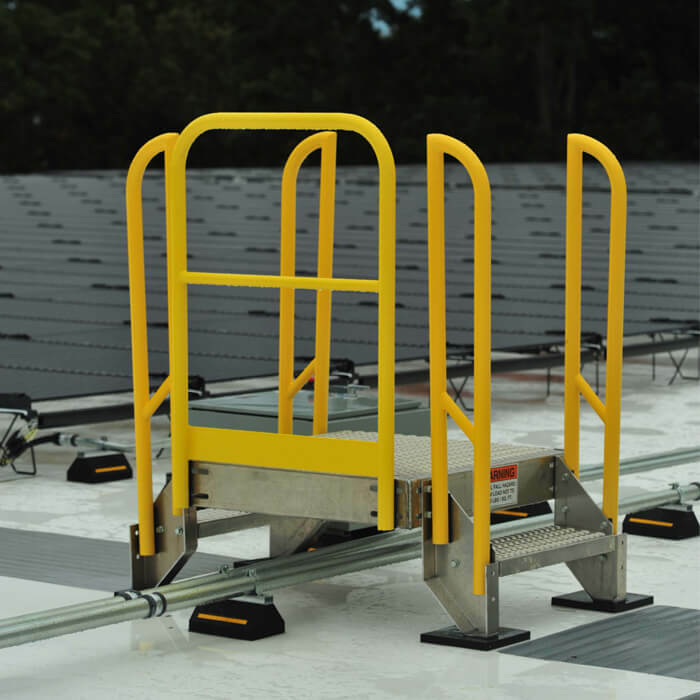 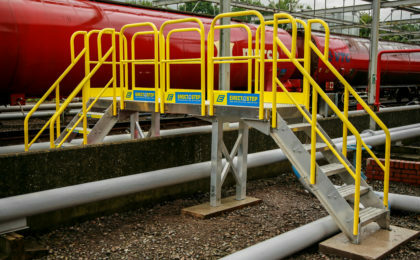 Access Equipment At Various Heights Safely and Securely. 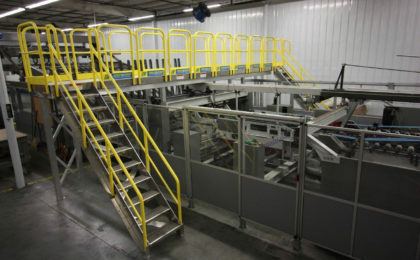 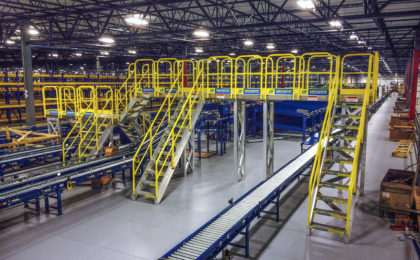 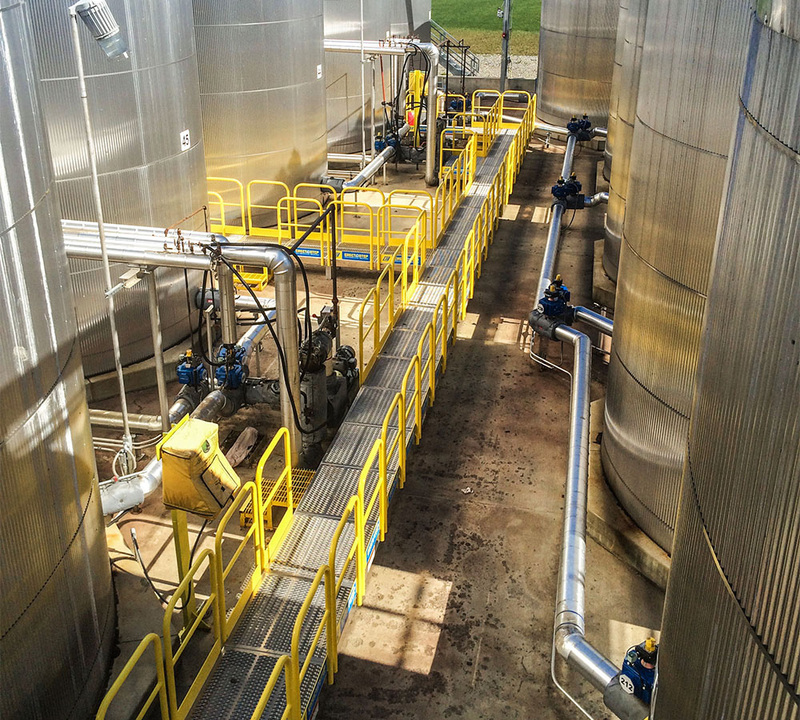 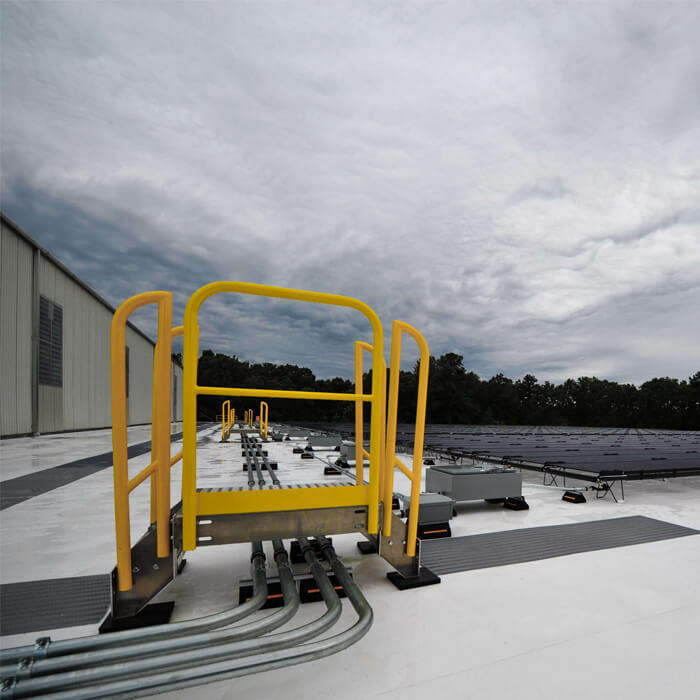 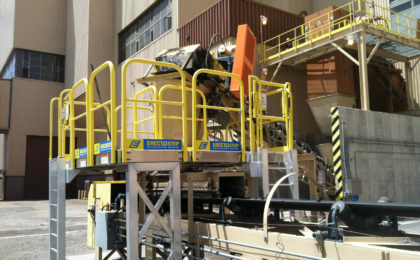 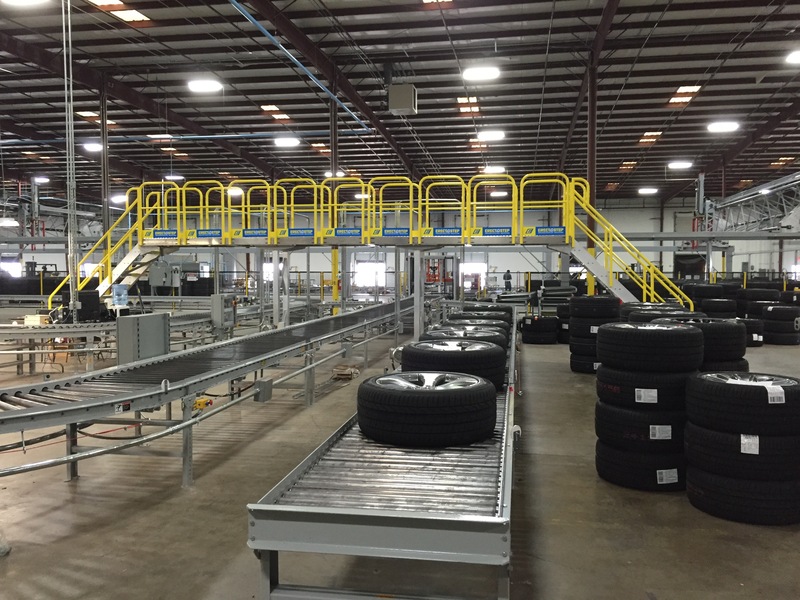 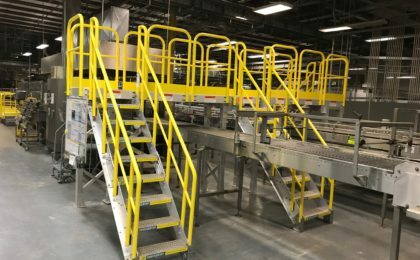 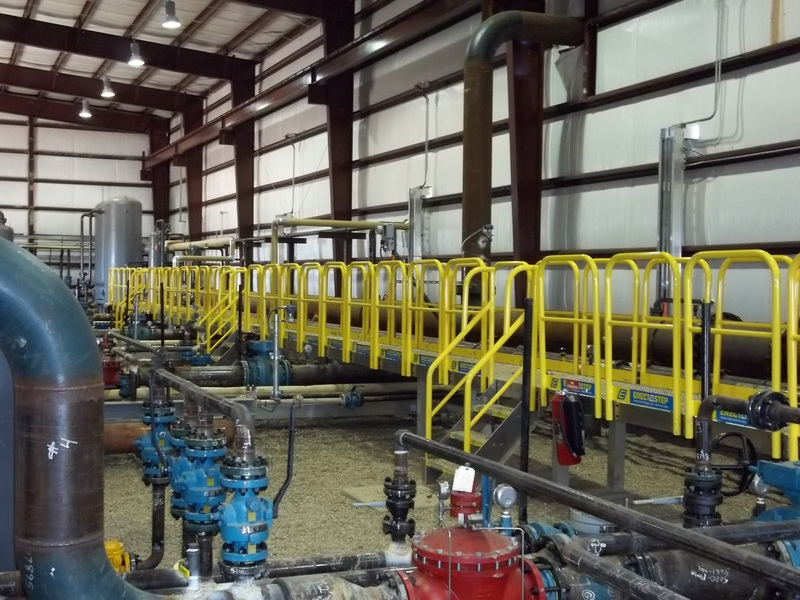 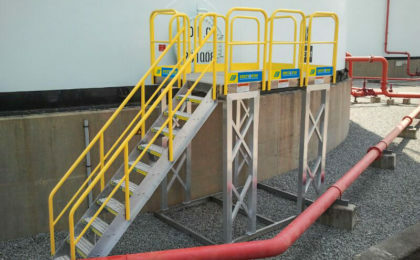 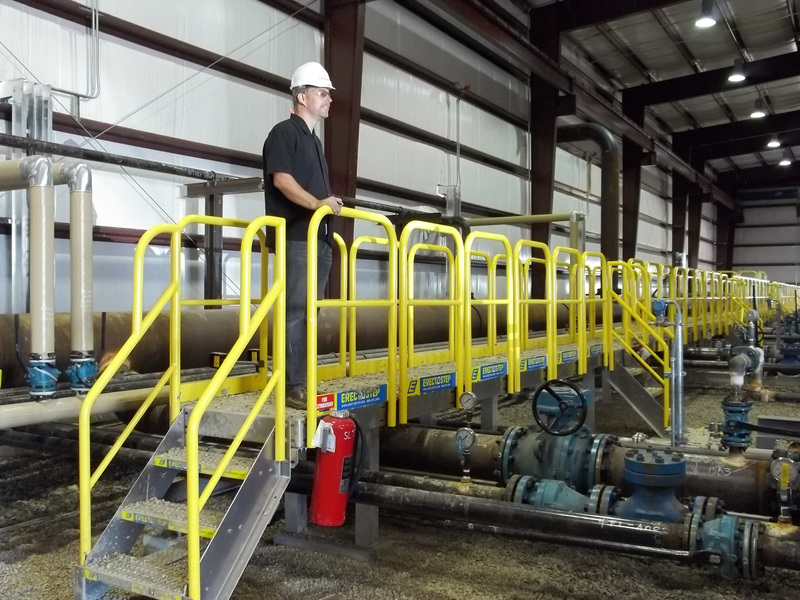 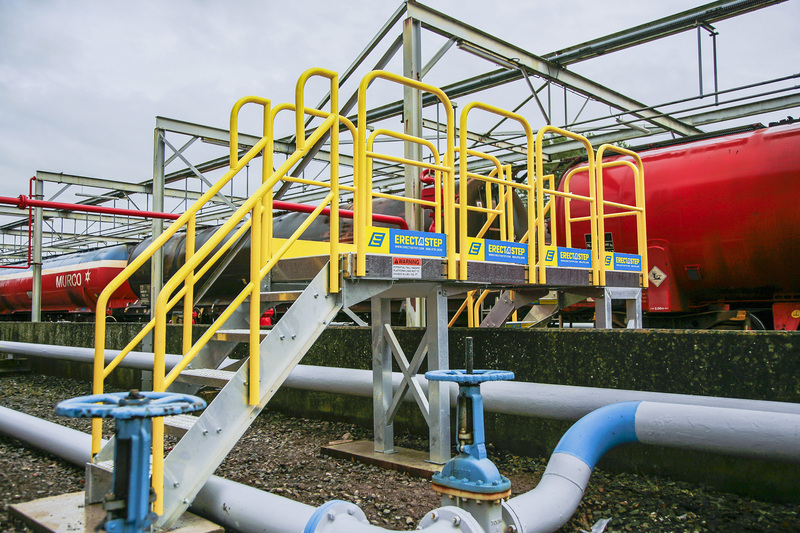 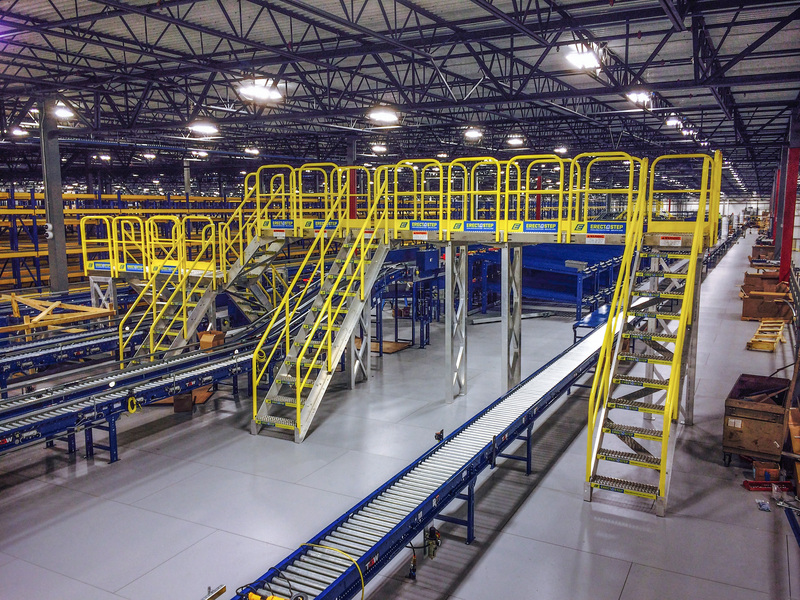 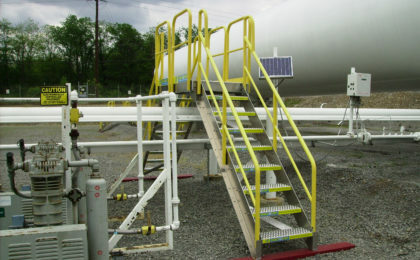 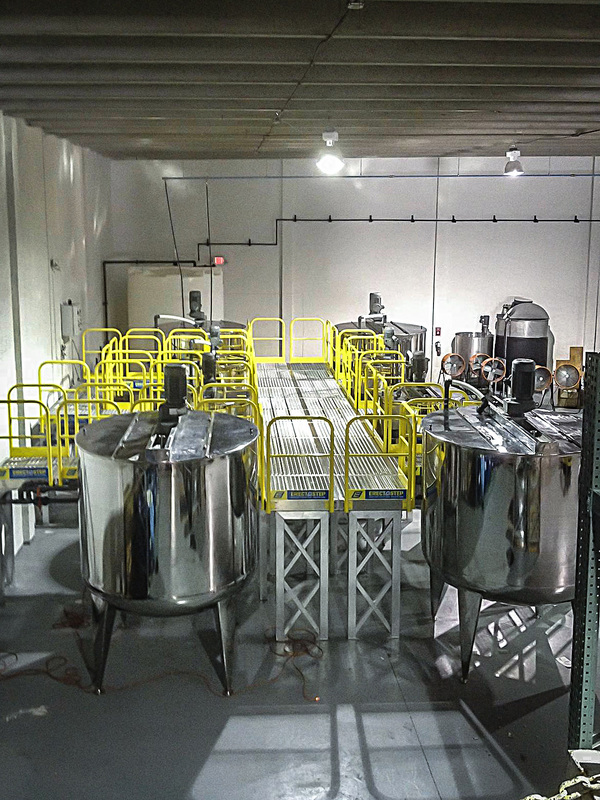 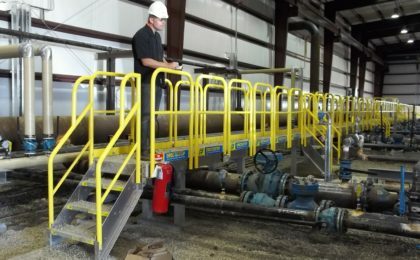 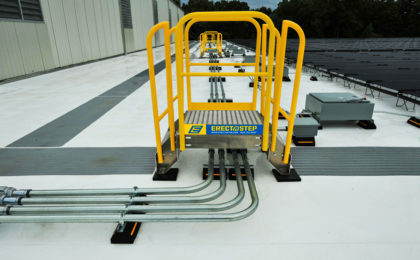 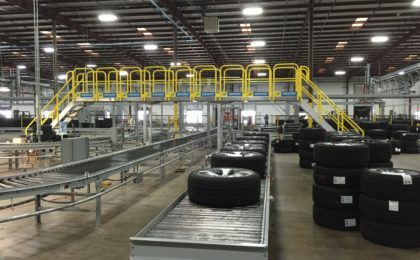 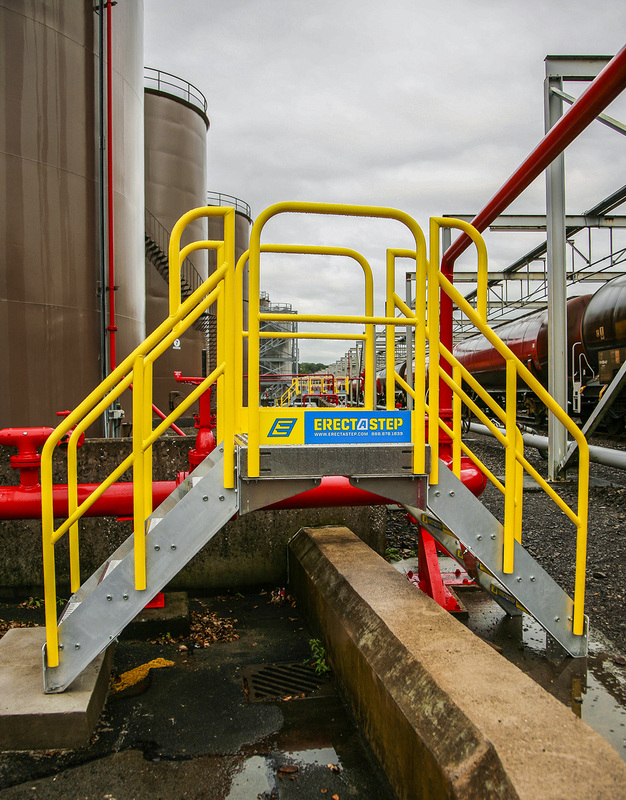 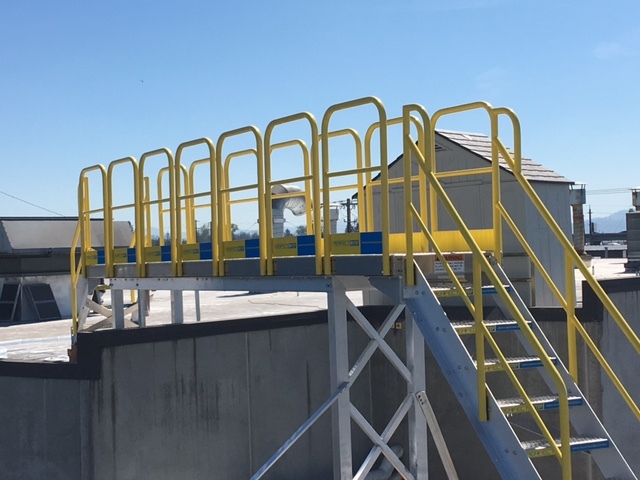 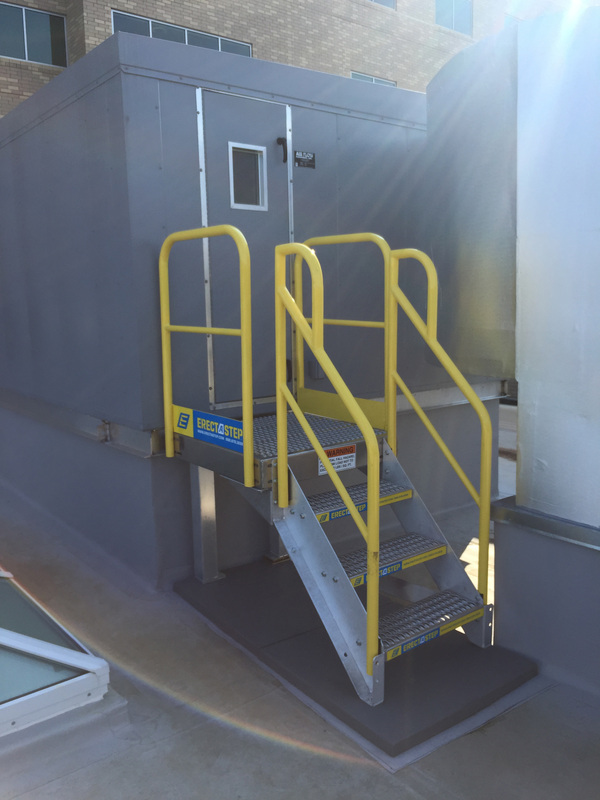 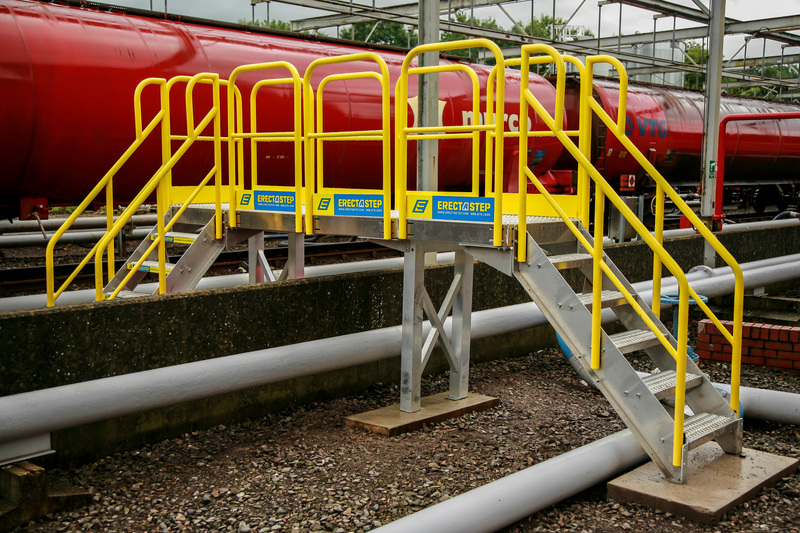 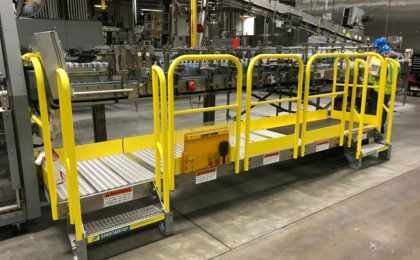 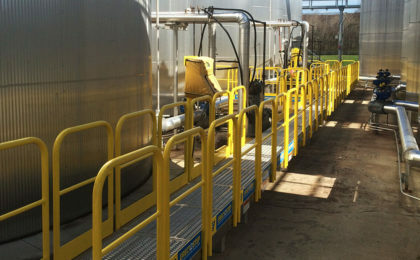 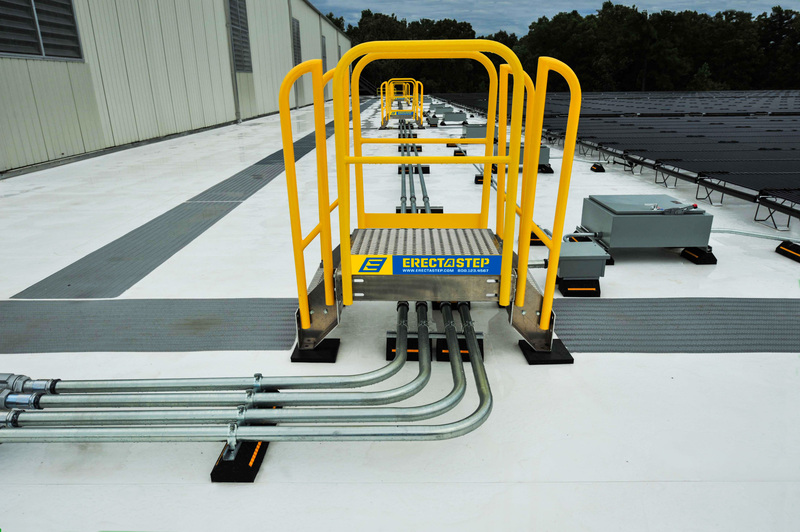 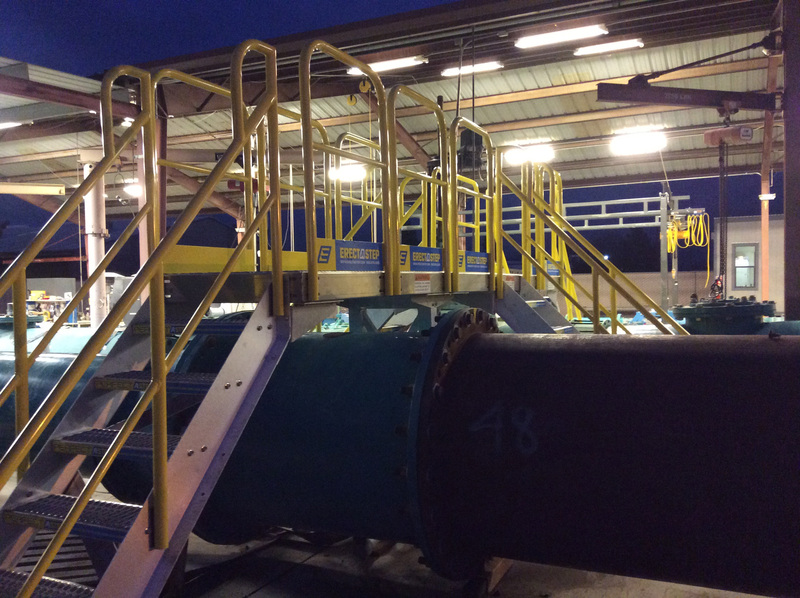 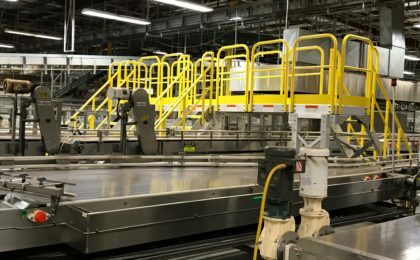 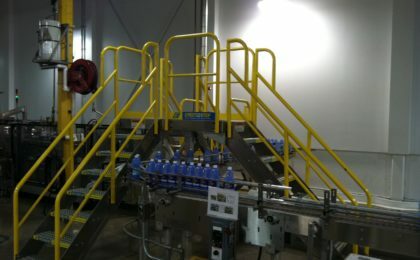 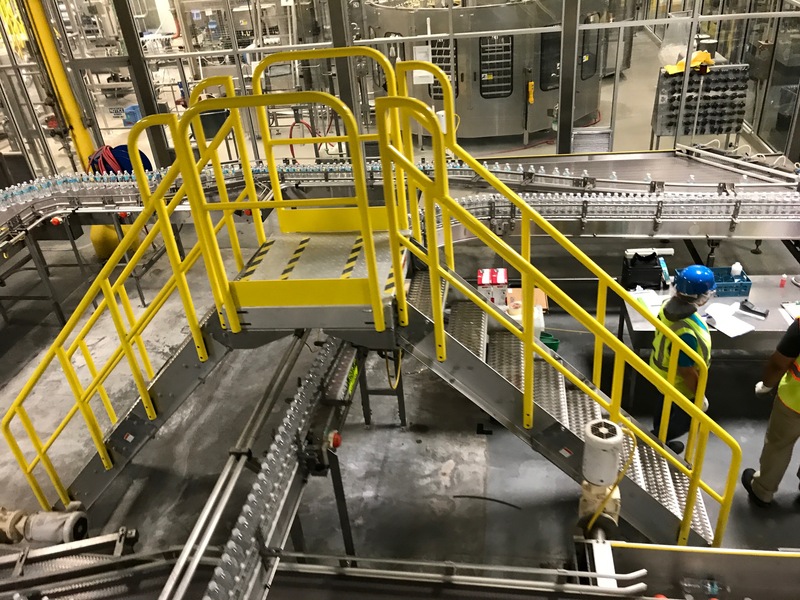 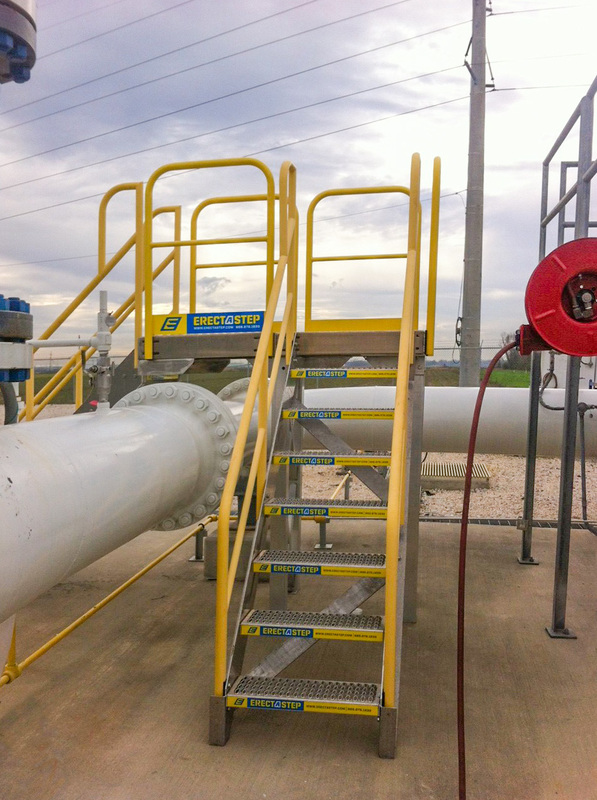 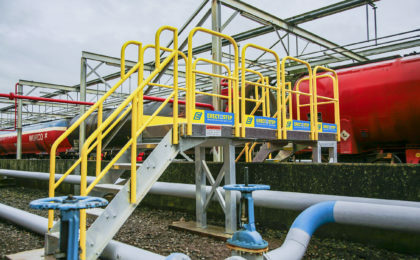 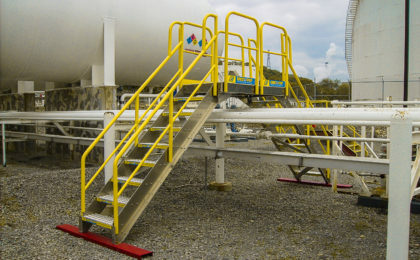 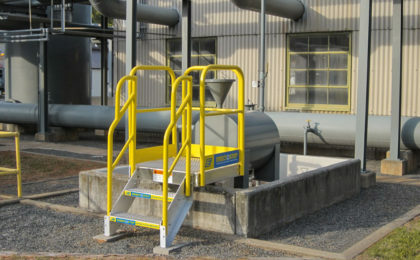 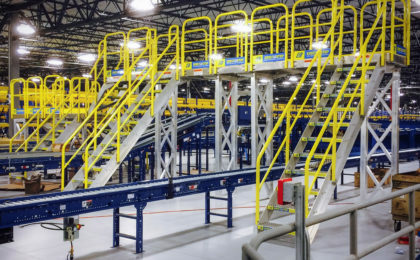 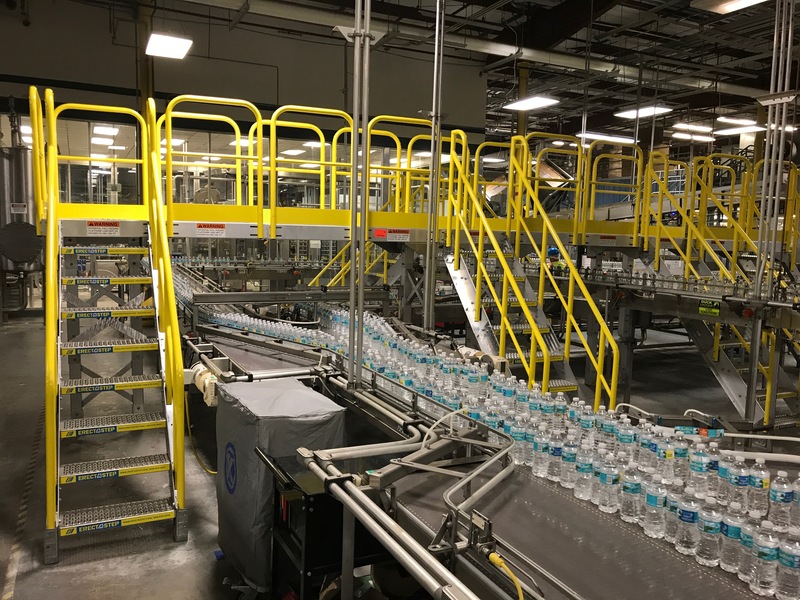 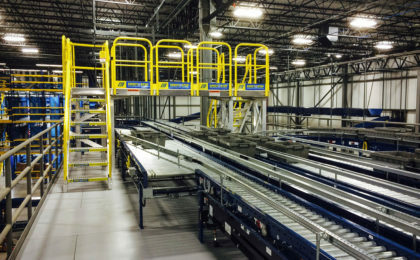 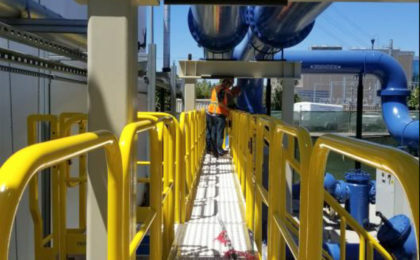 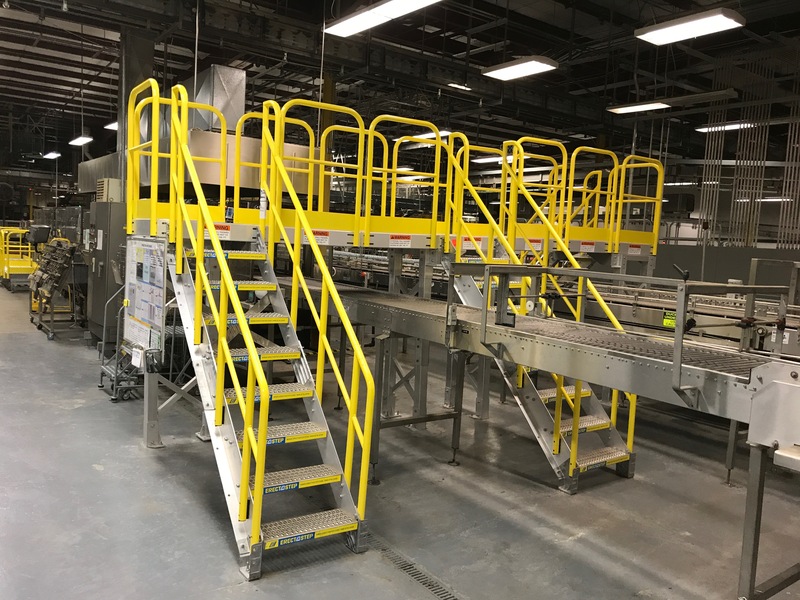 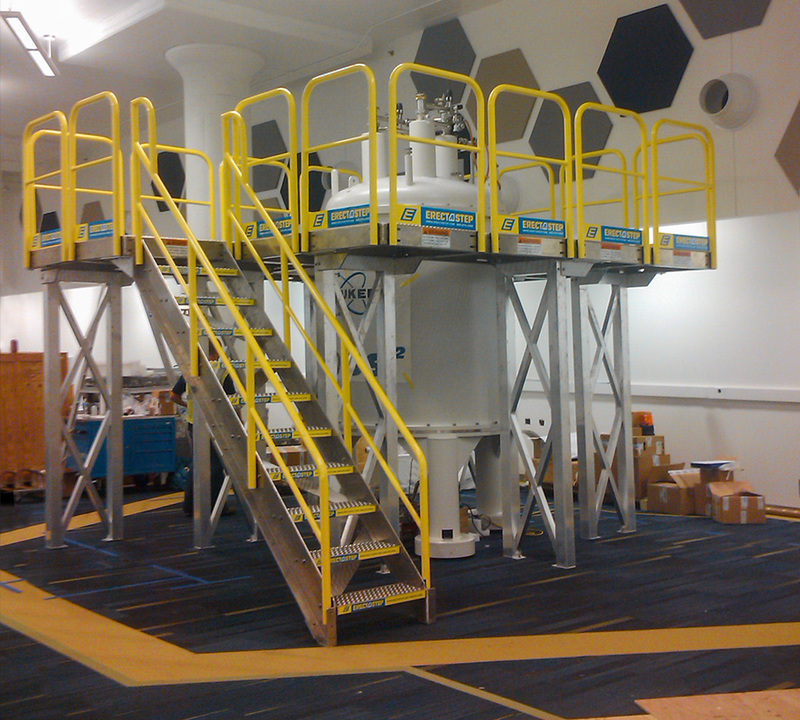 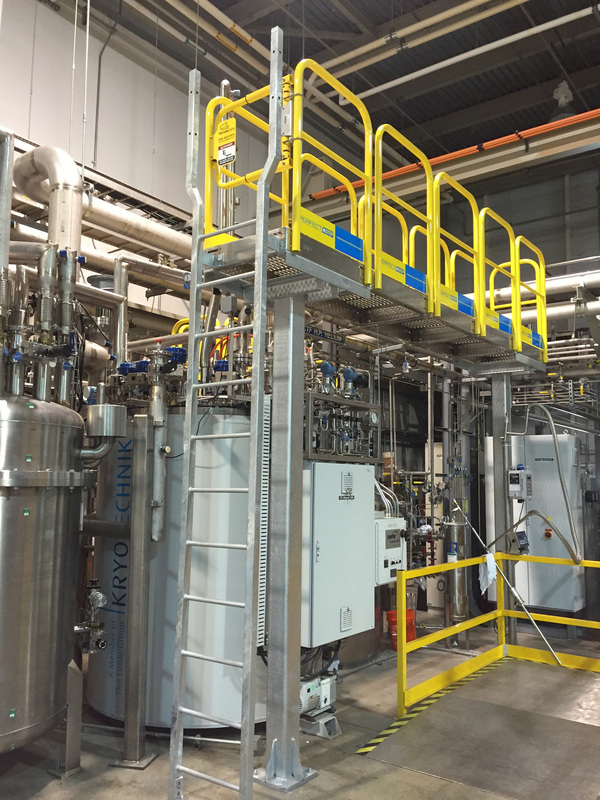 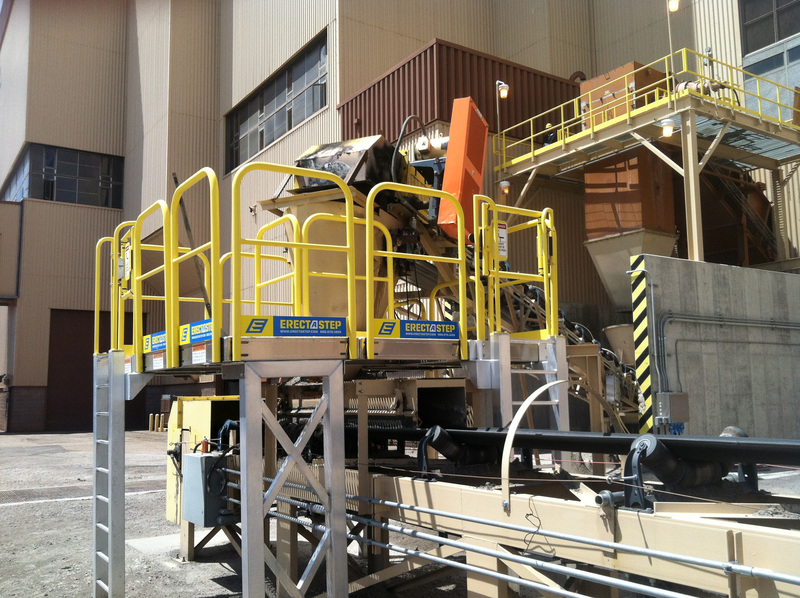 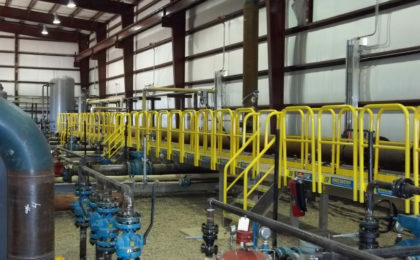 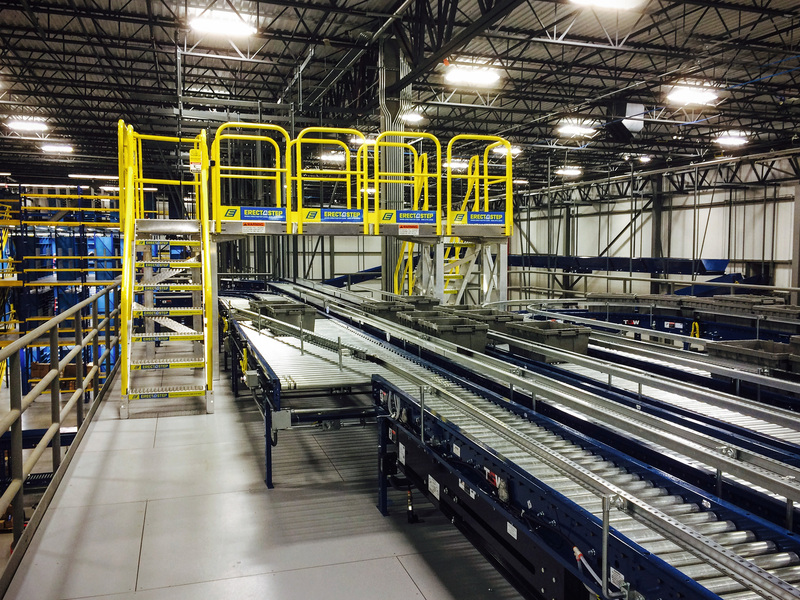 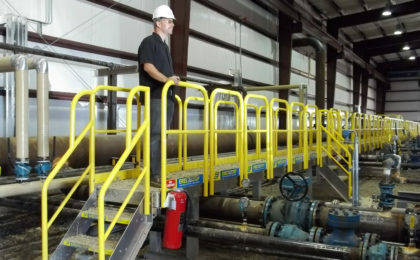 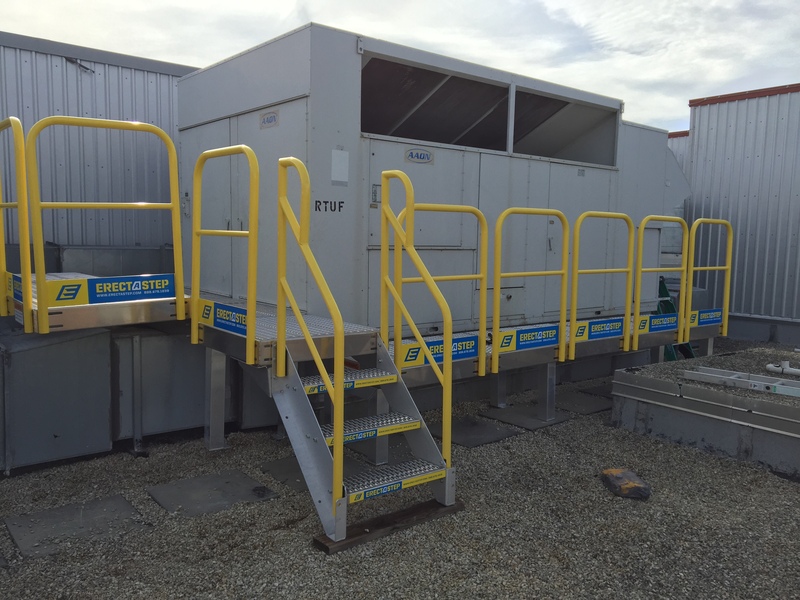 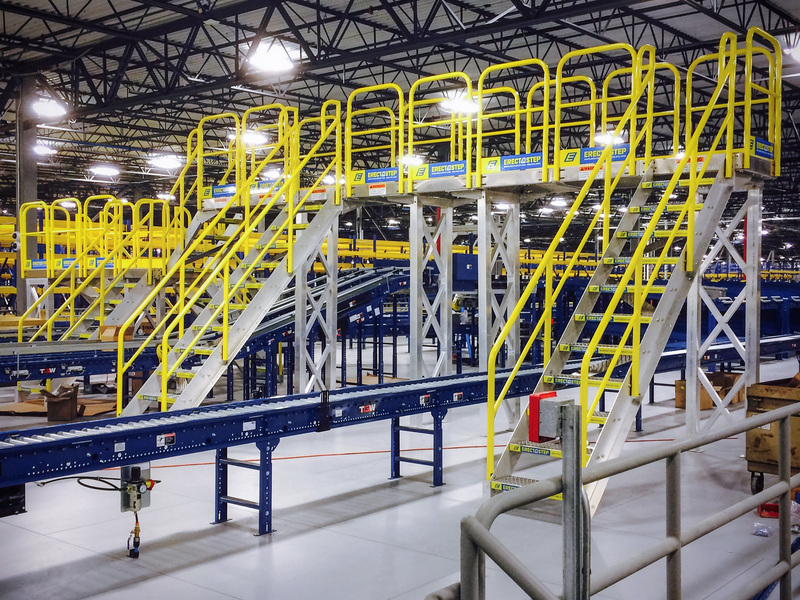 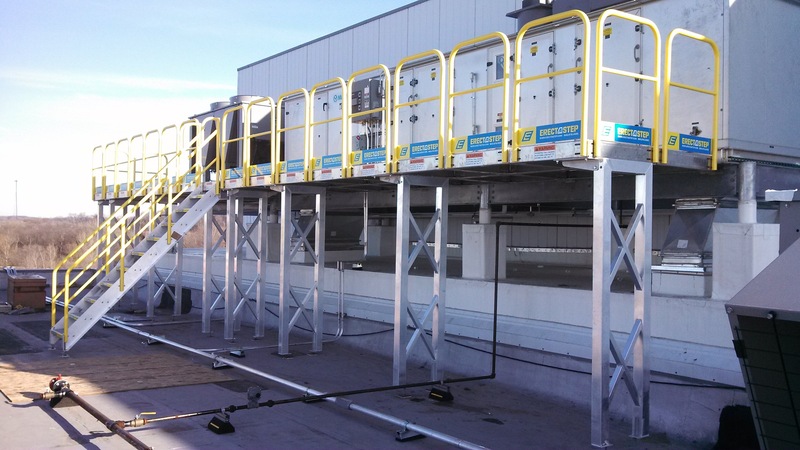 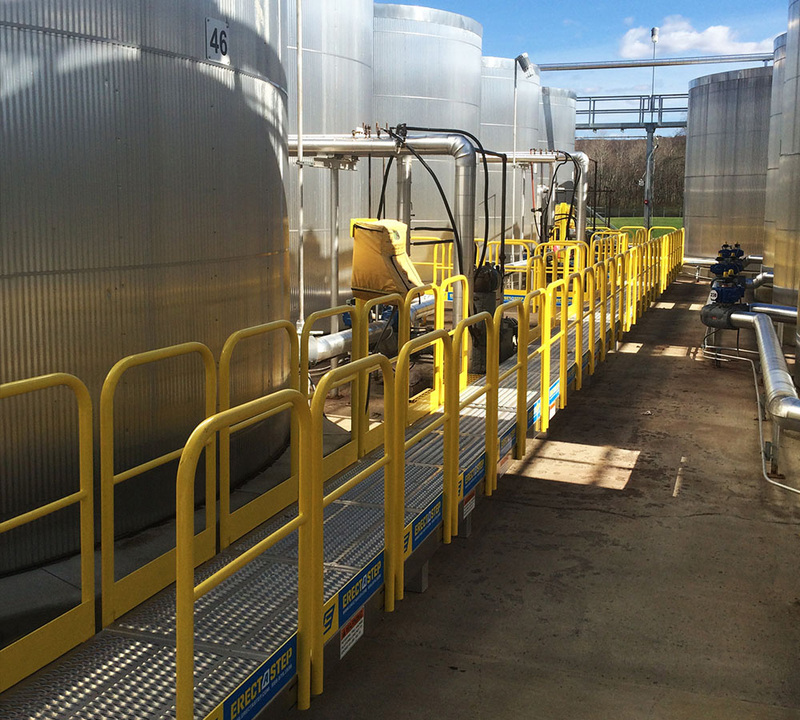 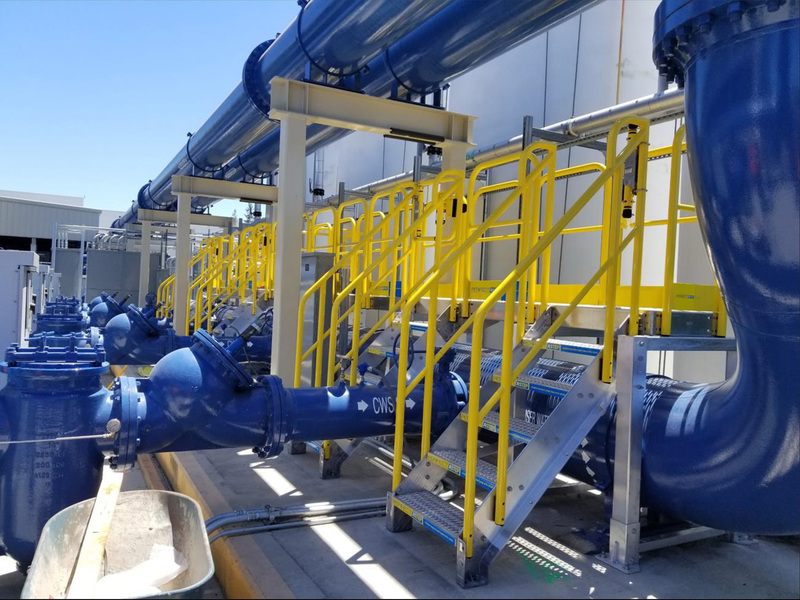 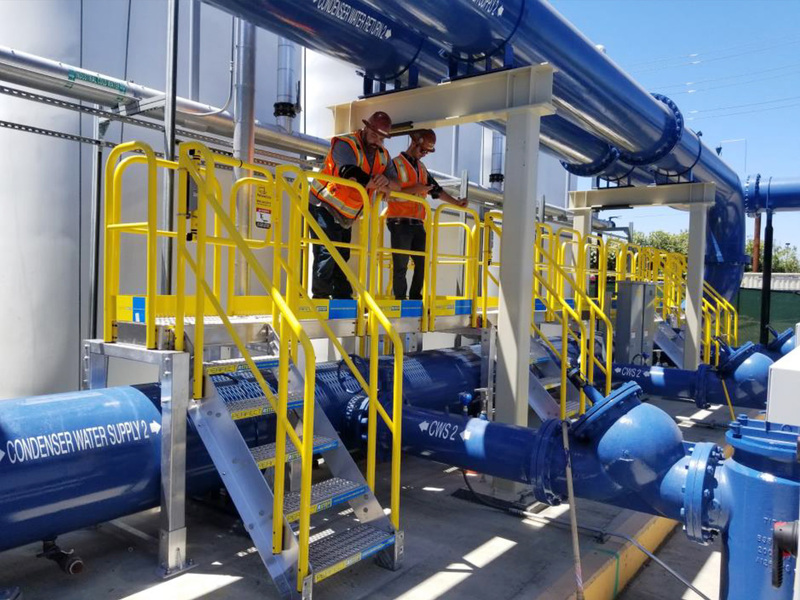 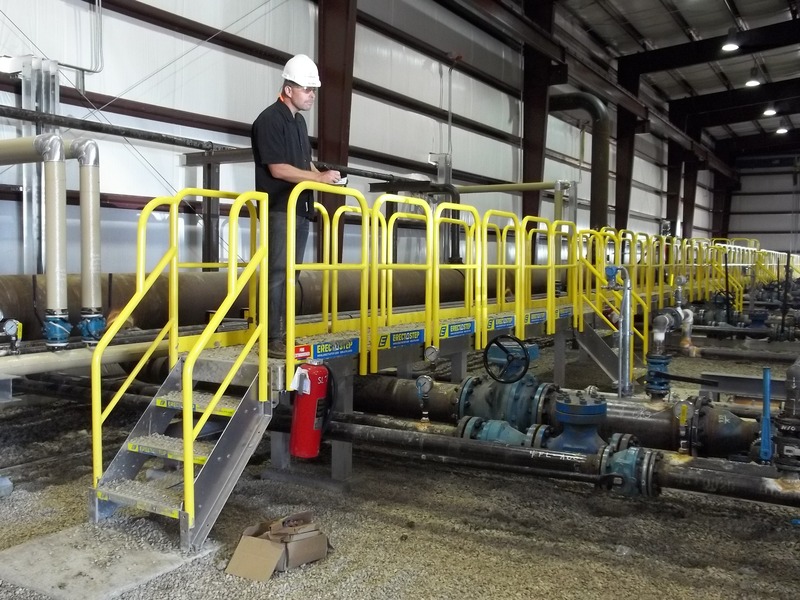 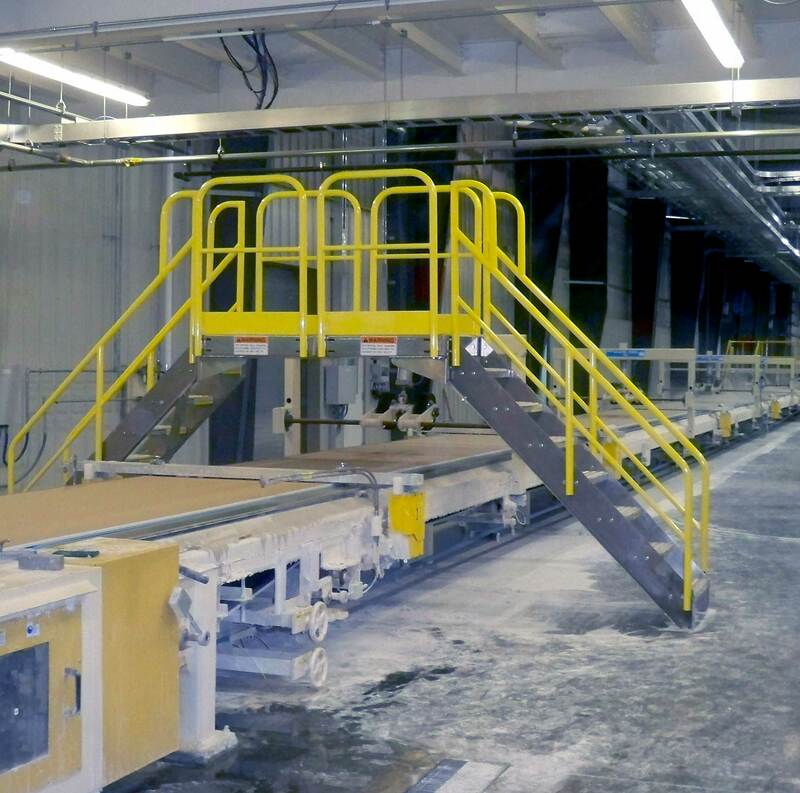 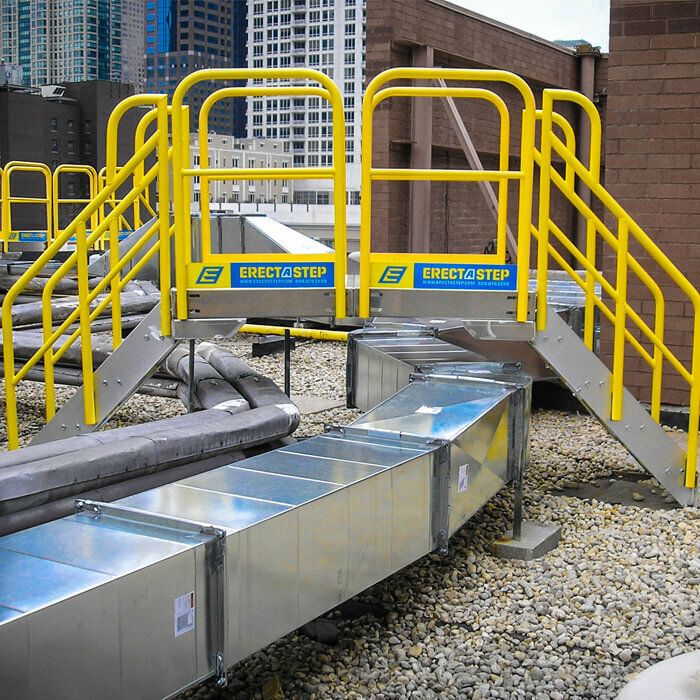 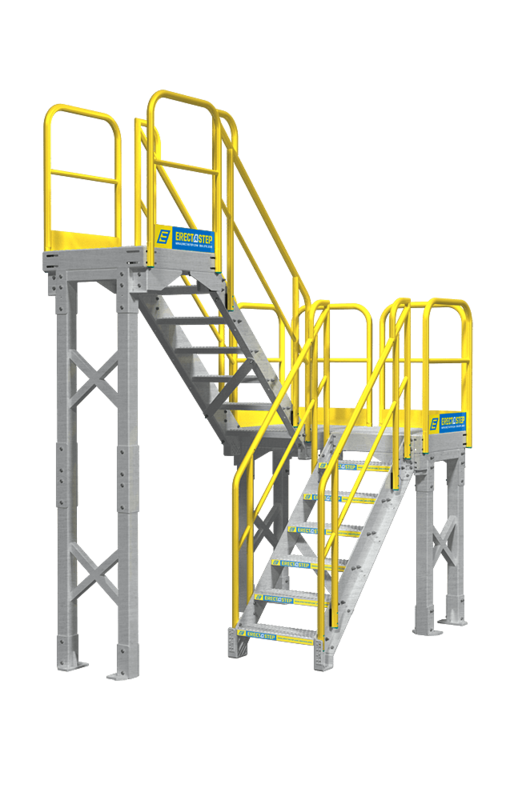 The mezzanine access platform provides access to multiple levels. 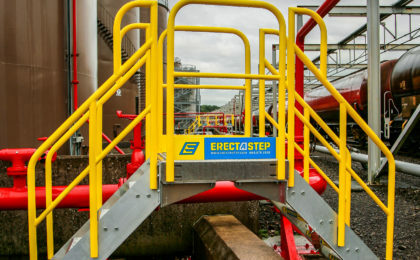 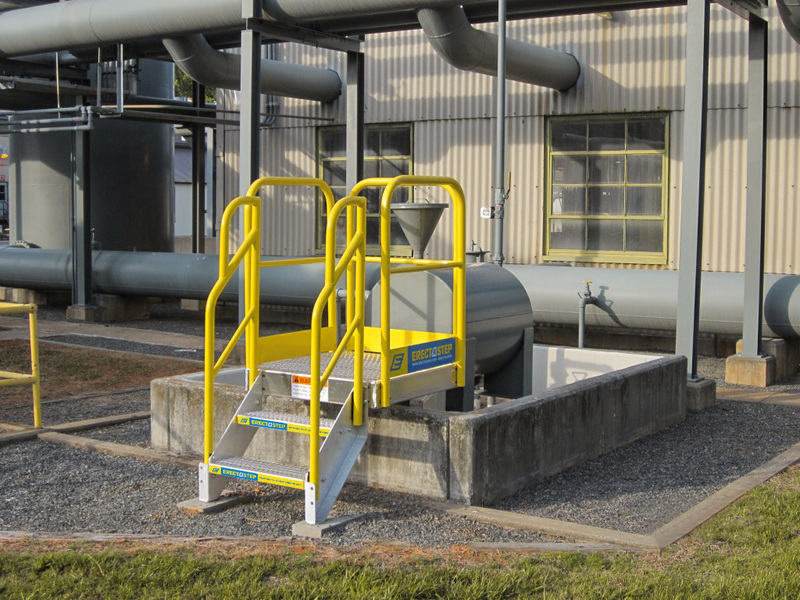 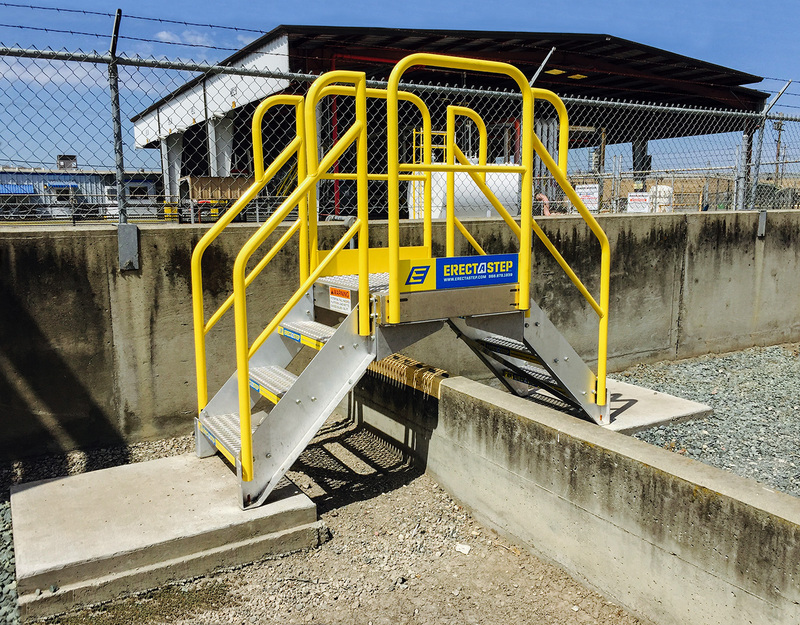 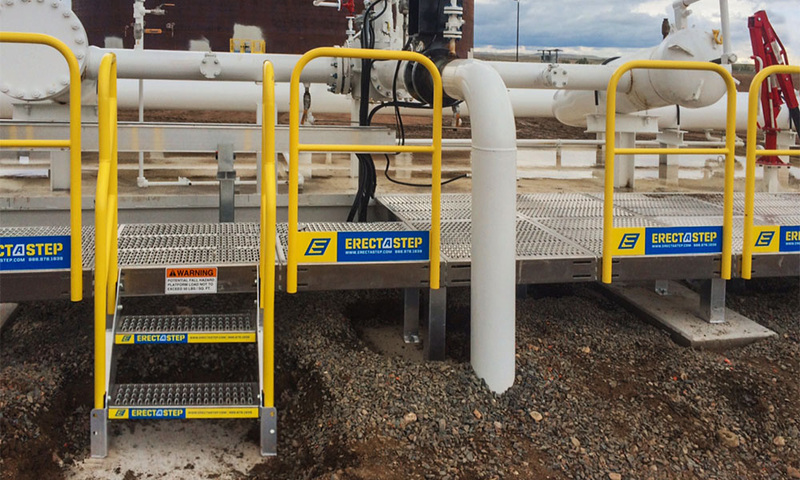 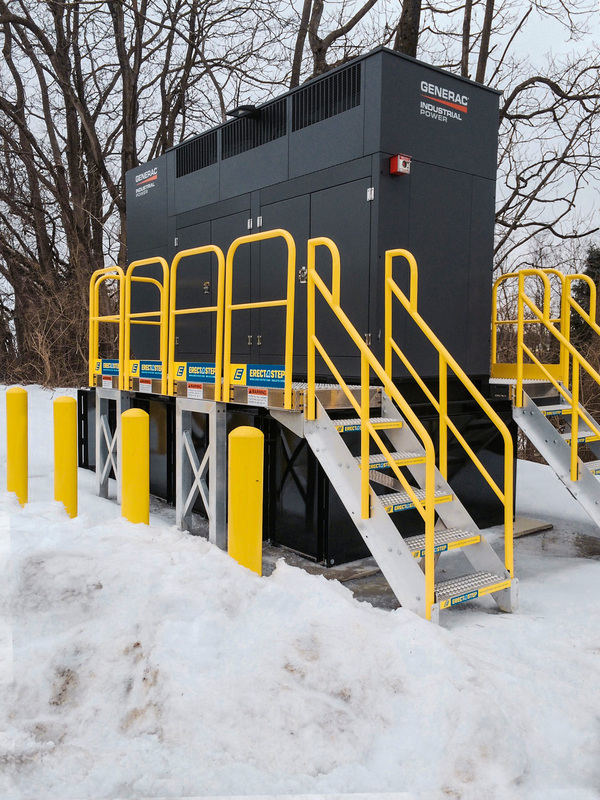 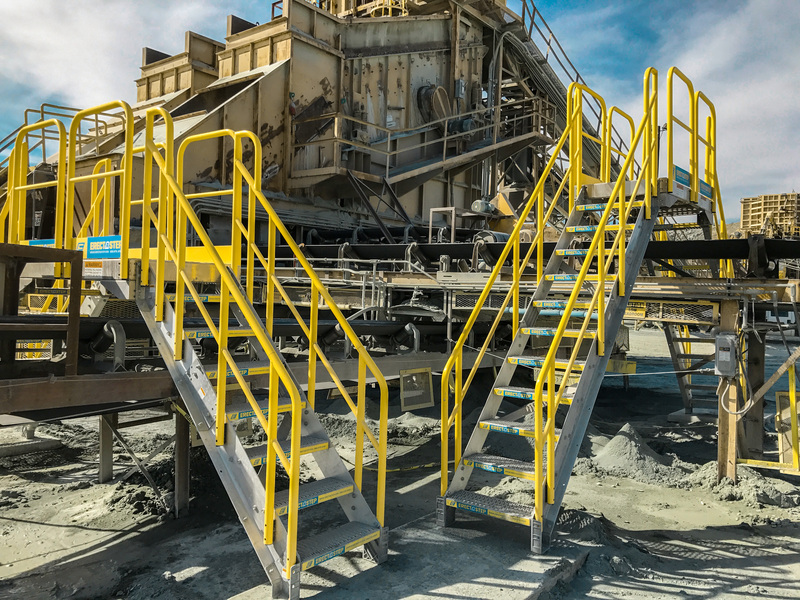 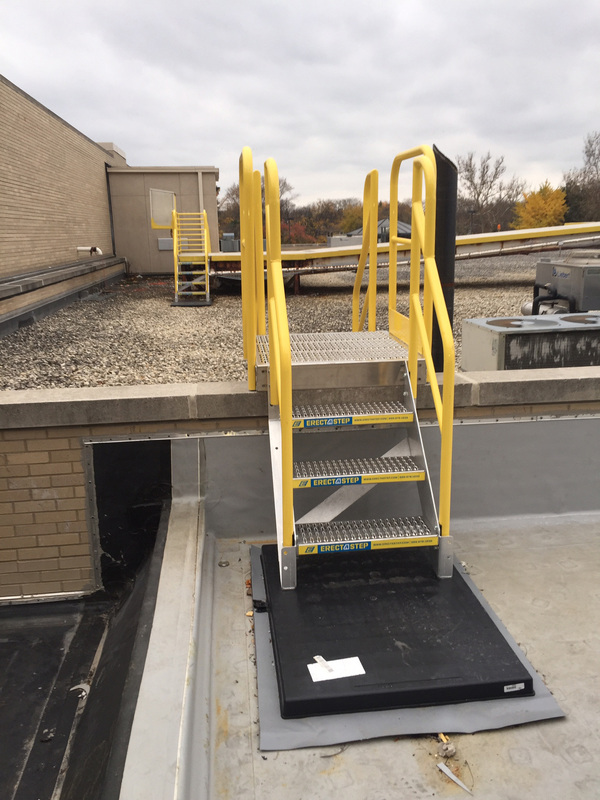 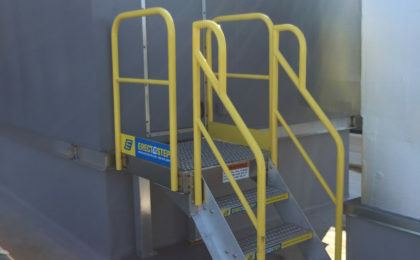 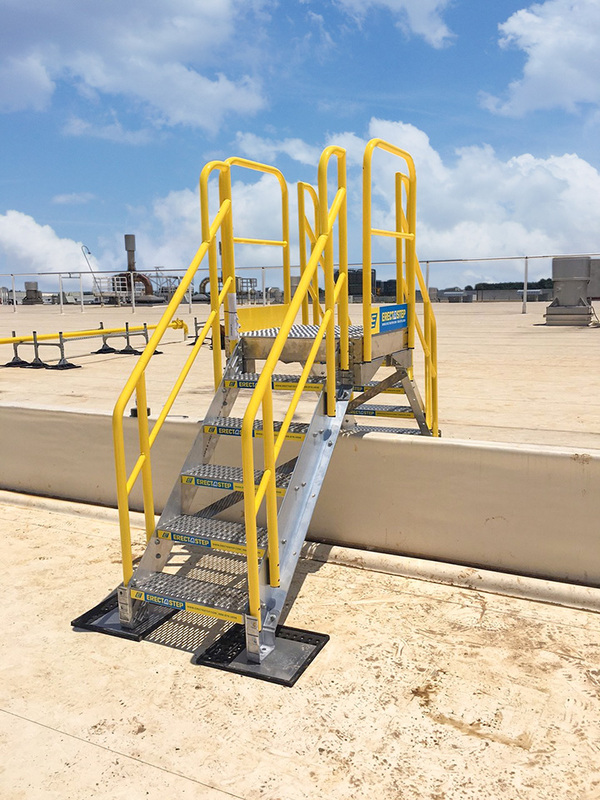 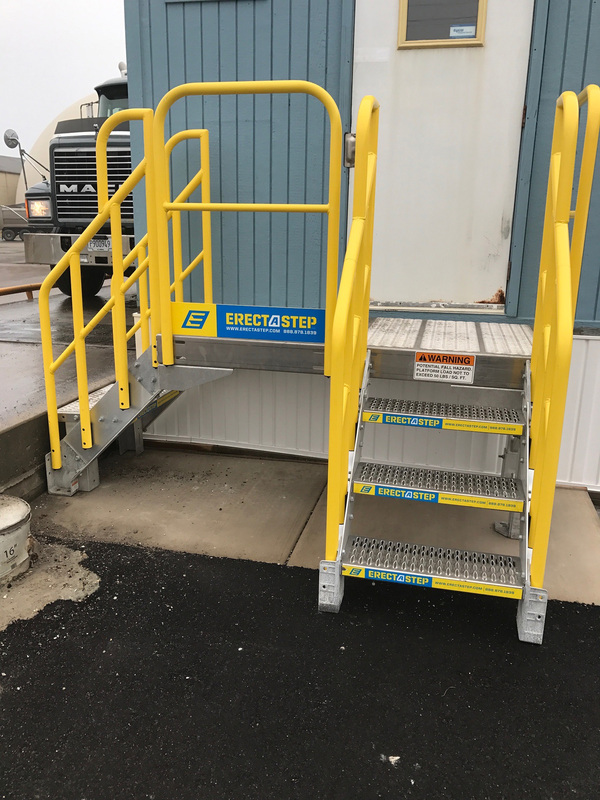 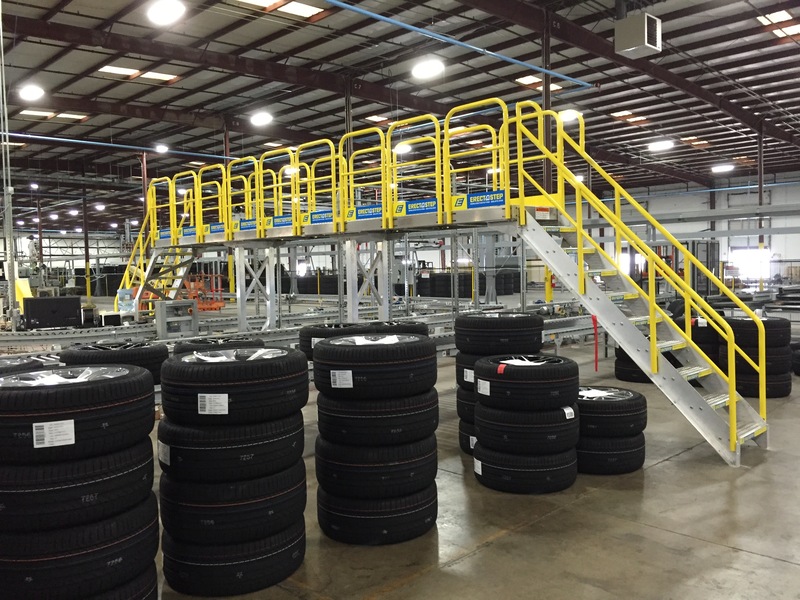 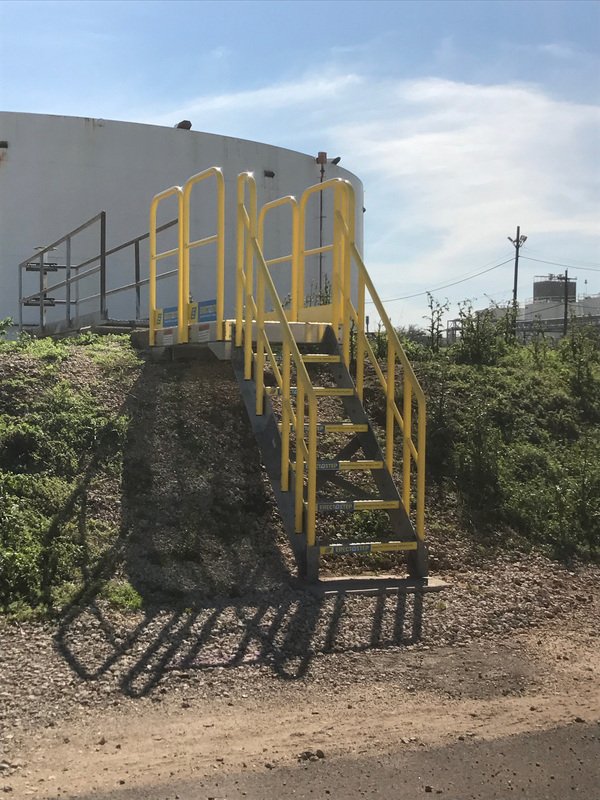 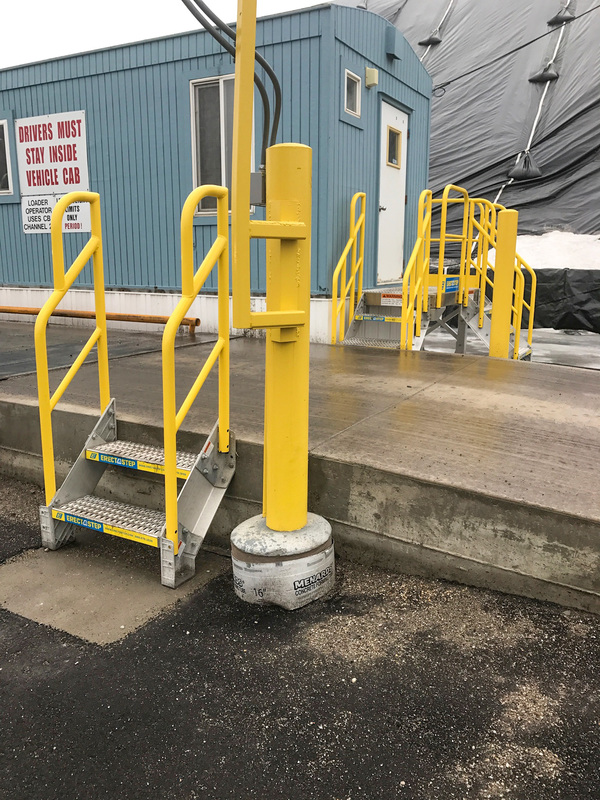 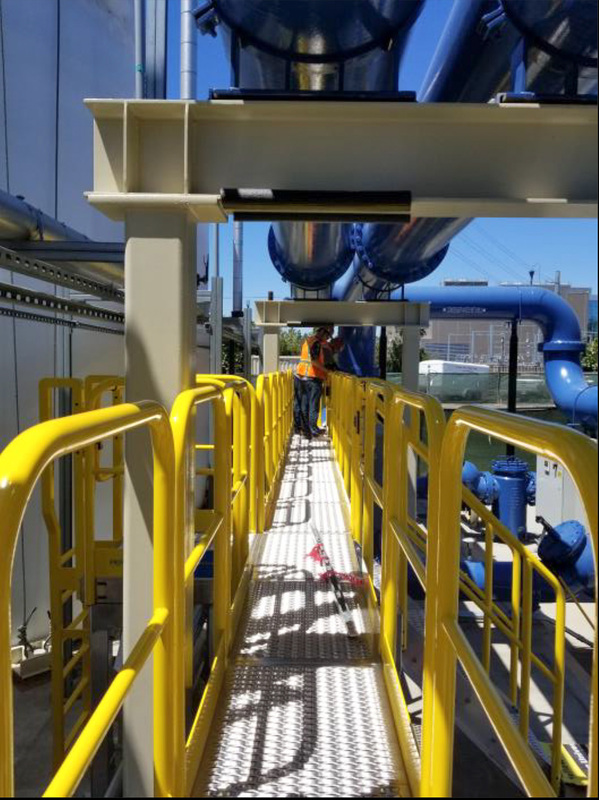 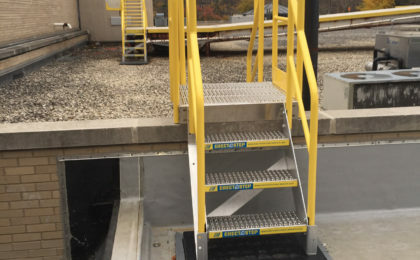 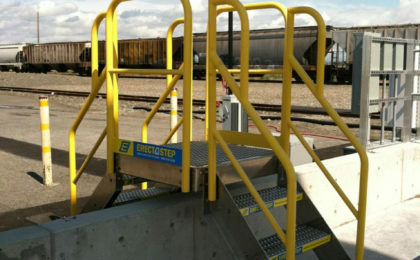 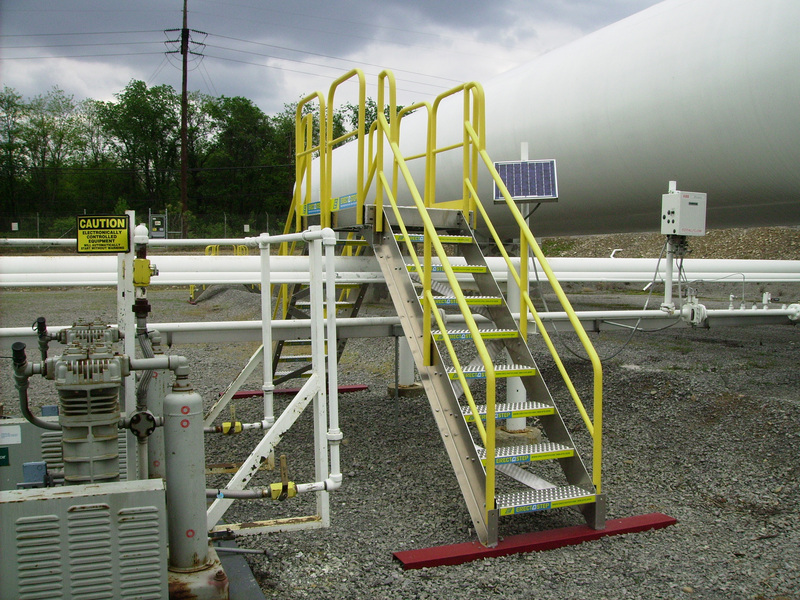 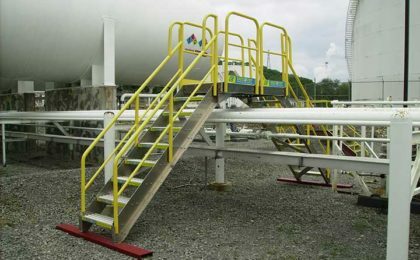 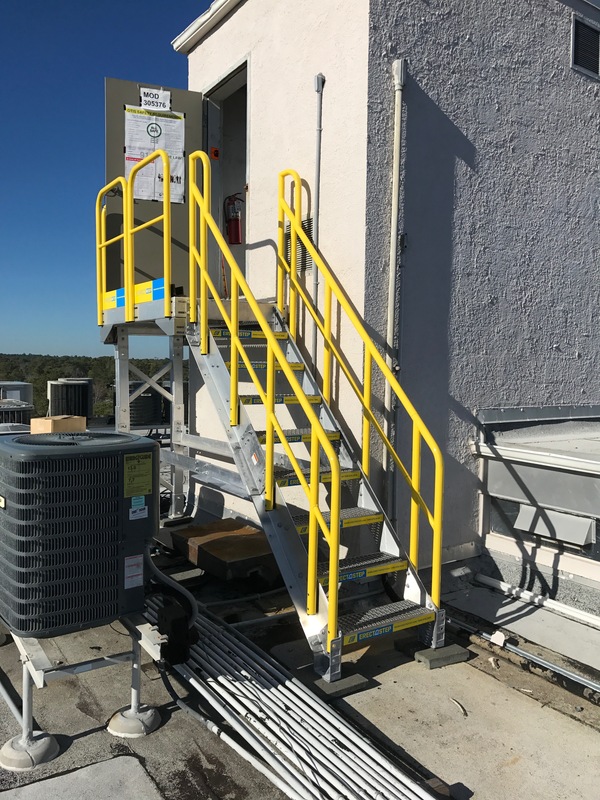 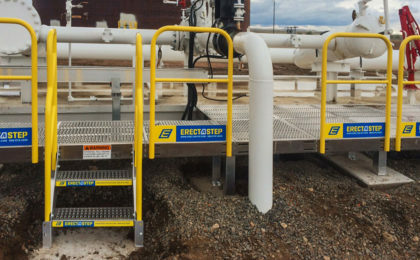 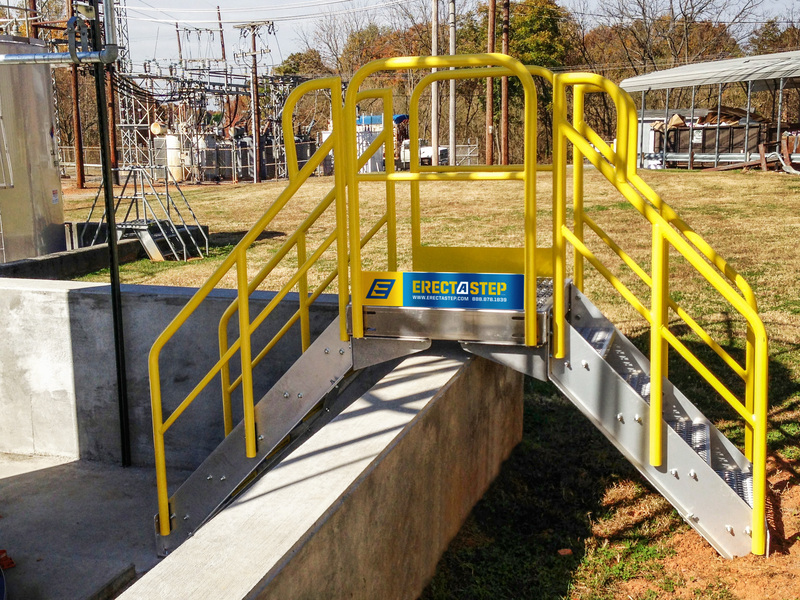 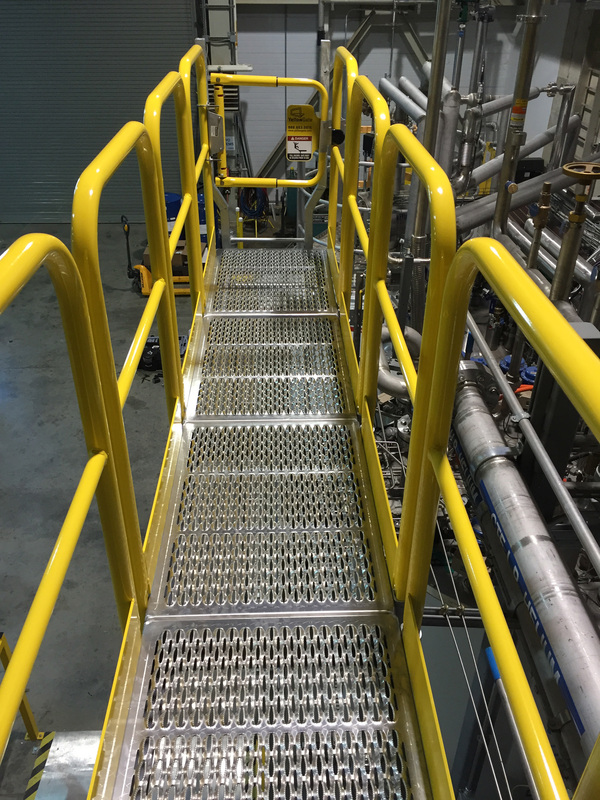 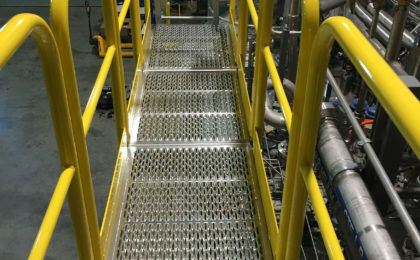 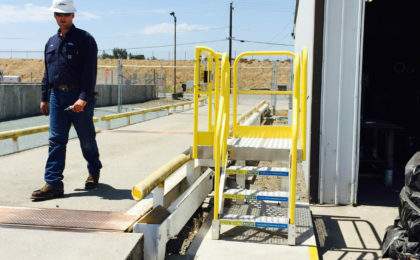 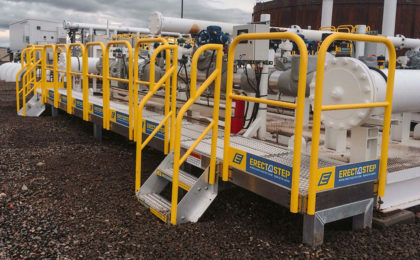 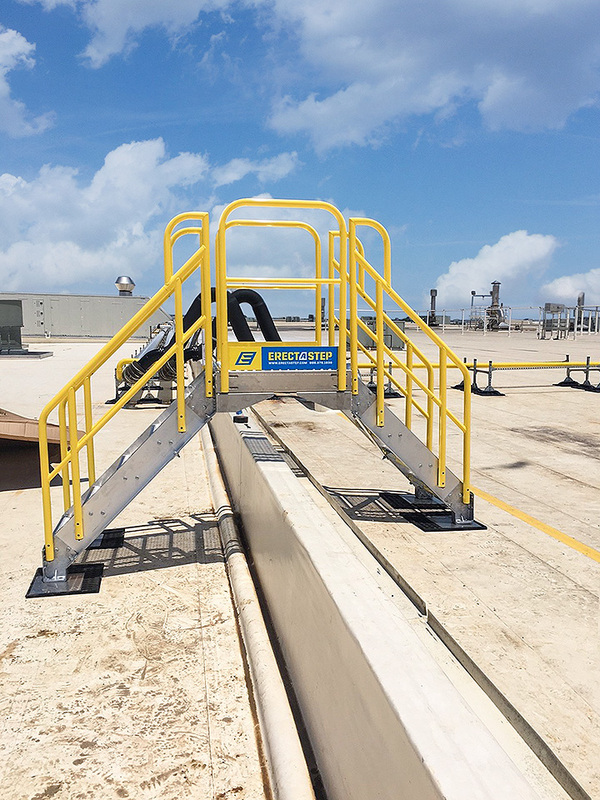 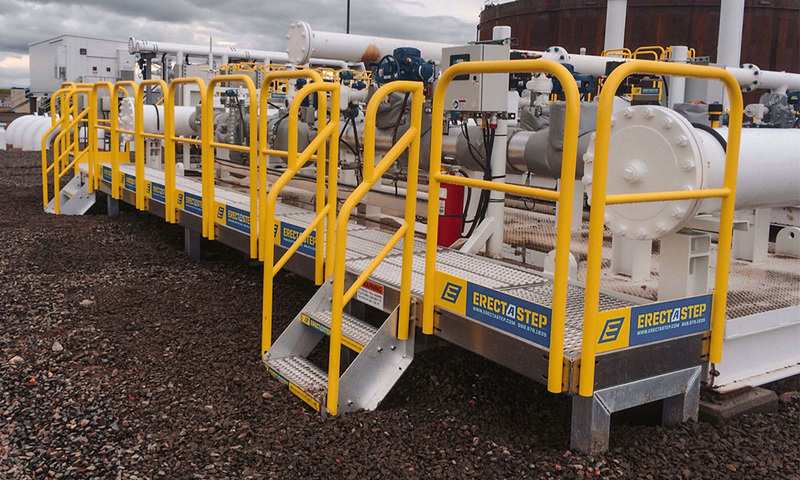 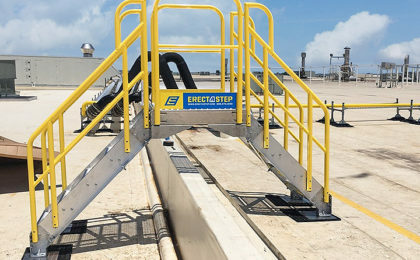 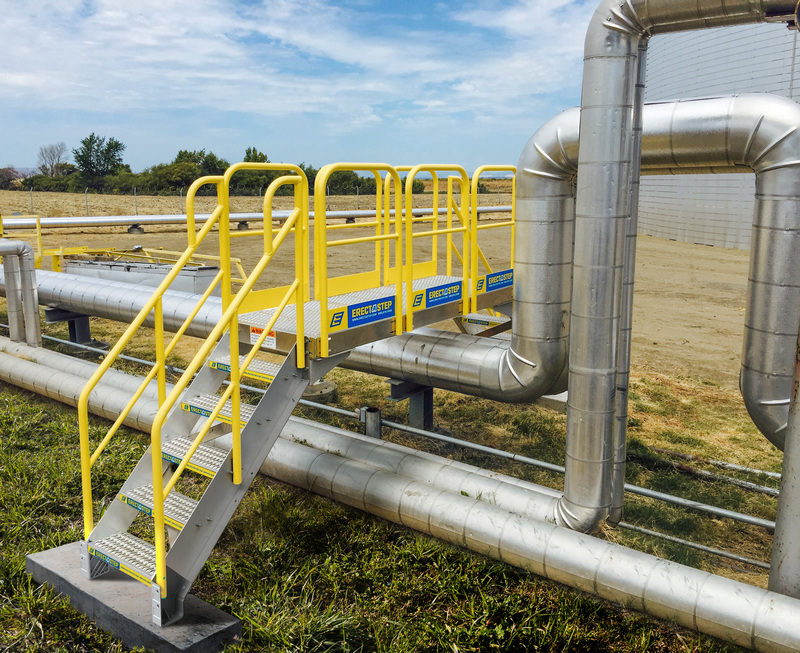 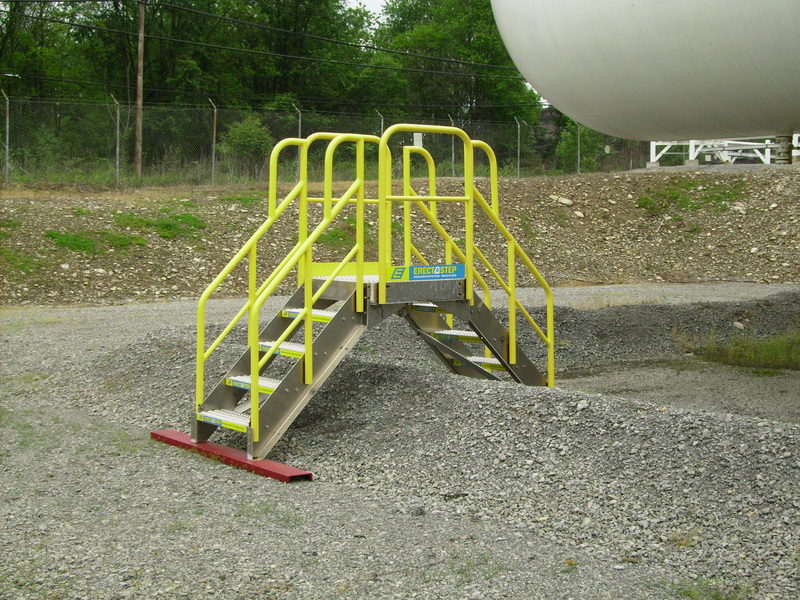 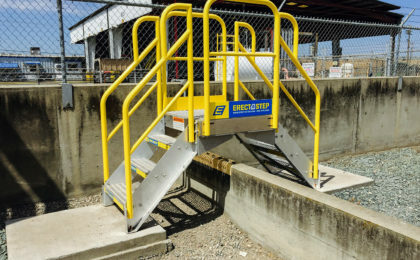 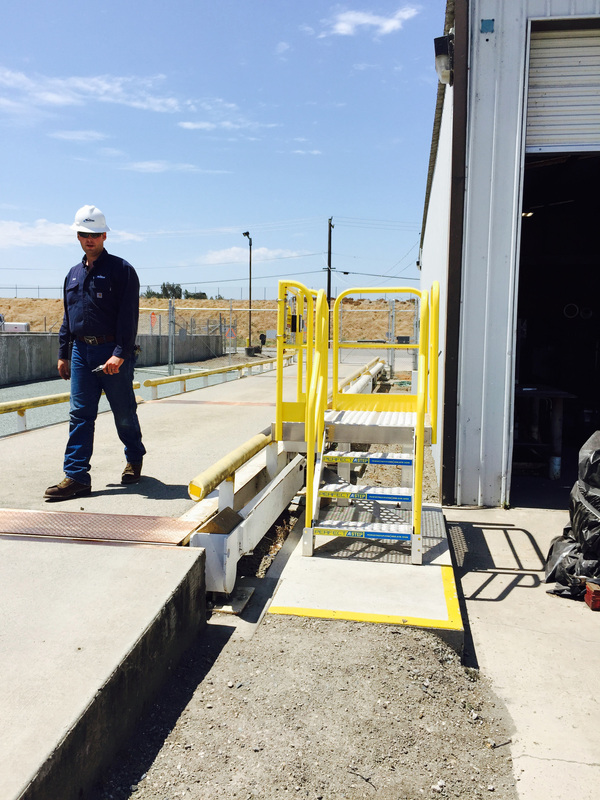 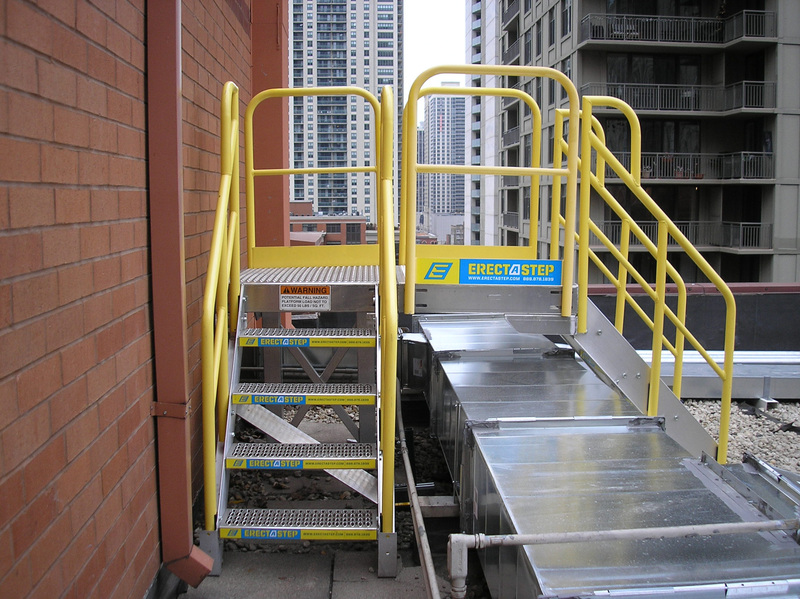 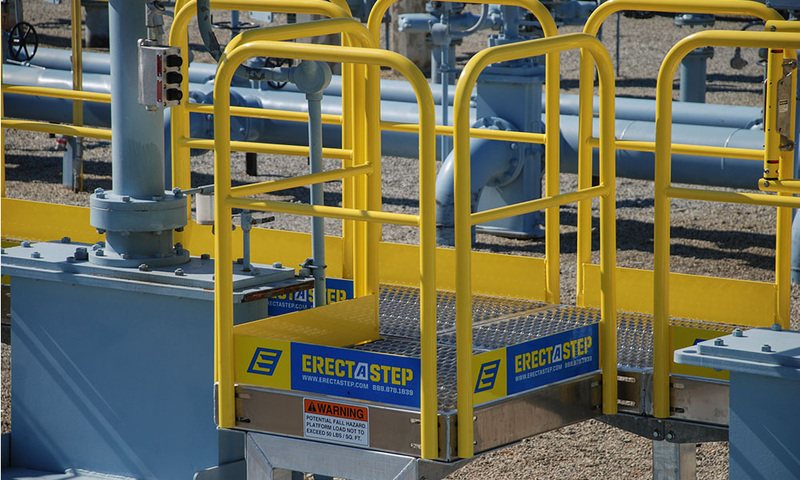 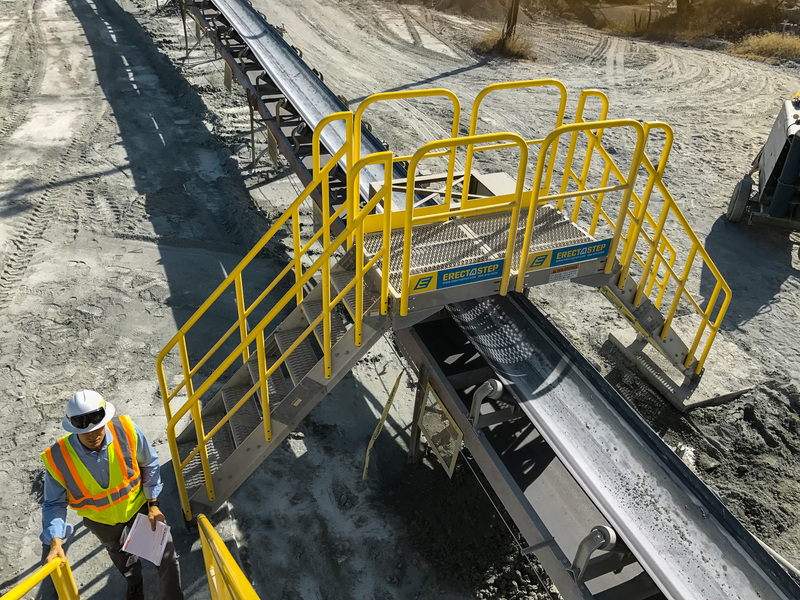 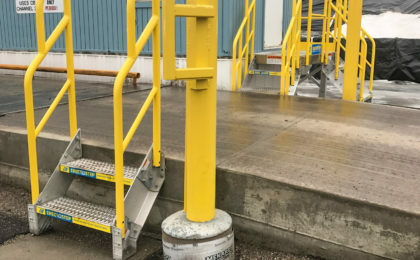 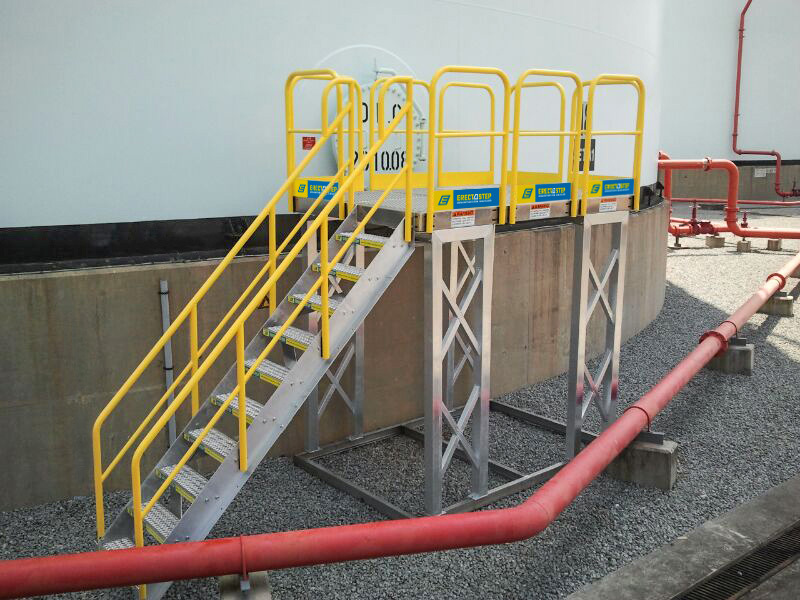 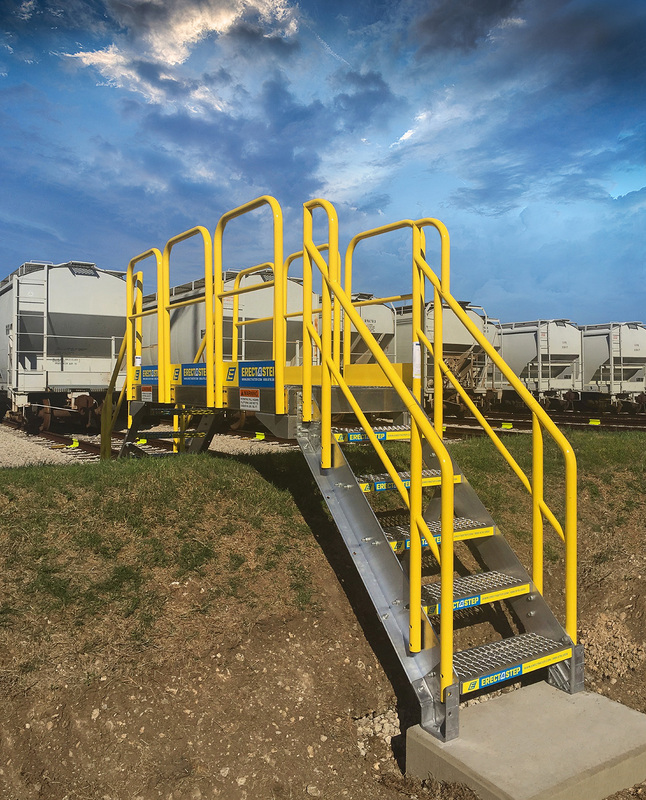 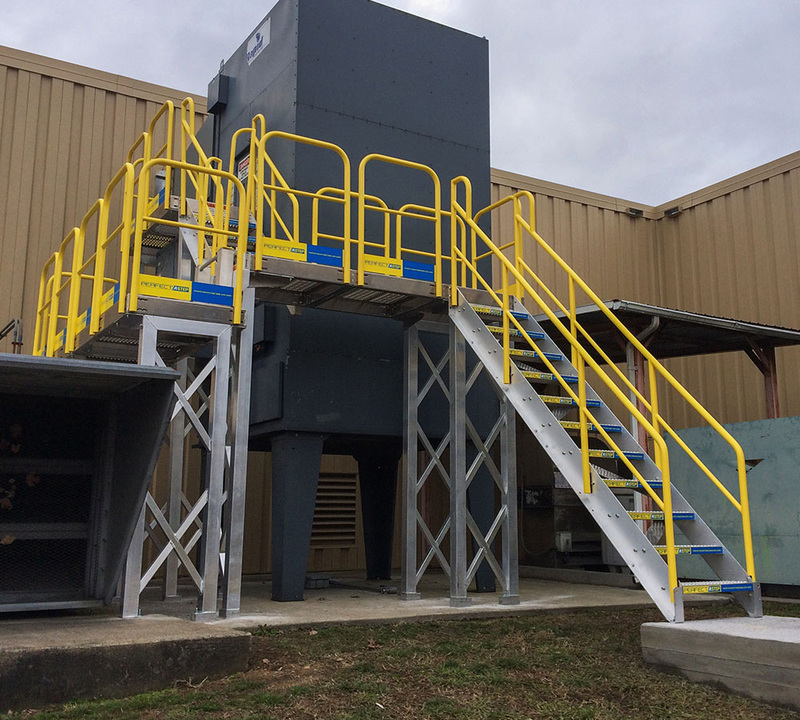 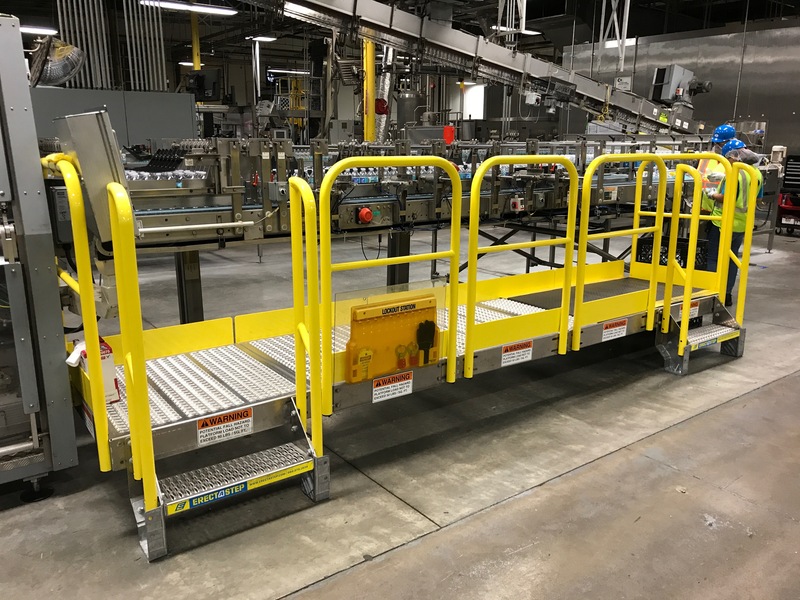 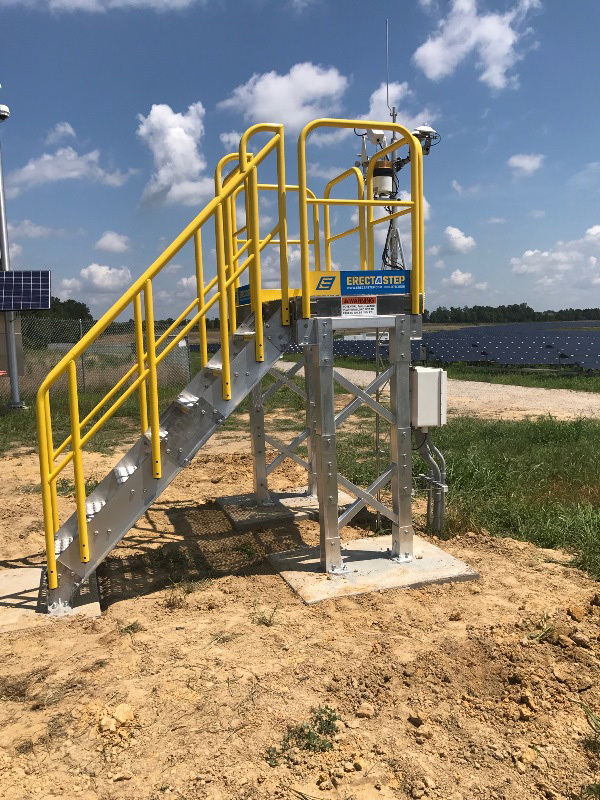 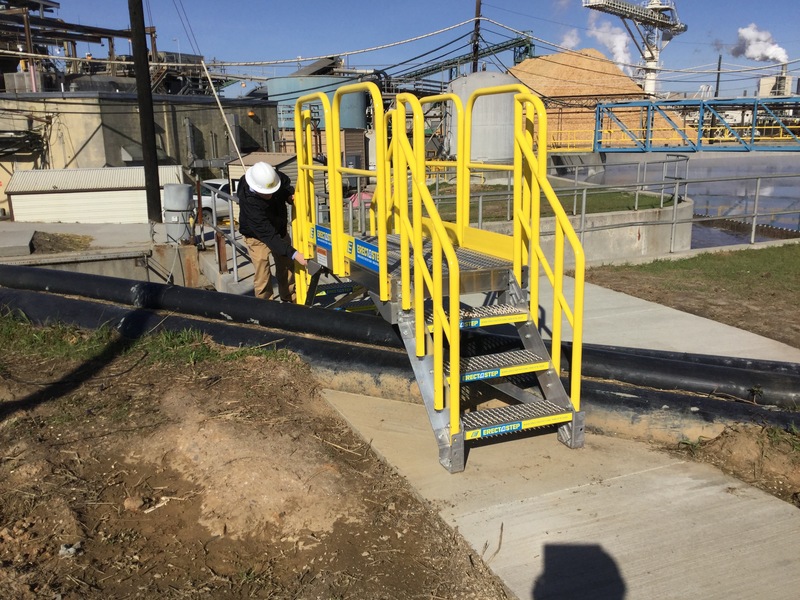 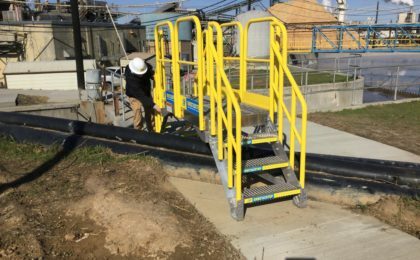 Constructed from durable aluminum, our step-up platform stairs gives your workers a safe and open workspace. 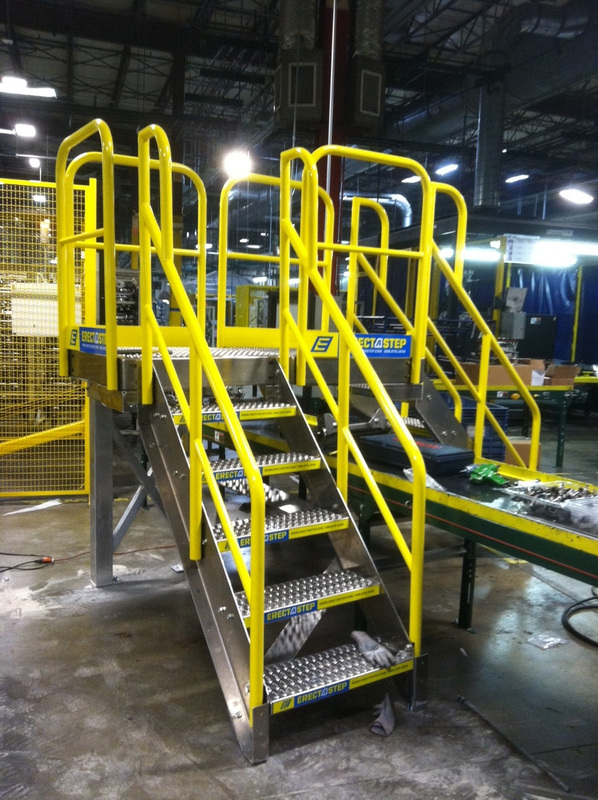 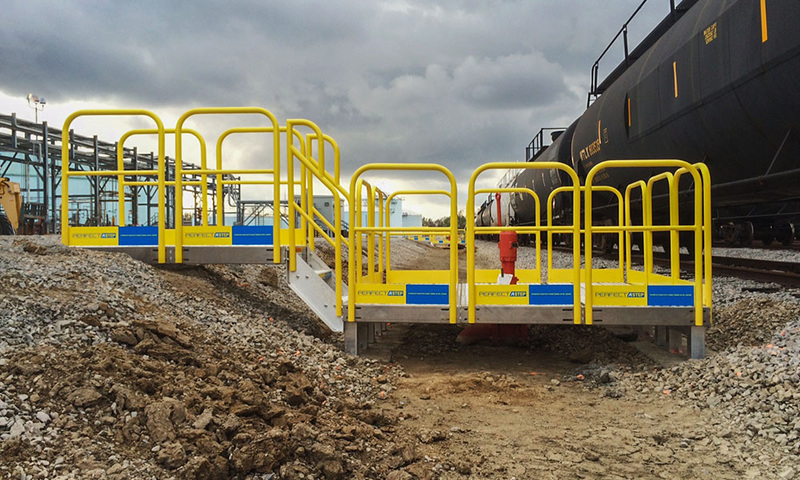 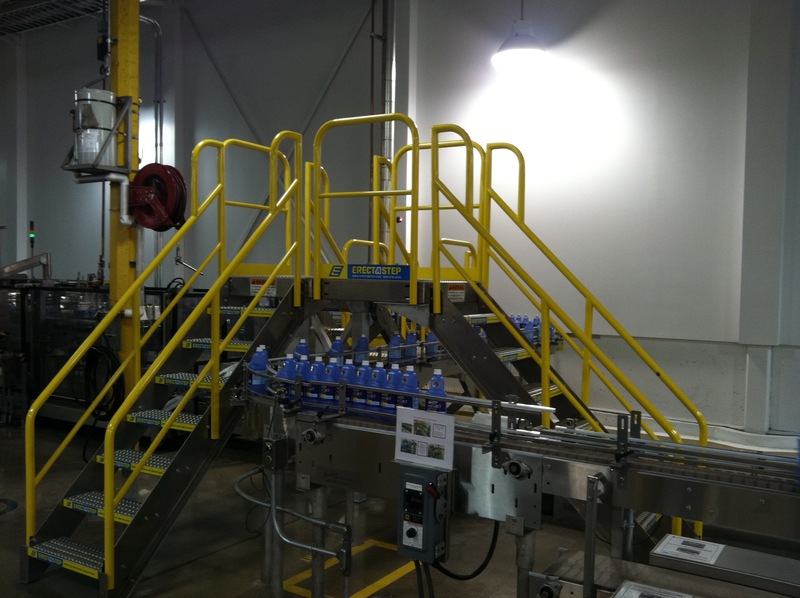 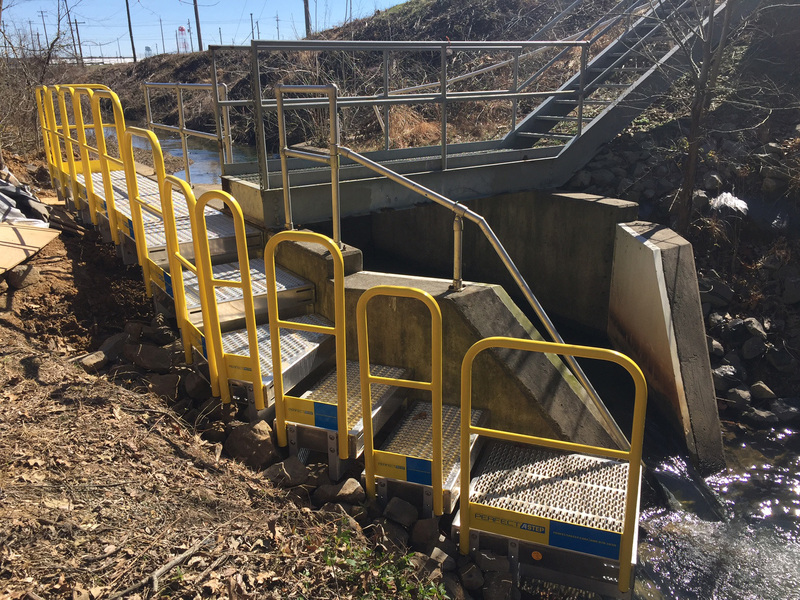 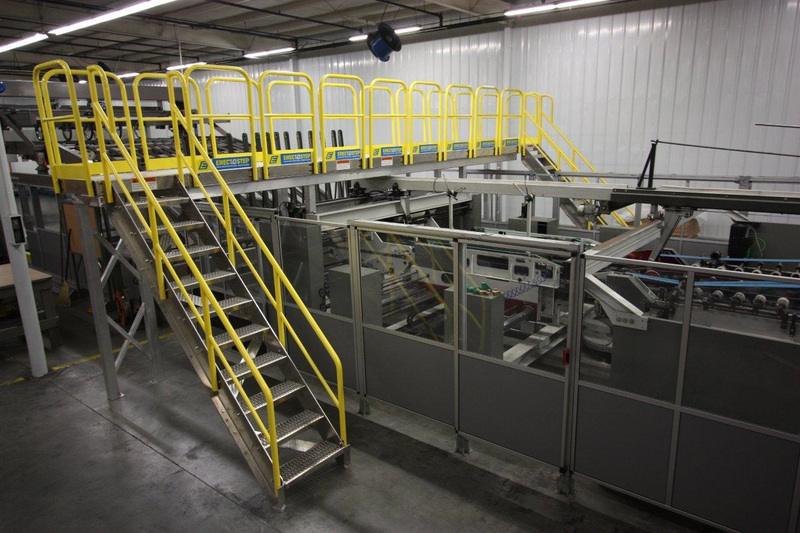 6x Handrails: Each has universal nut-plate inserts, and is prefabricated to fit a 36″ side of our modular platform. 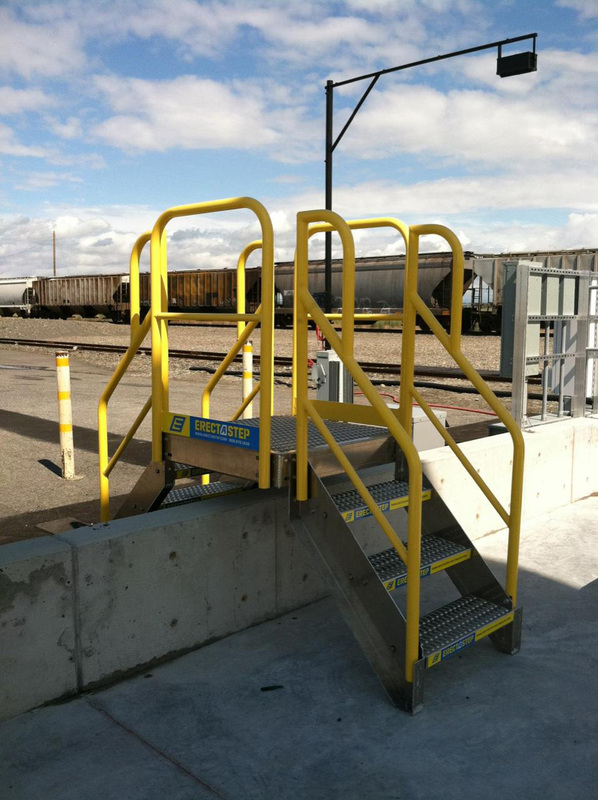 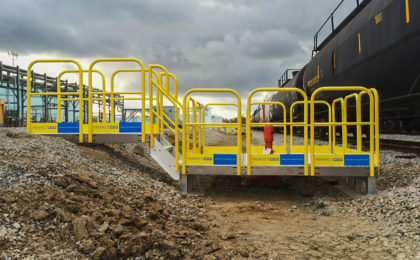 The pipe construction handrails are powder coated and made from aluminum. 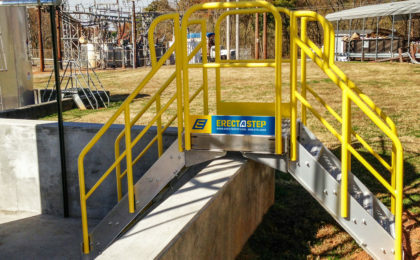 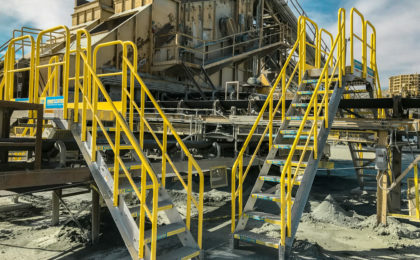 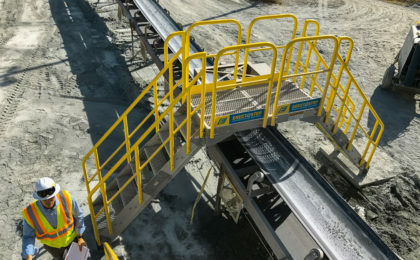 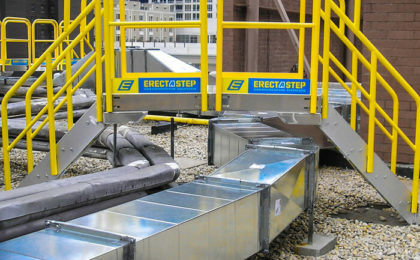 2x Metal Stairs (6-step): 6-Step stairs are designed to be connected together. 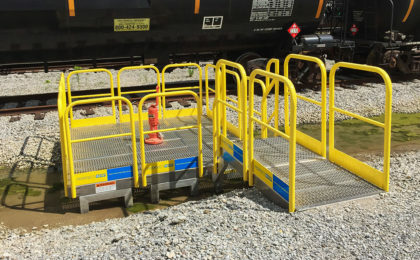 Units have a platform surface of 63″, and platform clearance at 57″. 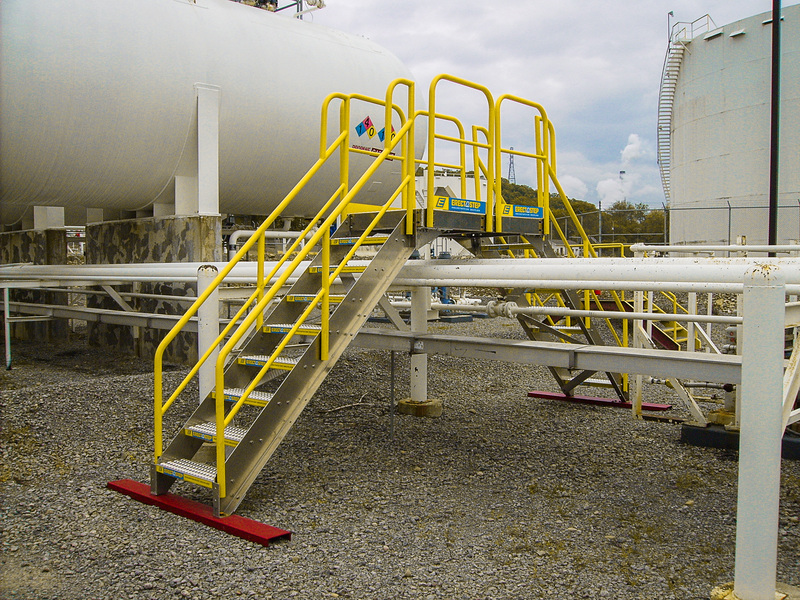 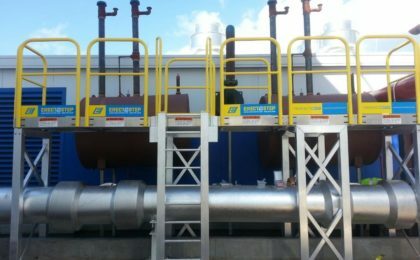 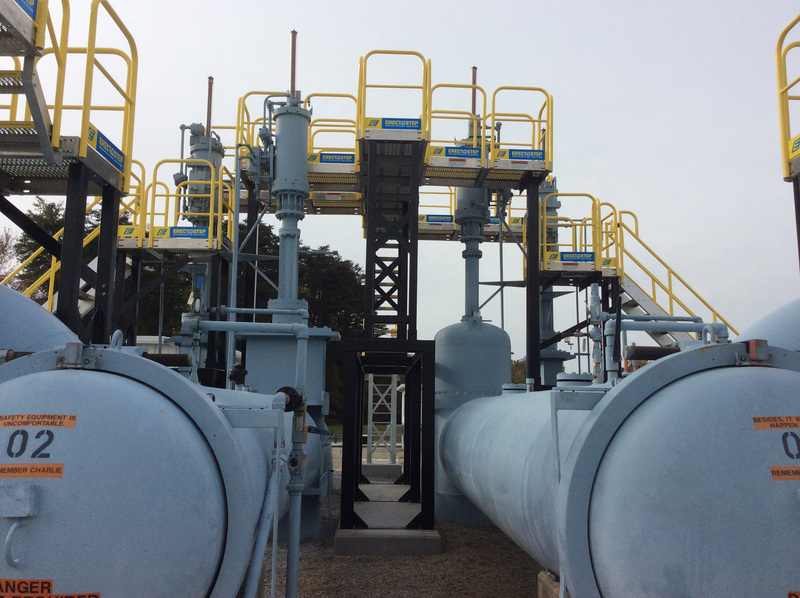 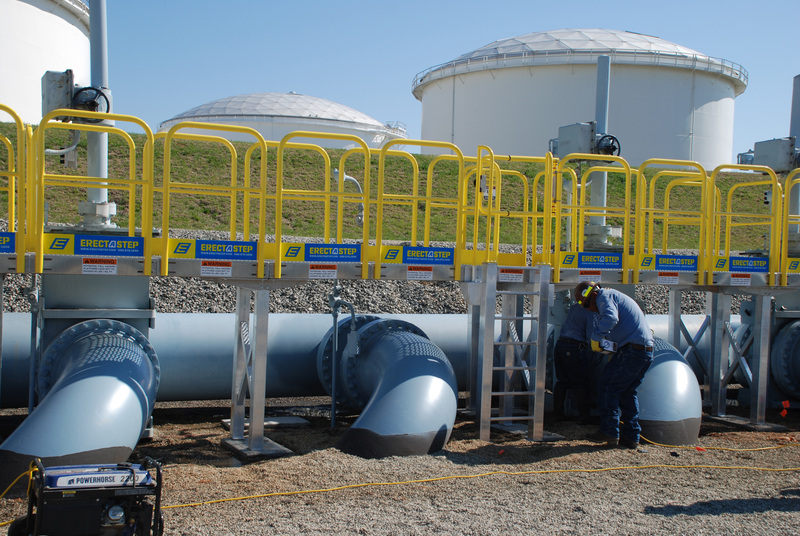 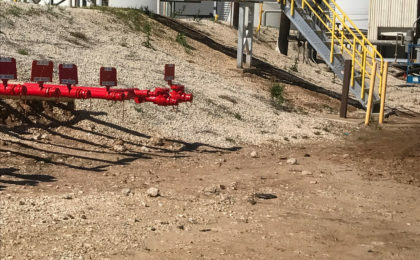 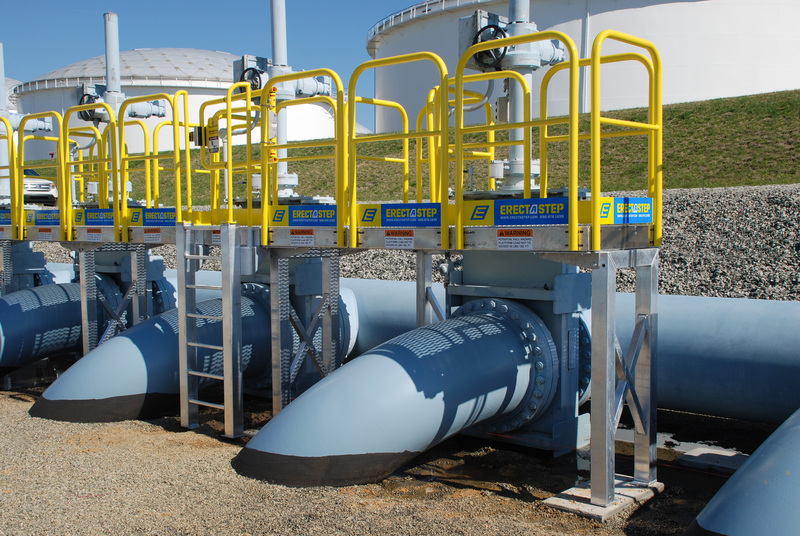 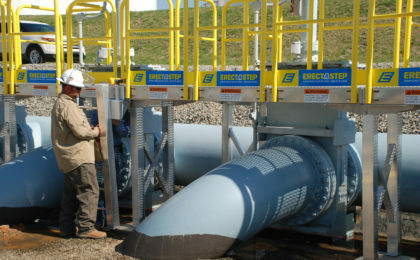 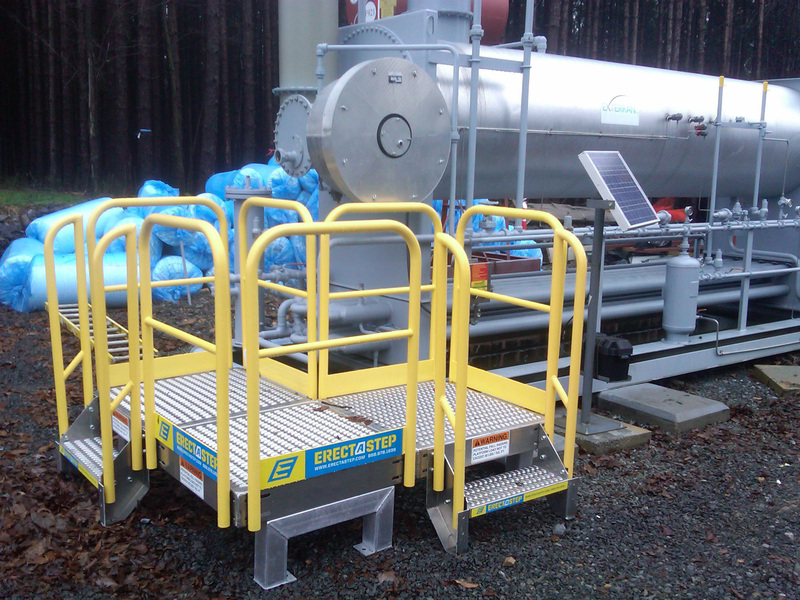 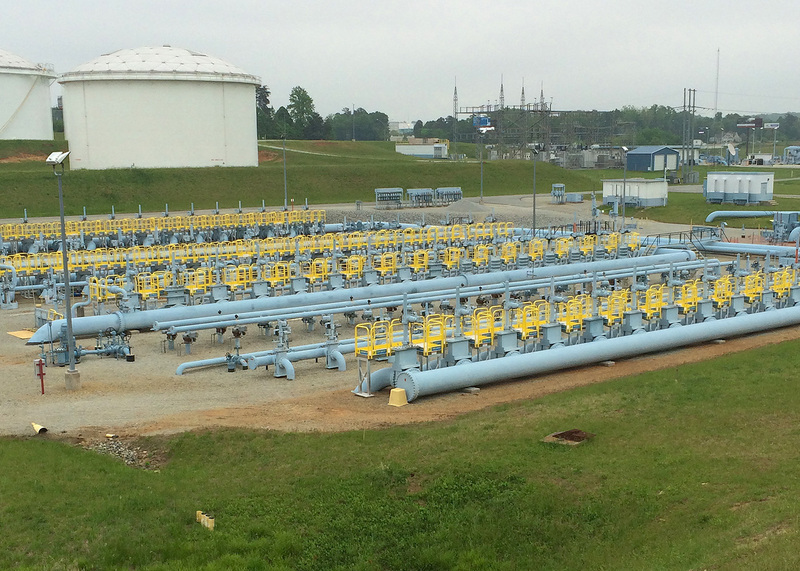 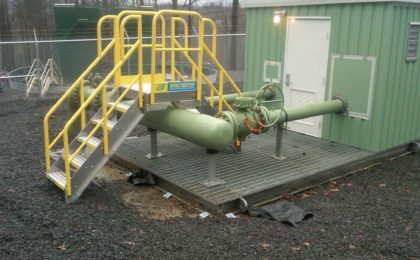 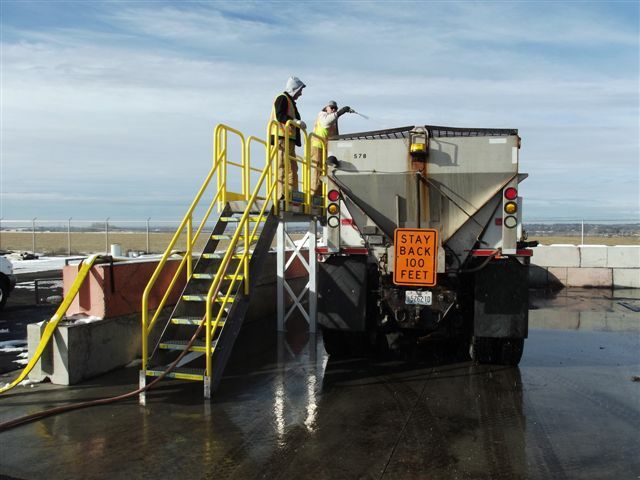 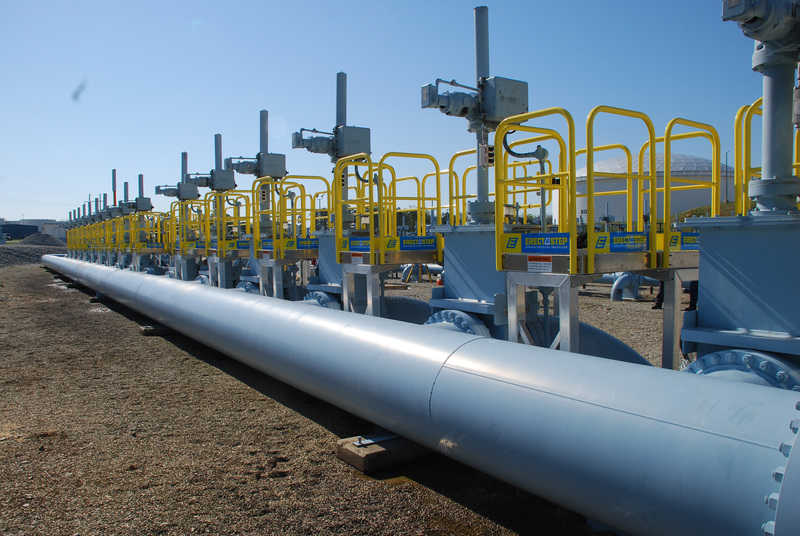 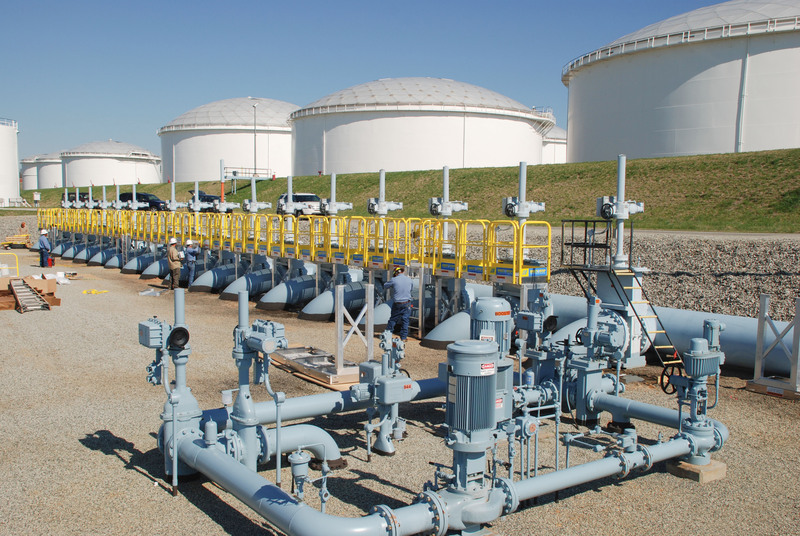 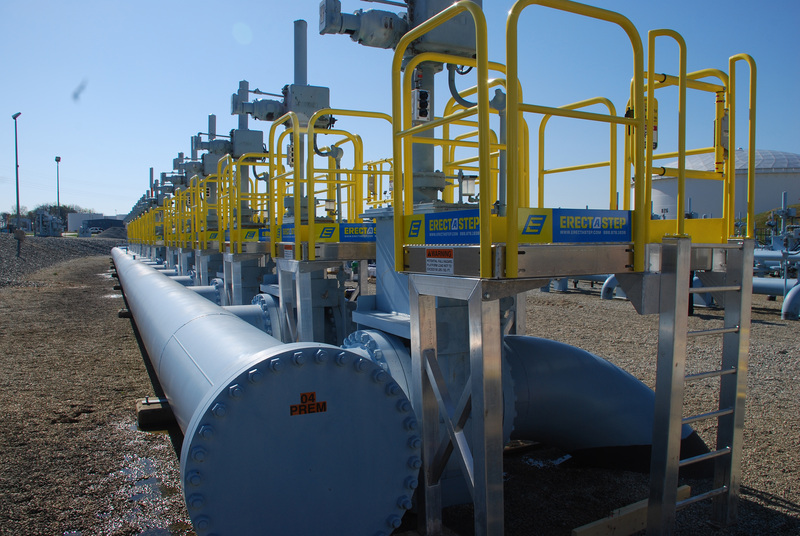 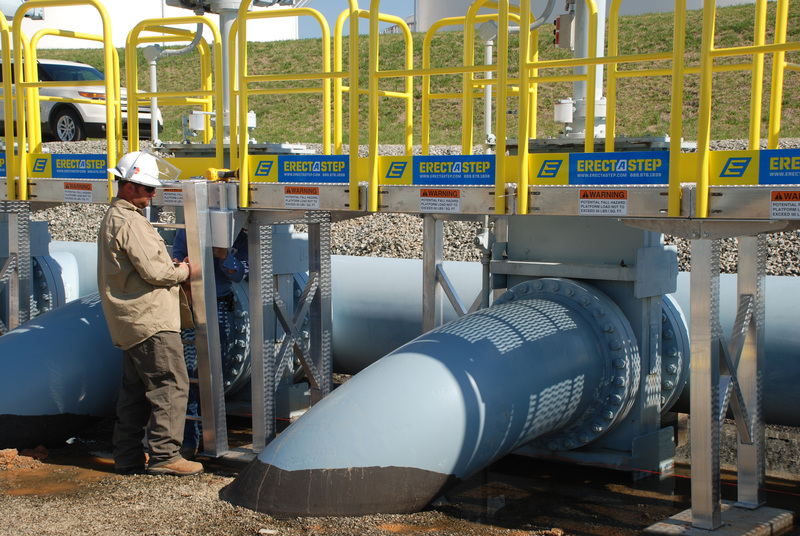 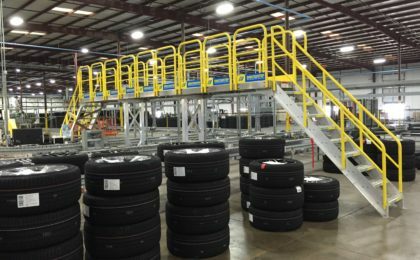 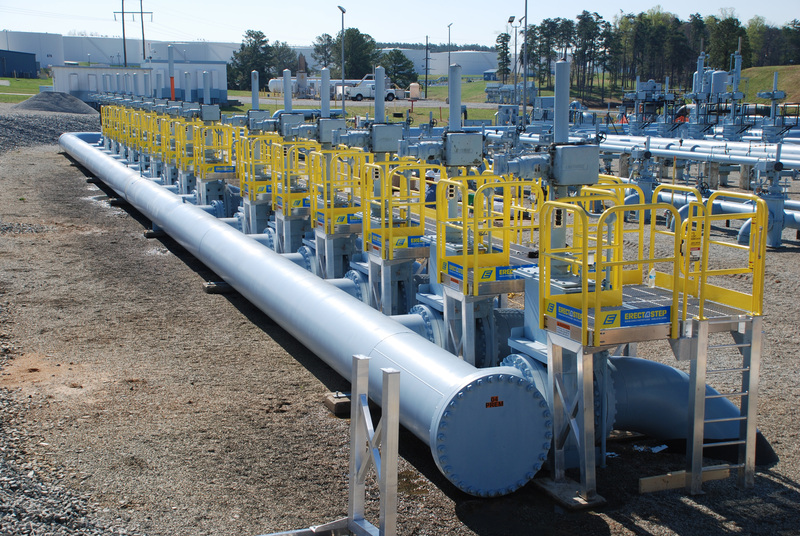 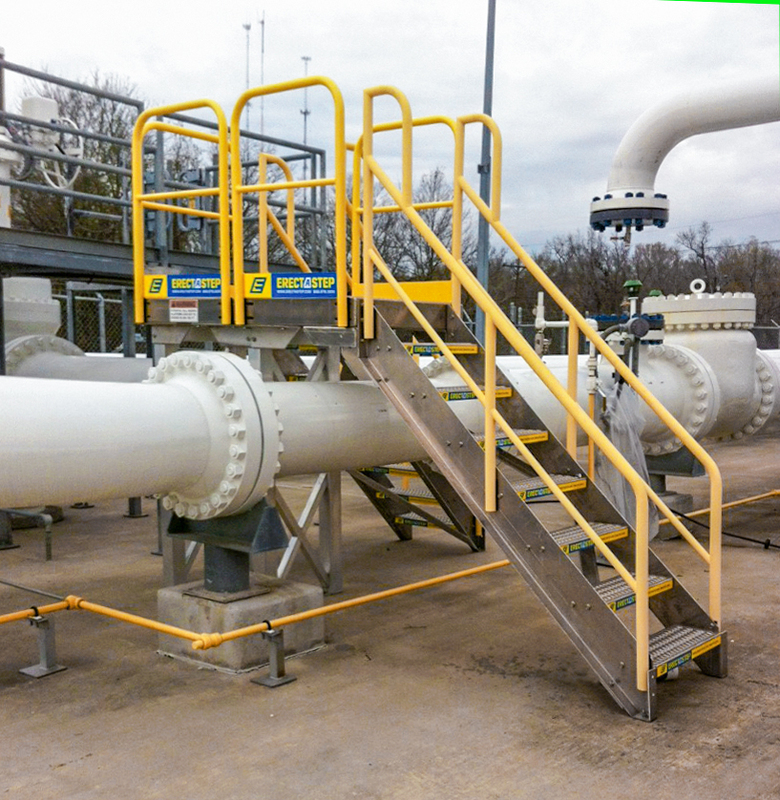 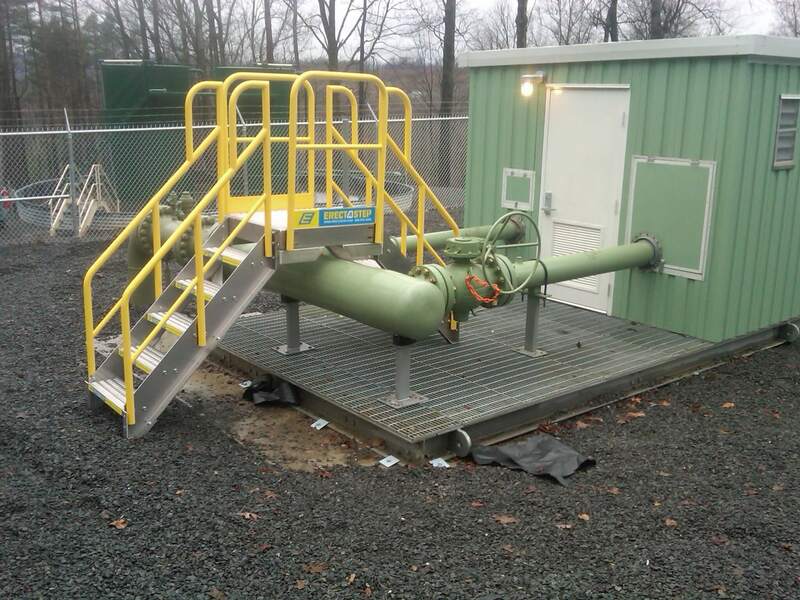 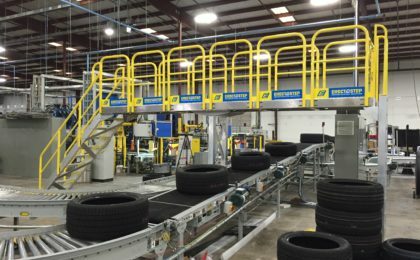 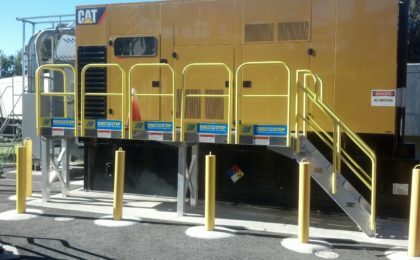 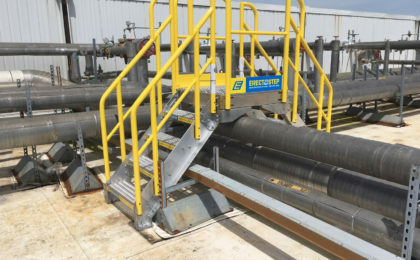 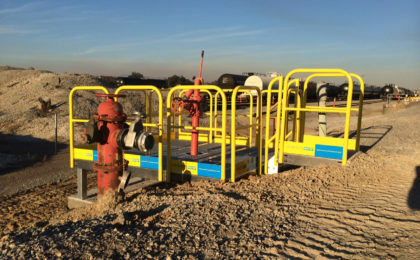 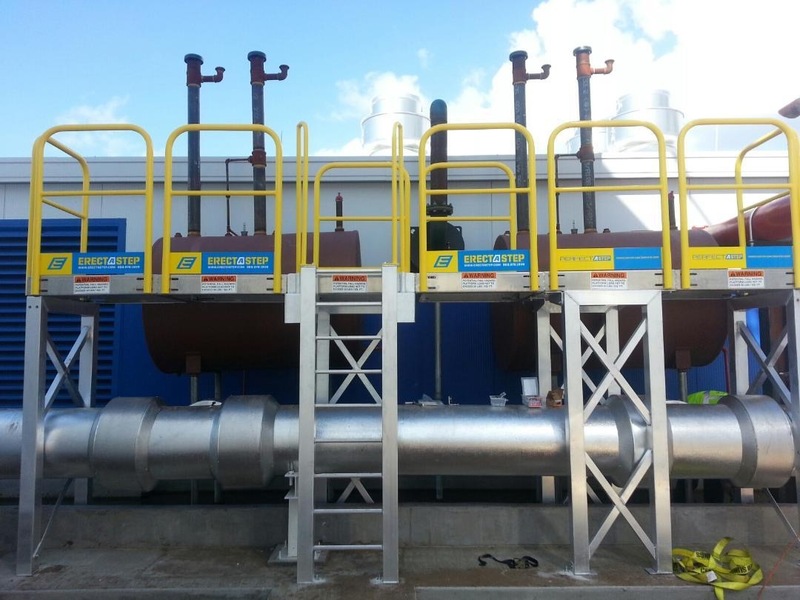 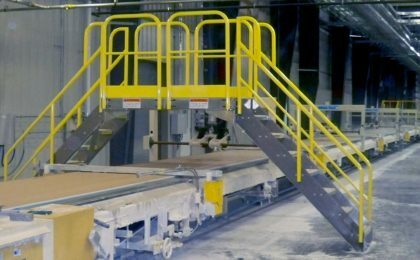 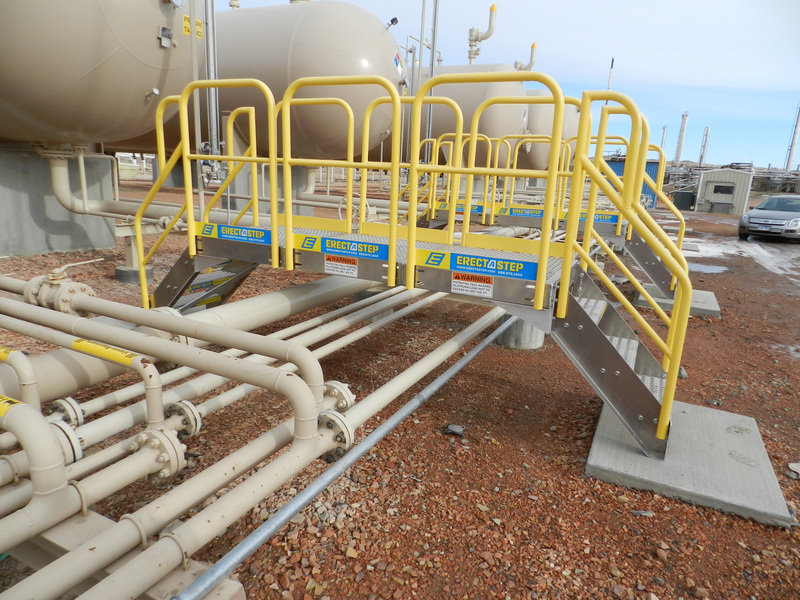 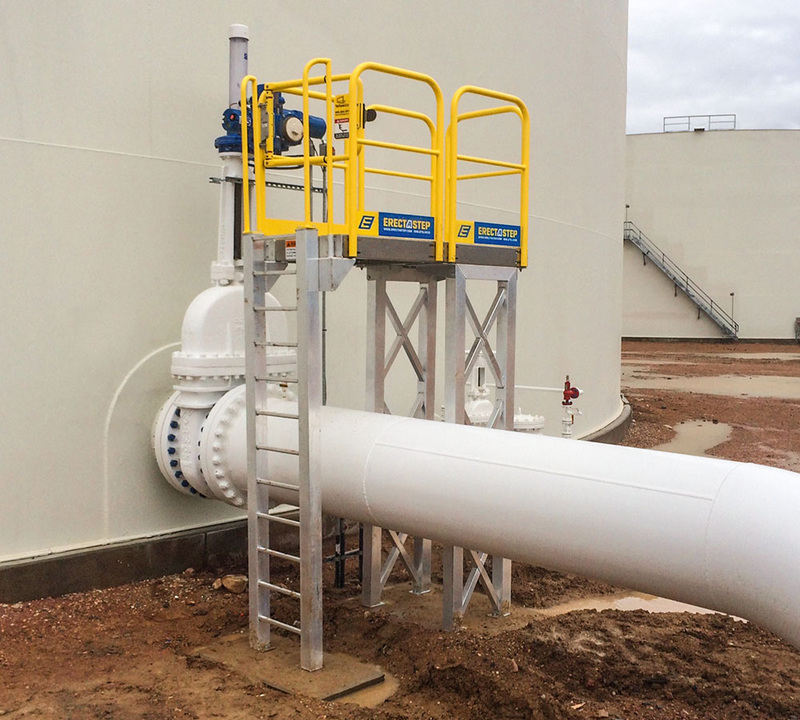 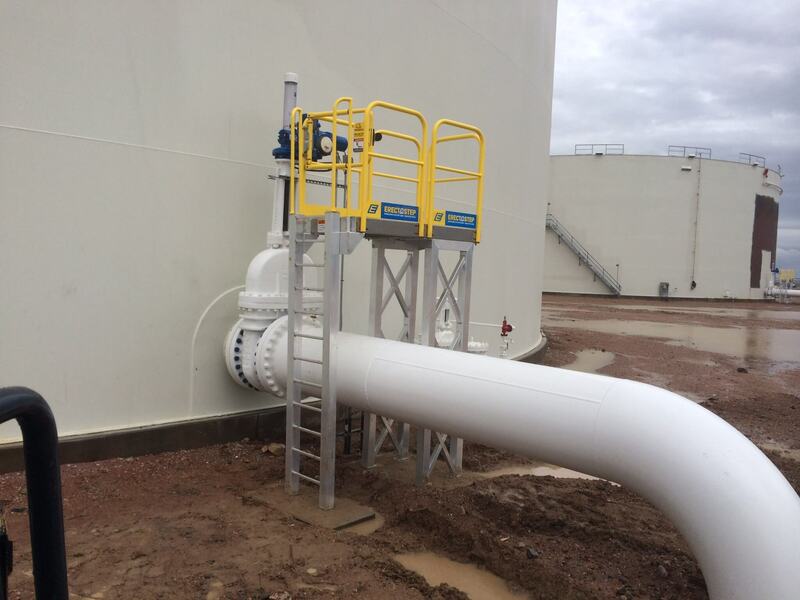 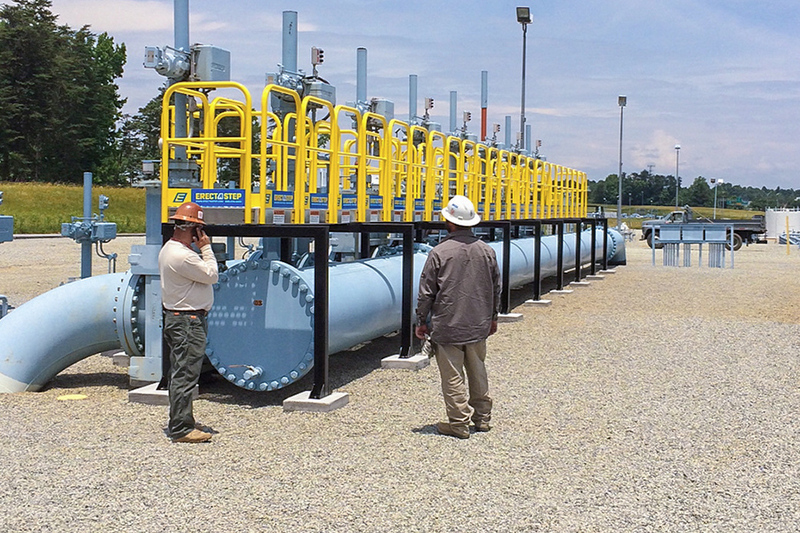 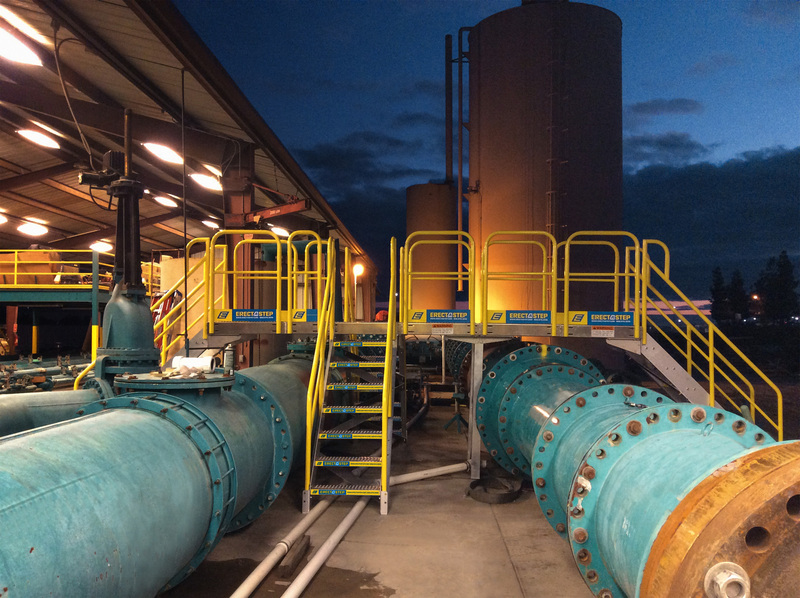 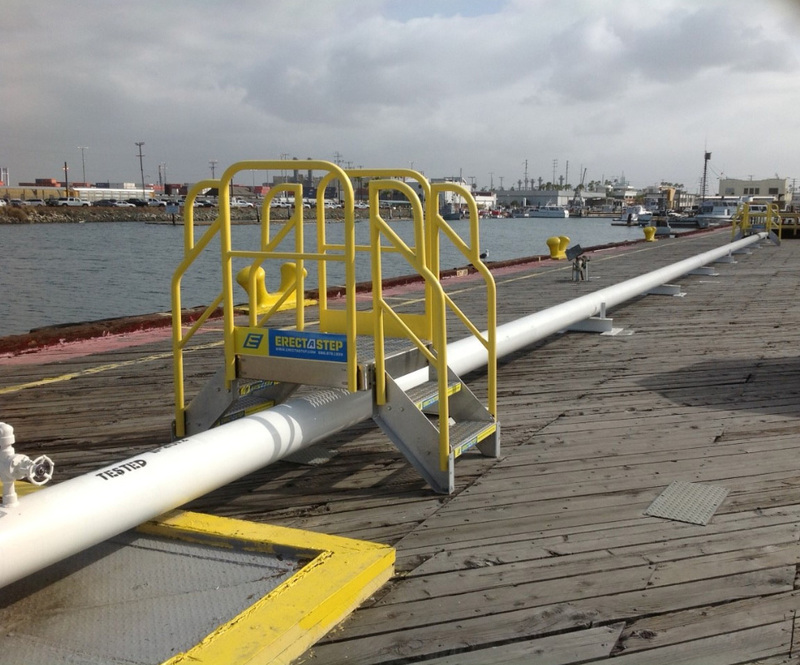 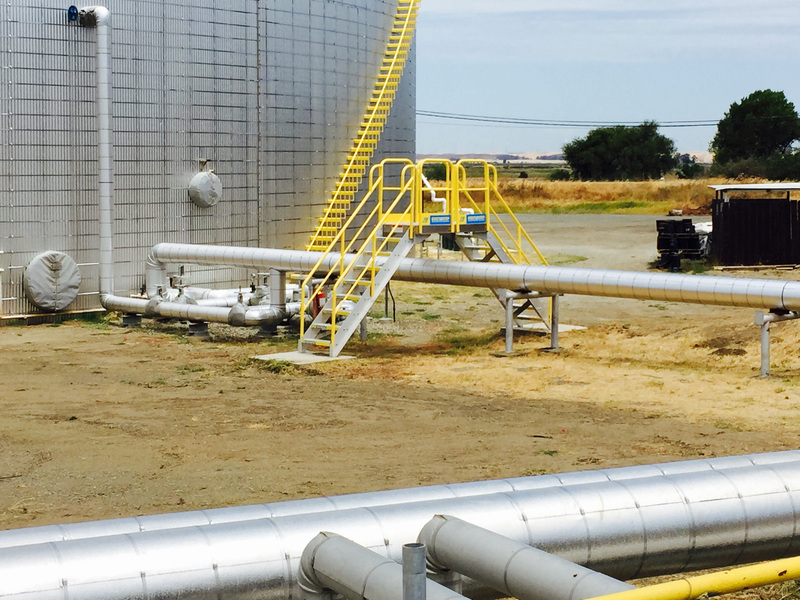 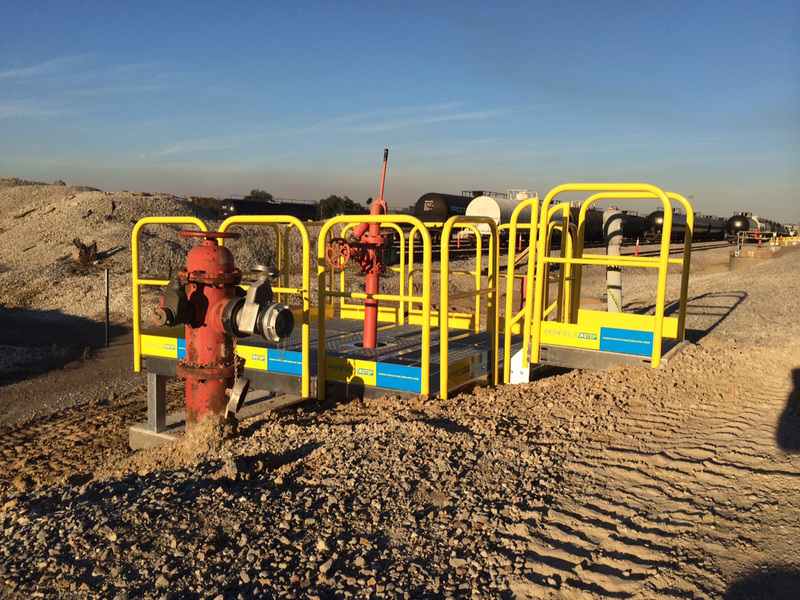 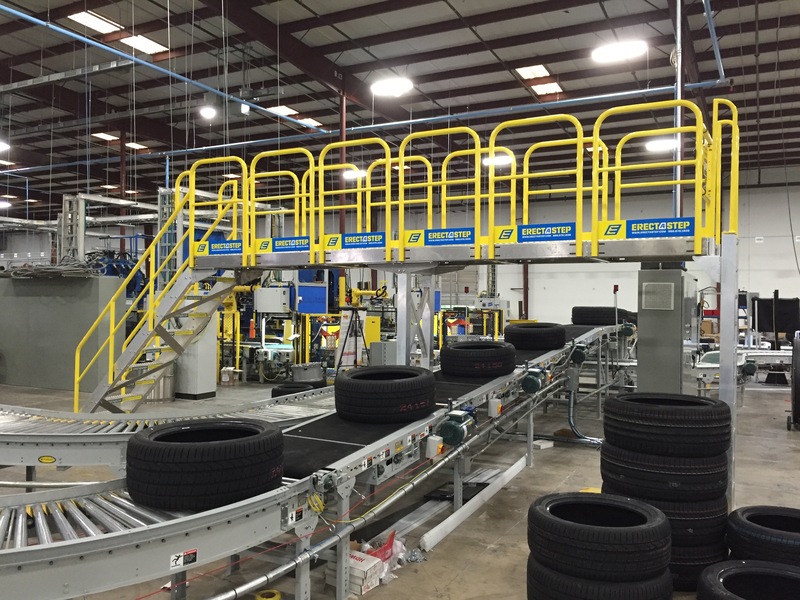 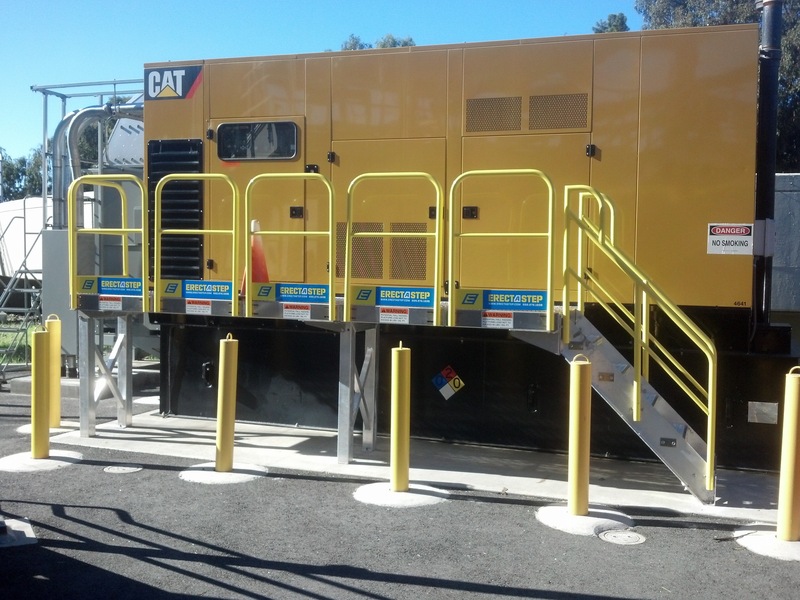 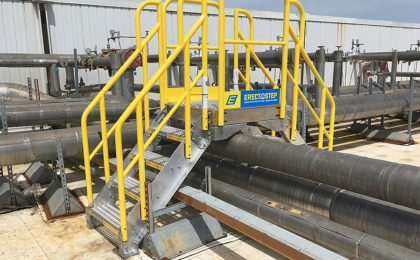 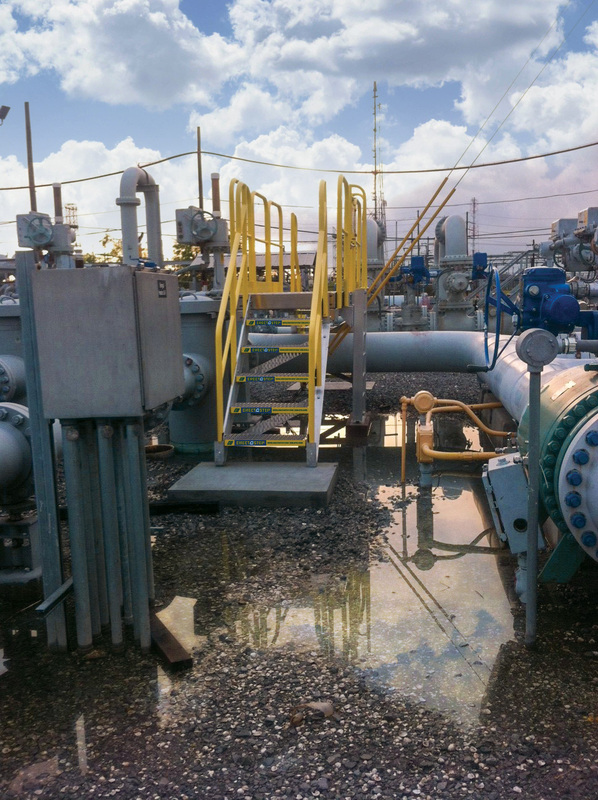 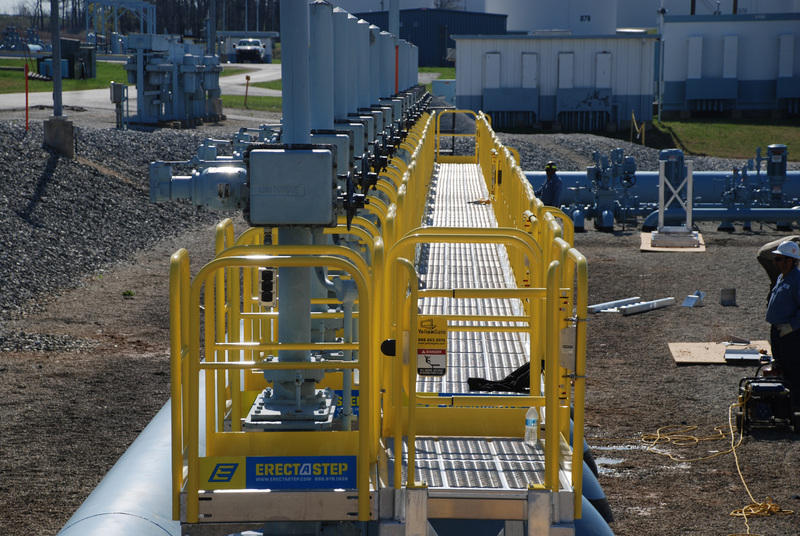 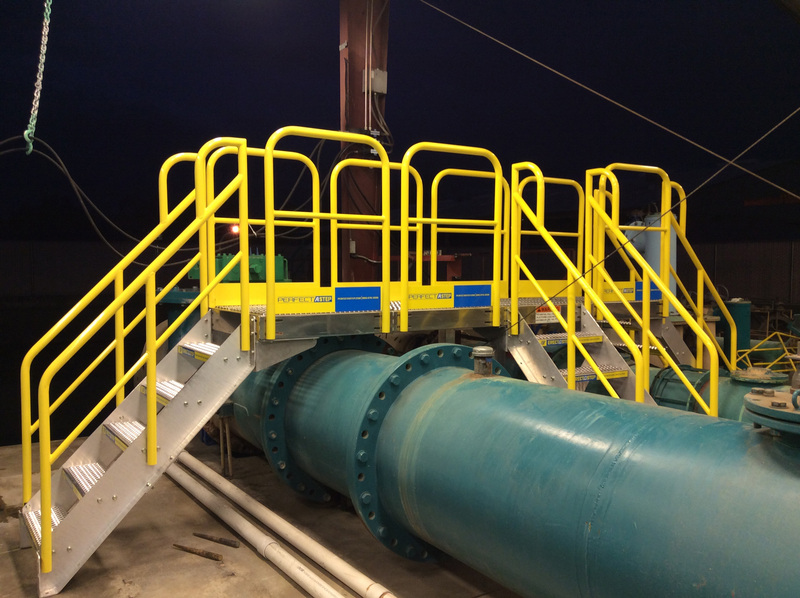 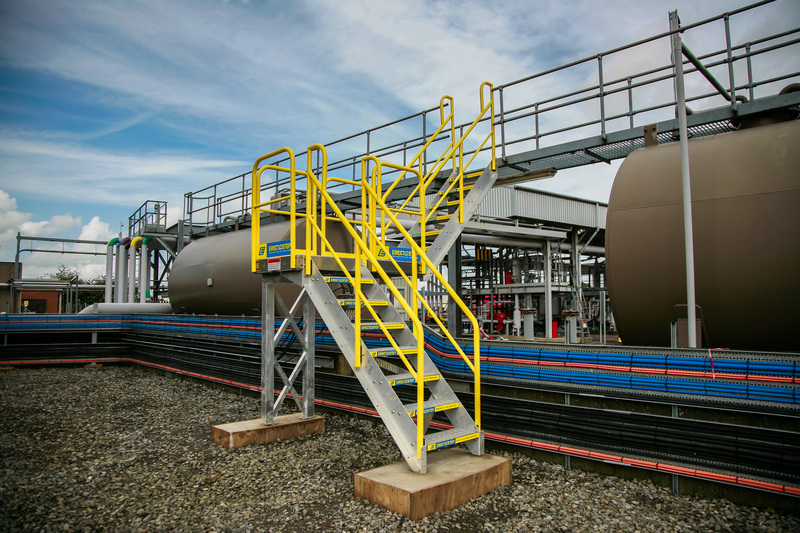 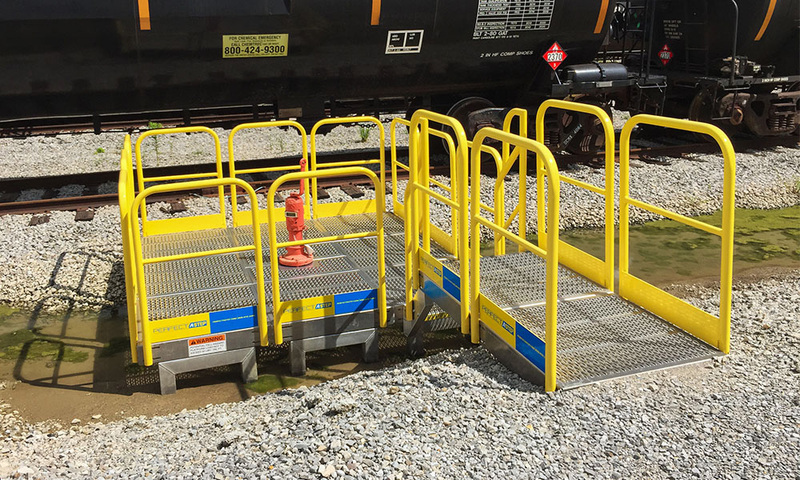 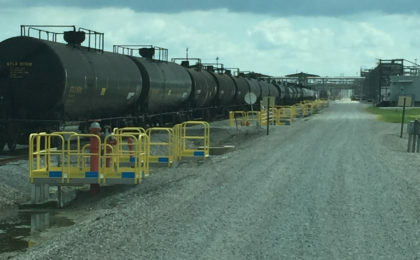 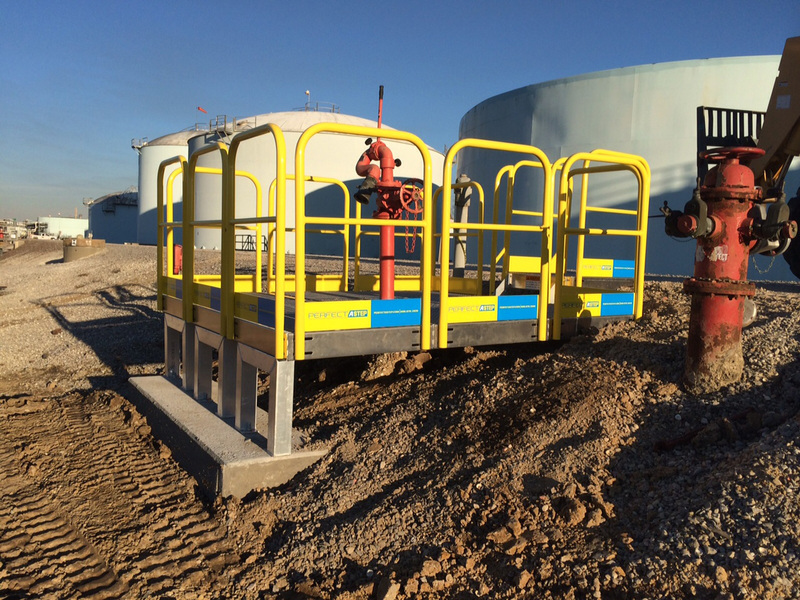 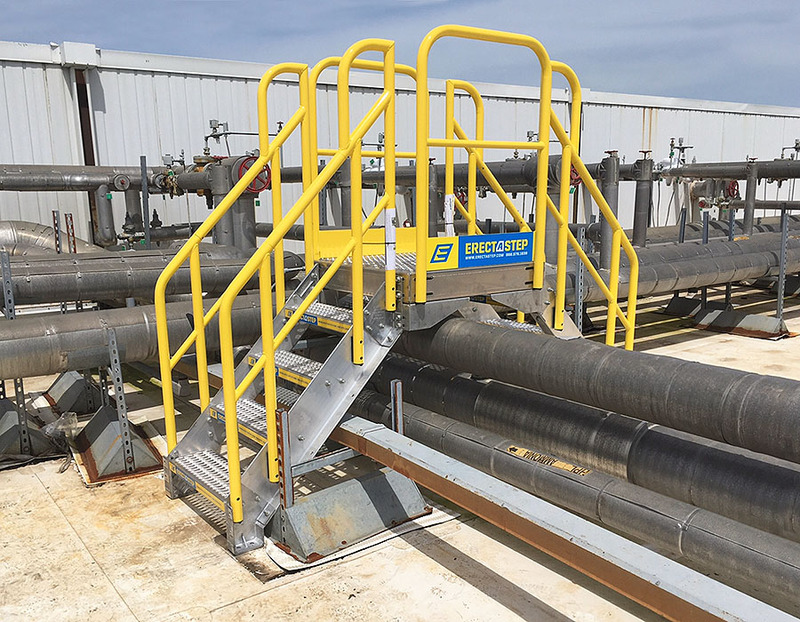 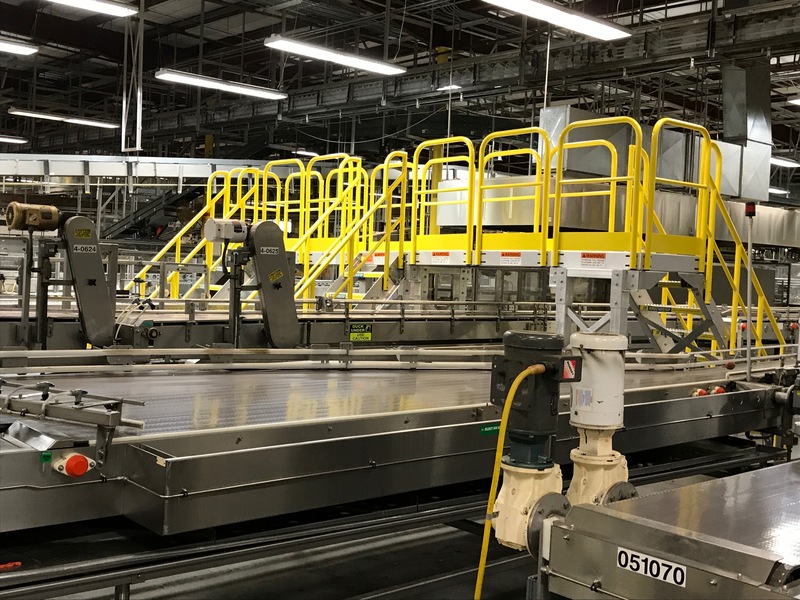 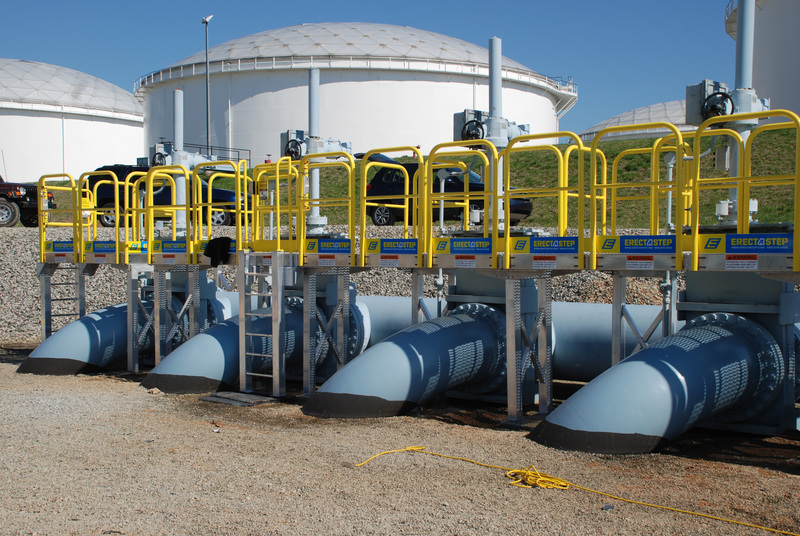 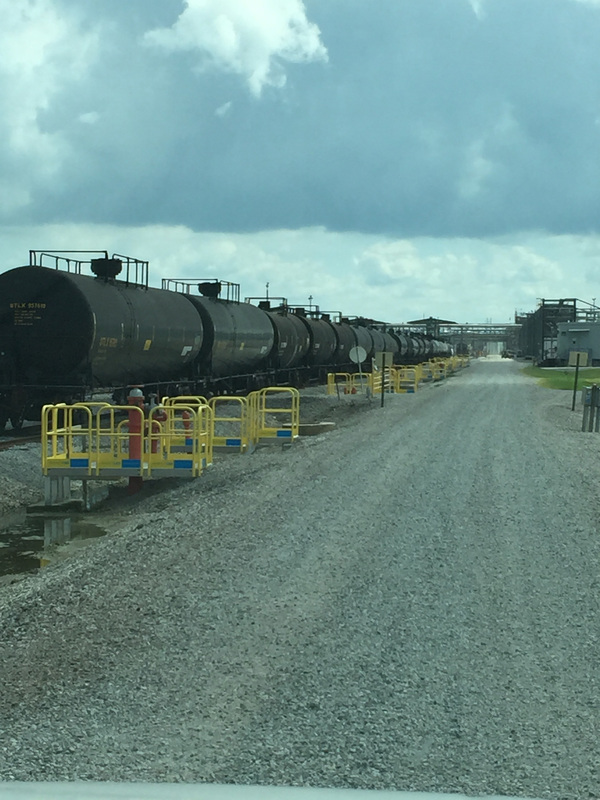 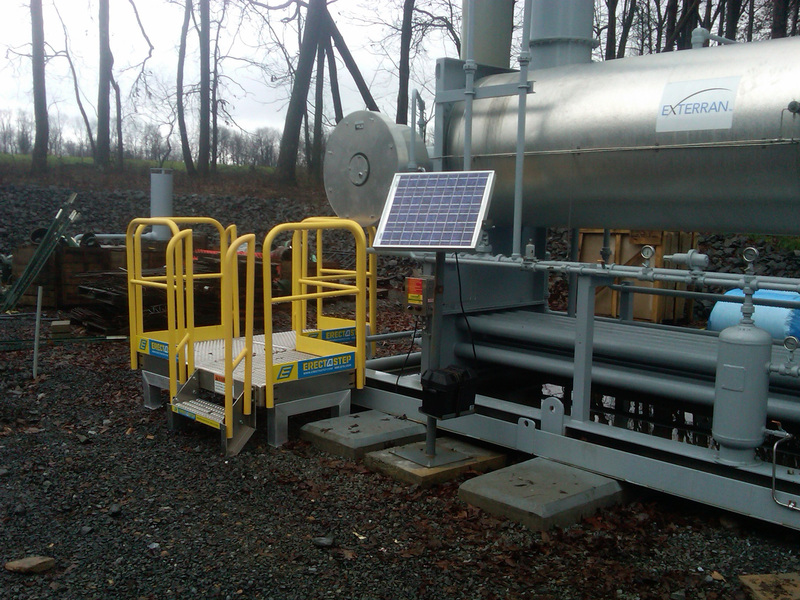 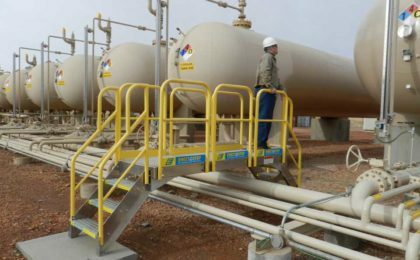 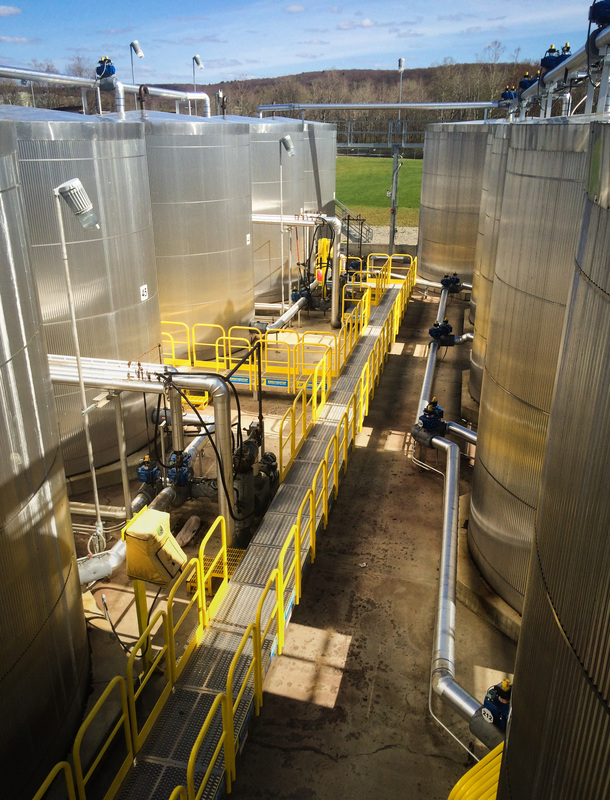 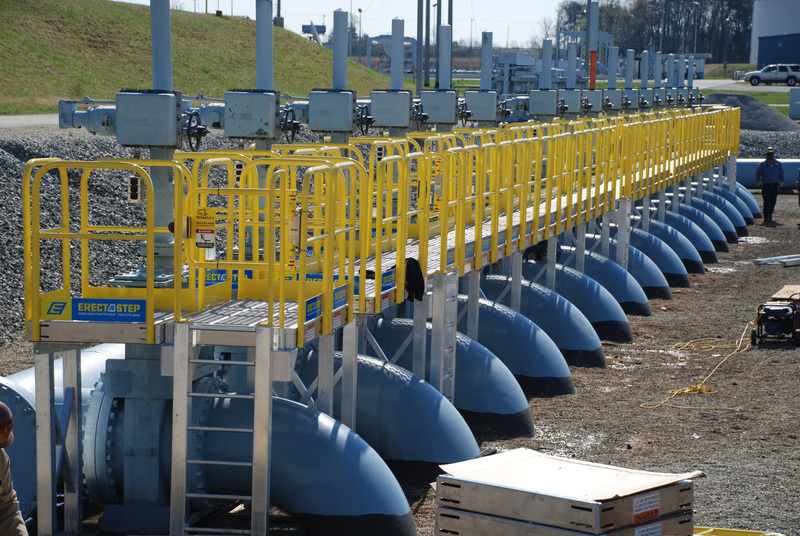 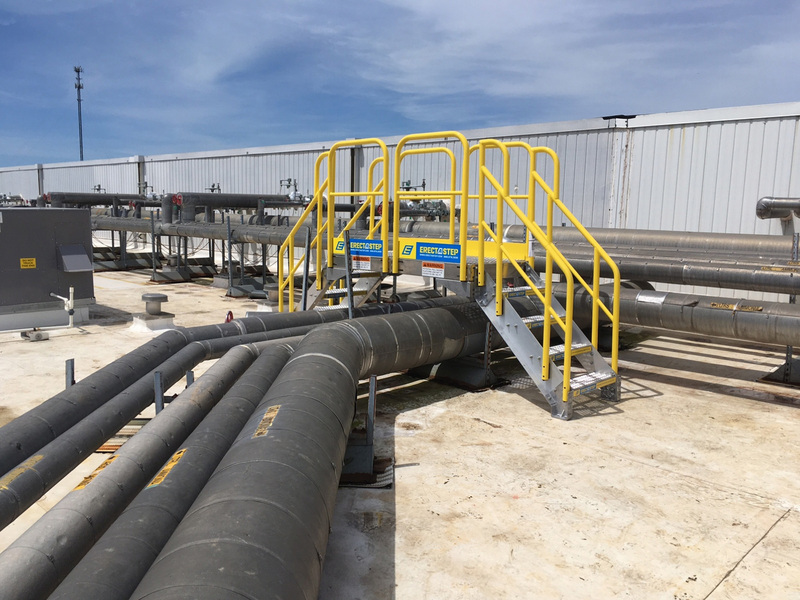 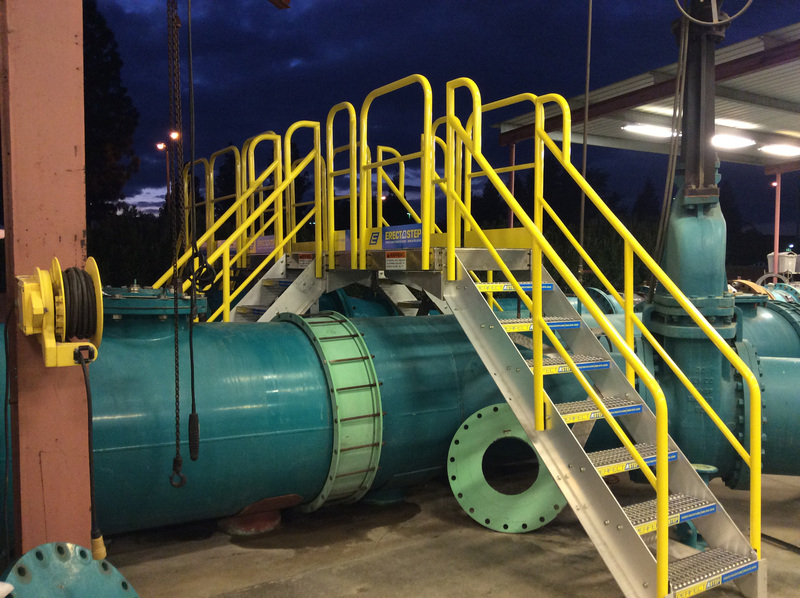 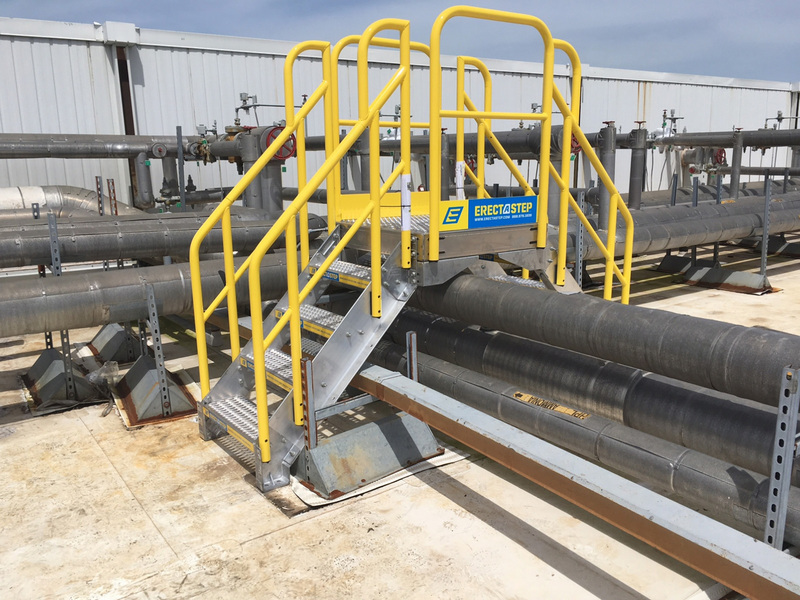 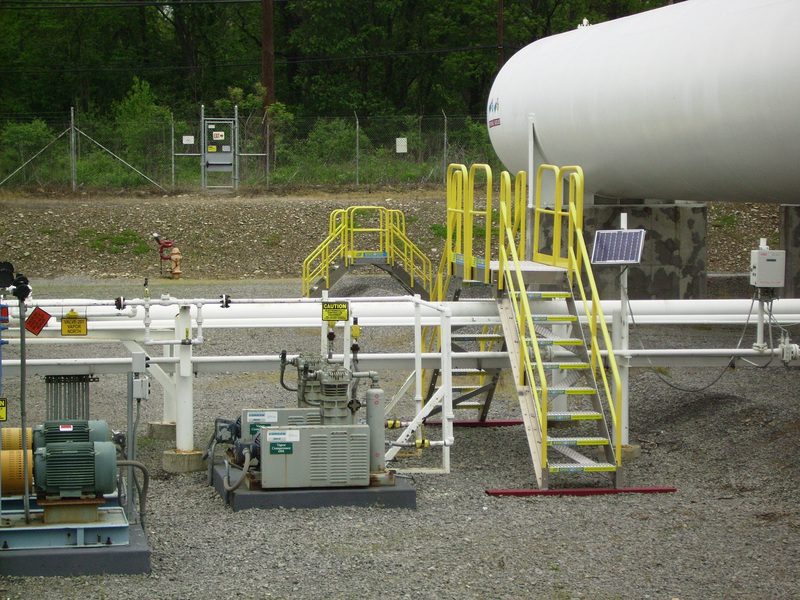 26″ stamped positive-traction surfaces are prefabricated to fit any side of our platforms. 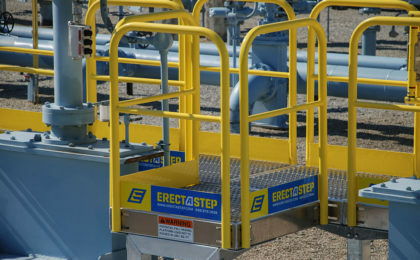 4x Tower Support (6-step): 6-Step tower units can be connected together. 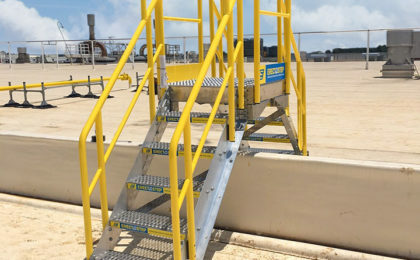 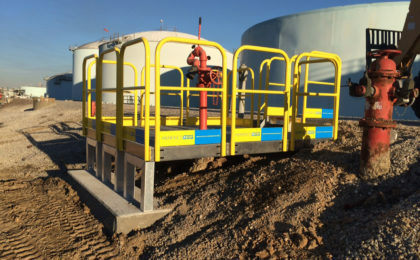 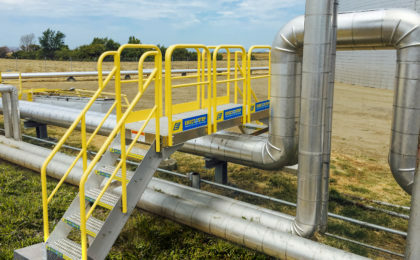 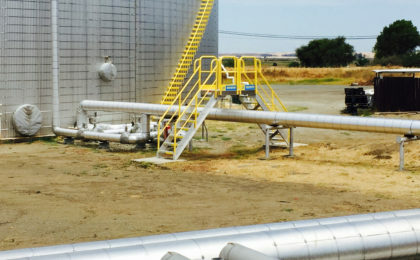 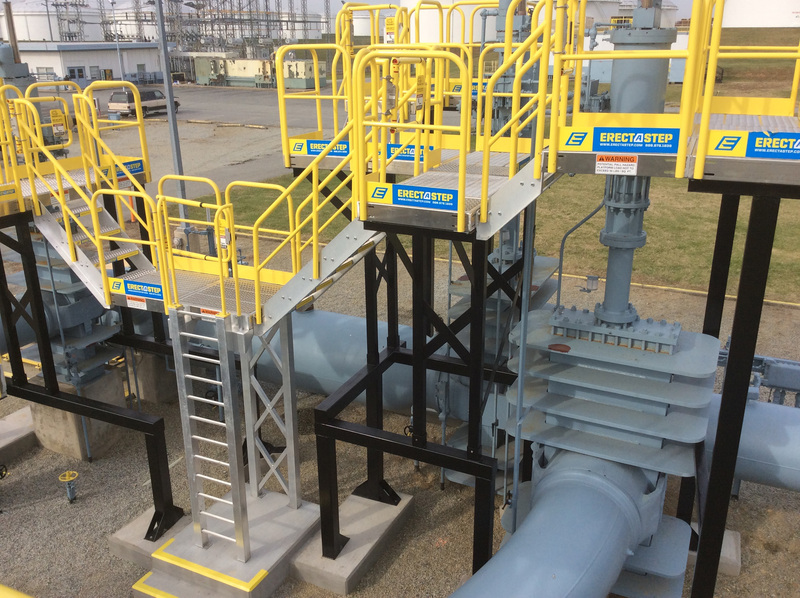 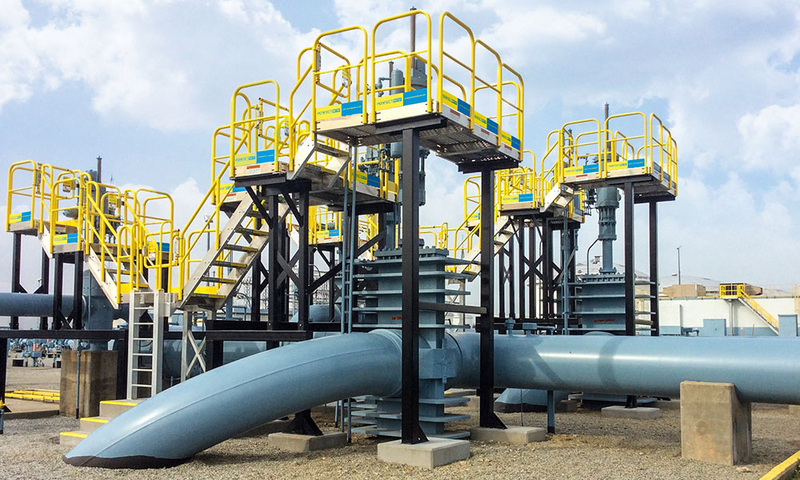 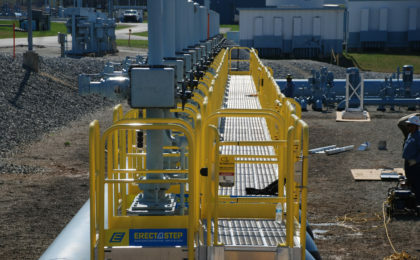 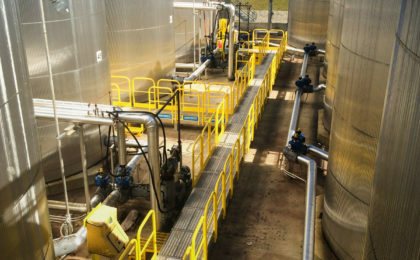 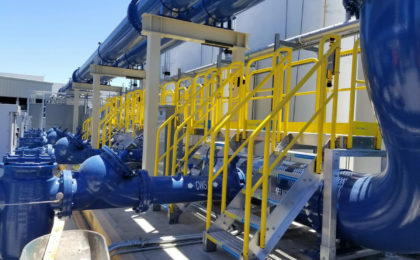 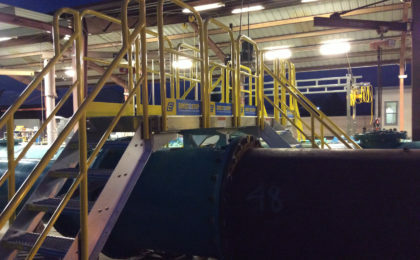 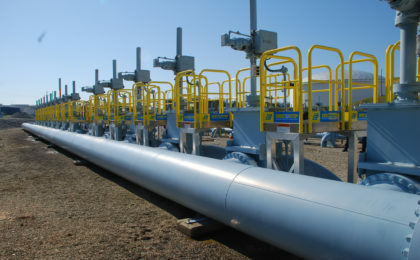 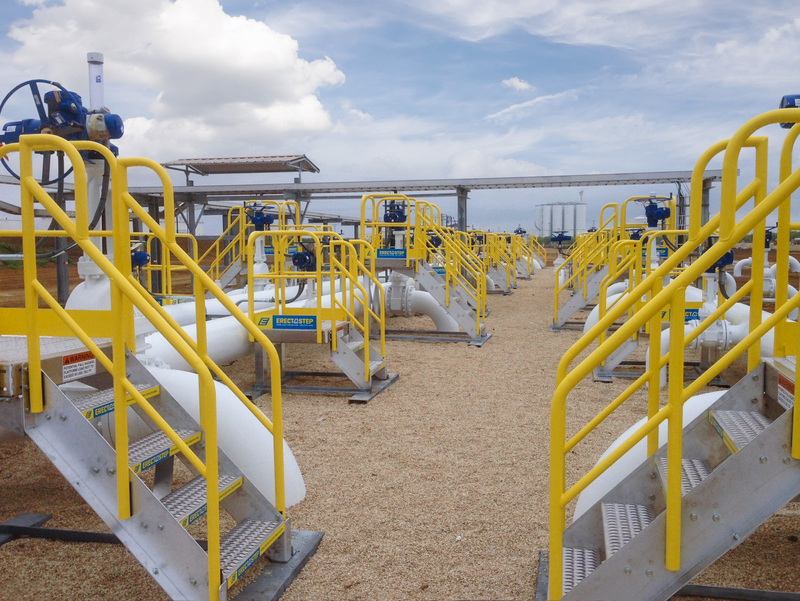 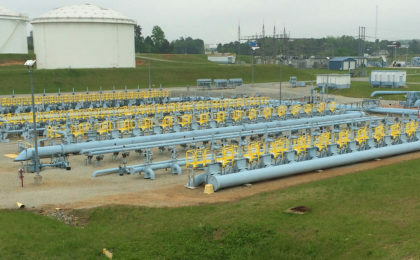 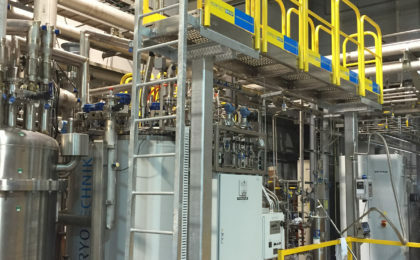 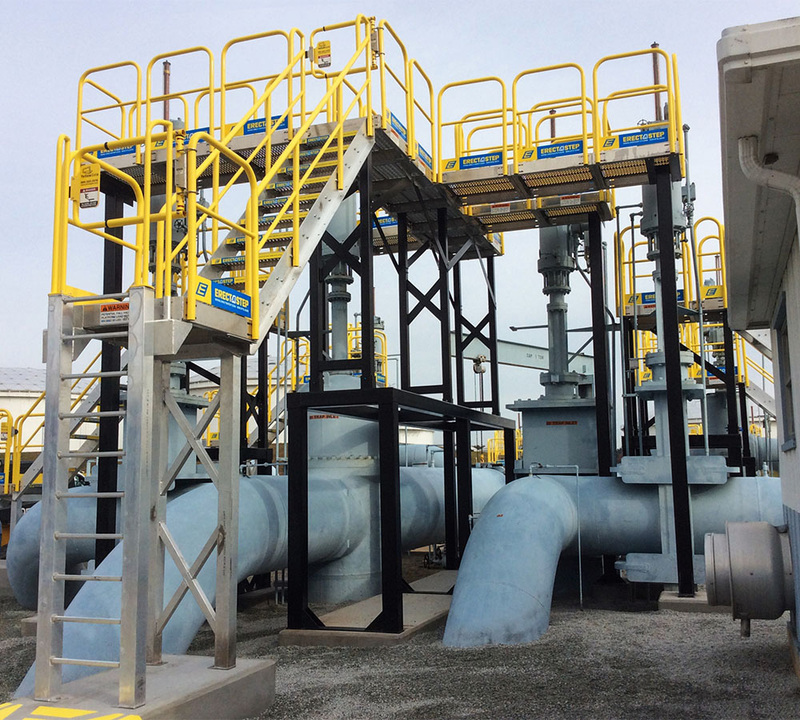 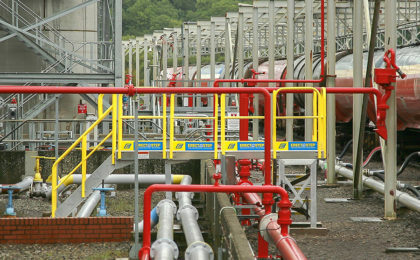 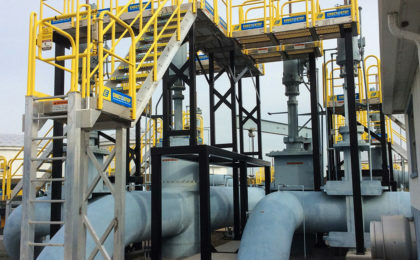 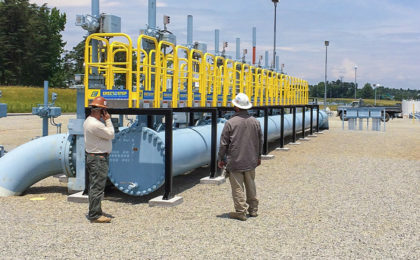 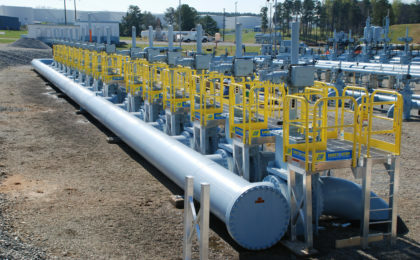 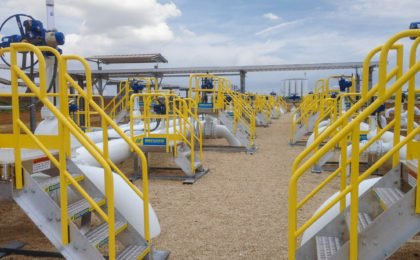 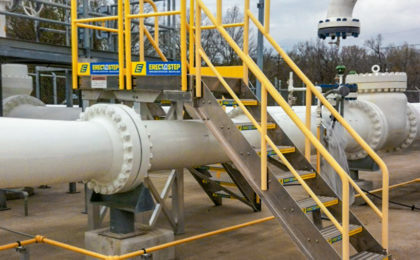 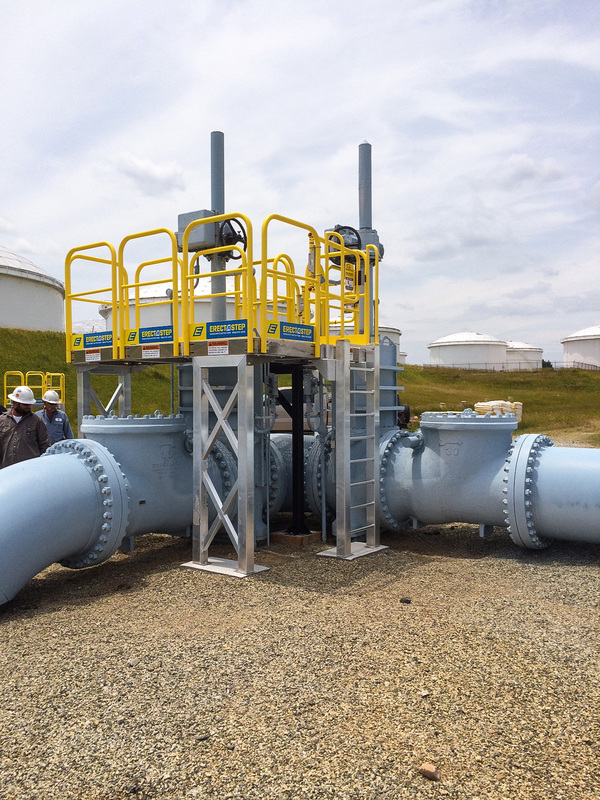 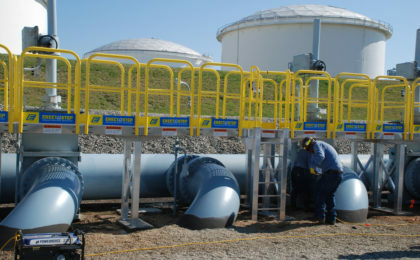 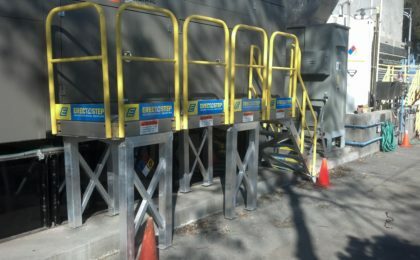 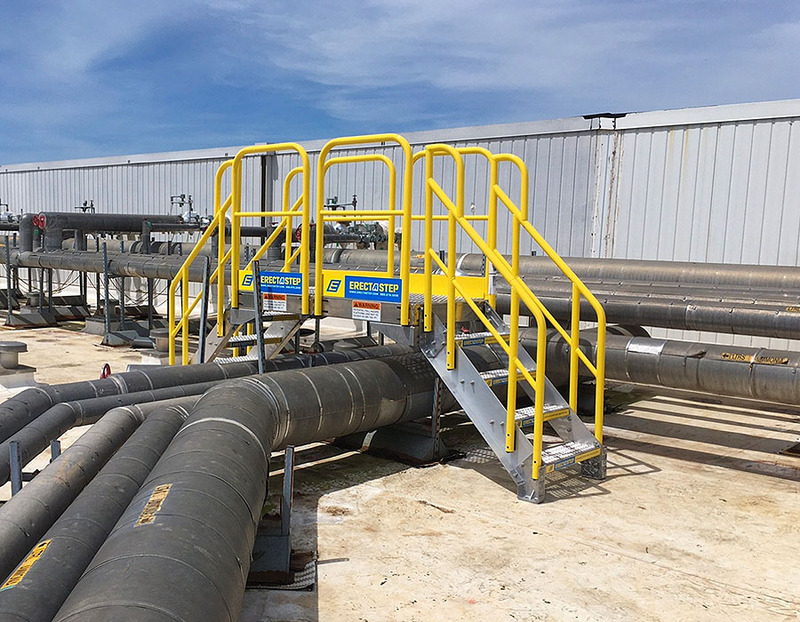 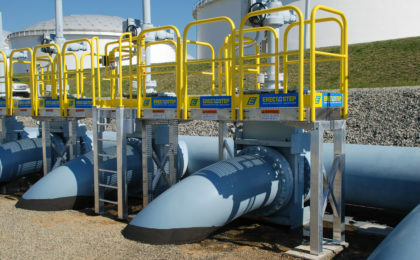 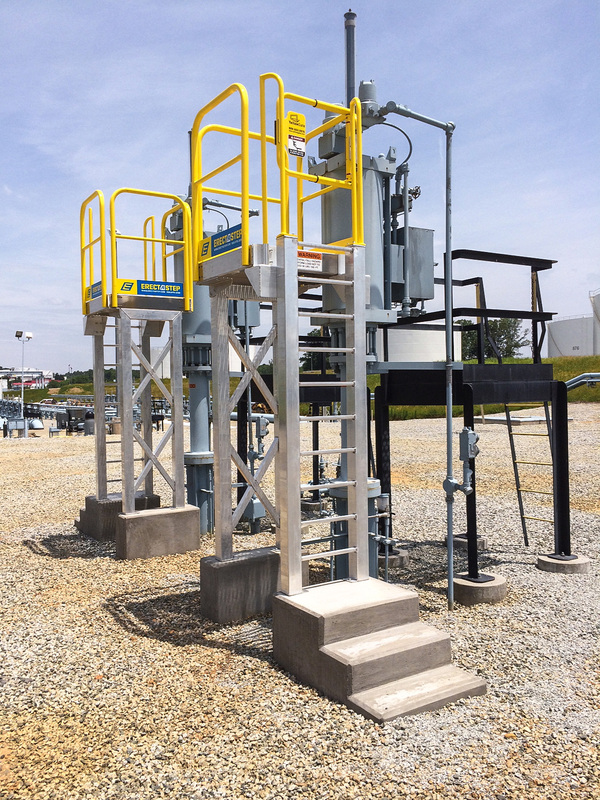 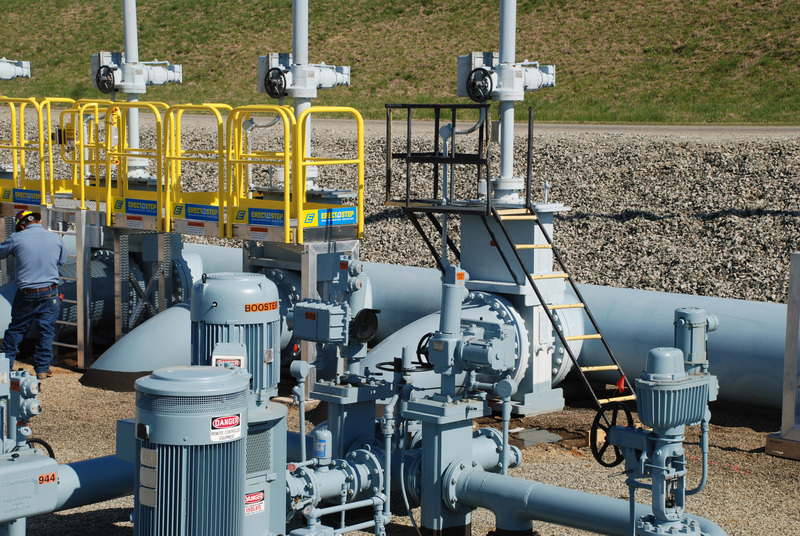 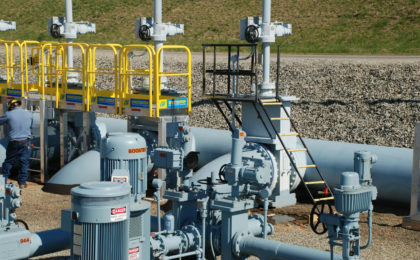 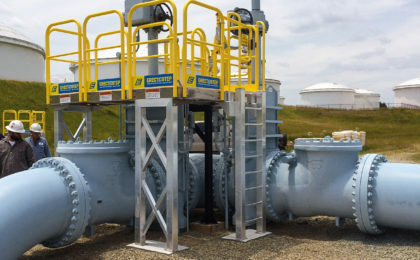 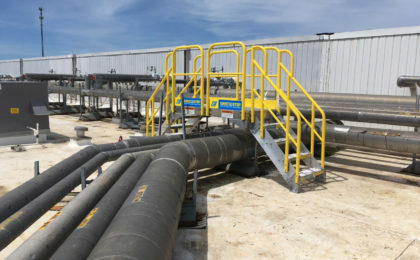 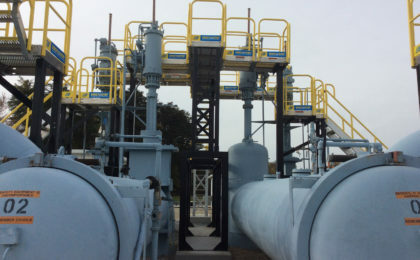 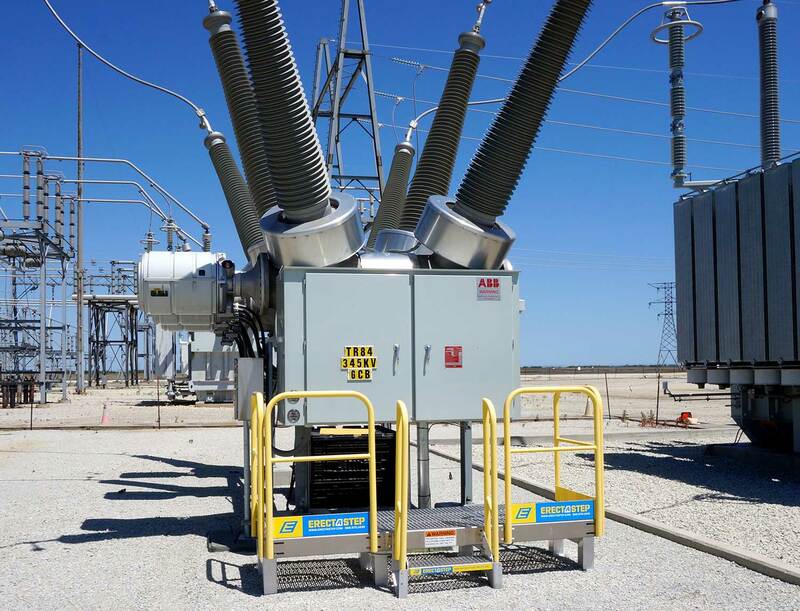 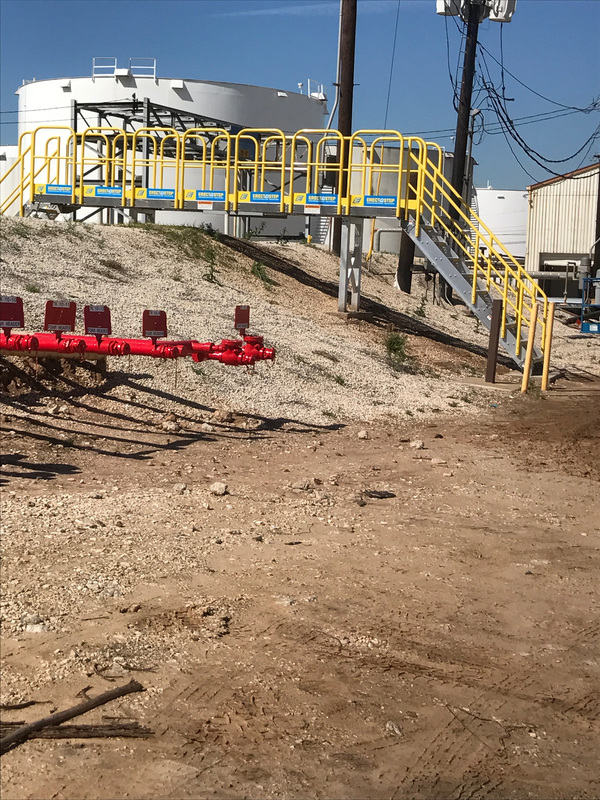 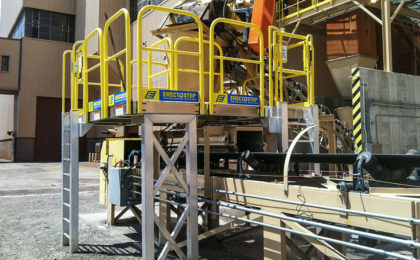 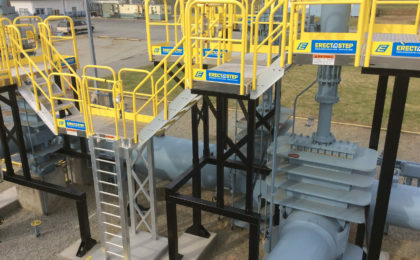 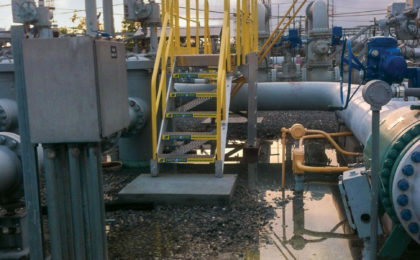 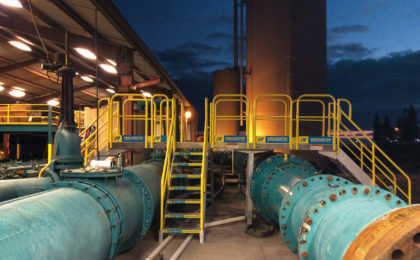 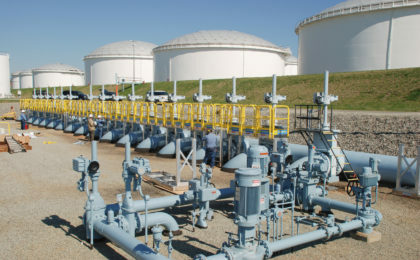 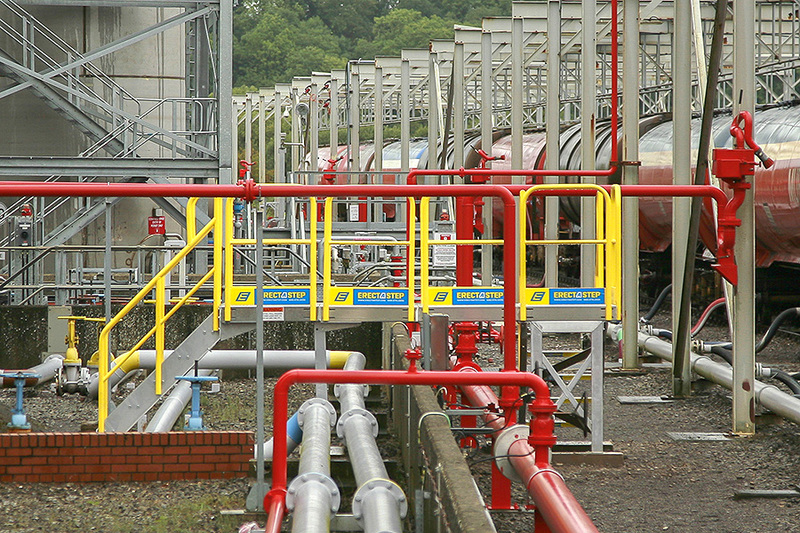 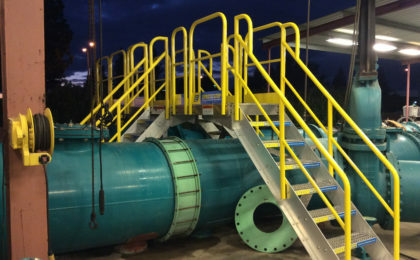 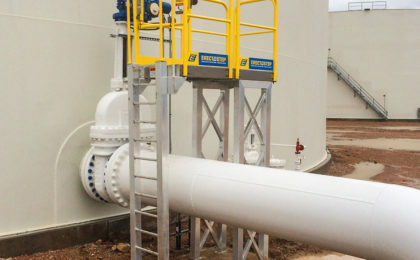 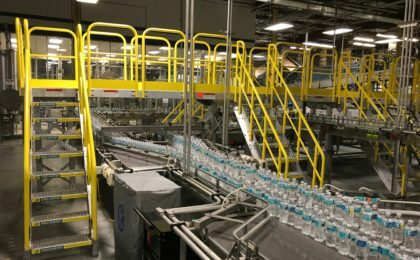 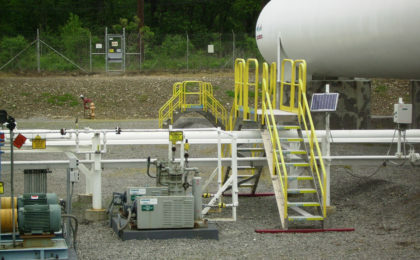 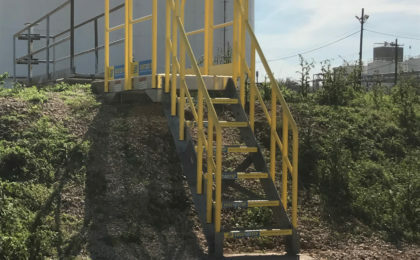 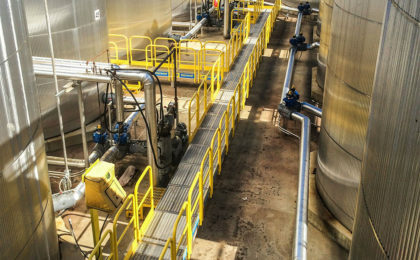 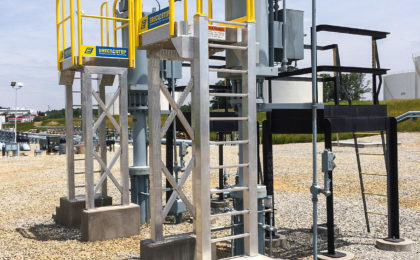 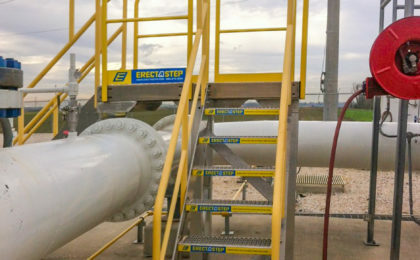 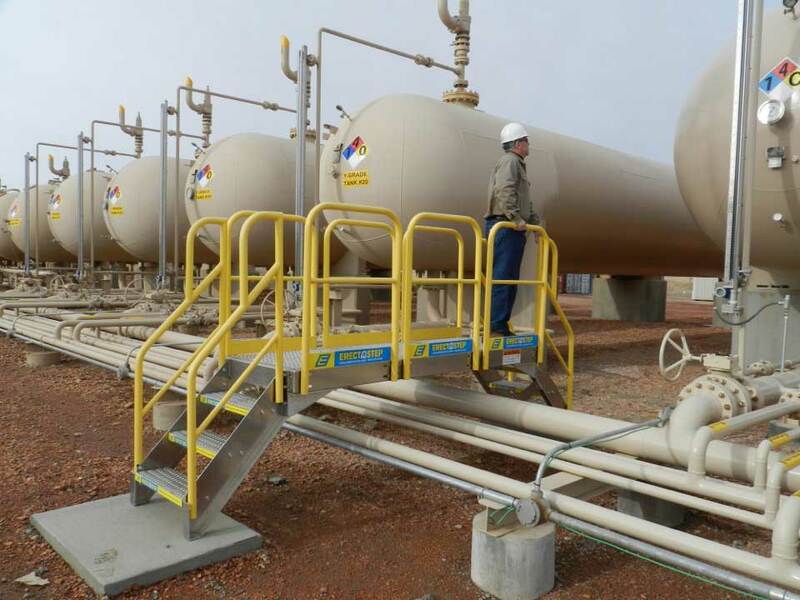 There are three options: single tower with single platform, two platforms with one tower between, or tower supports on multiple sides of a platform.